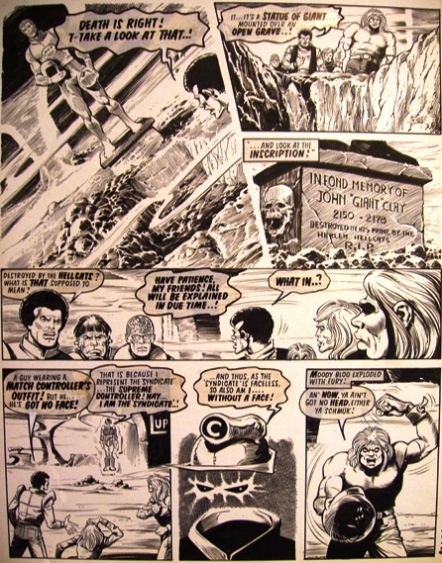 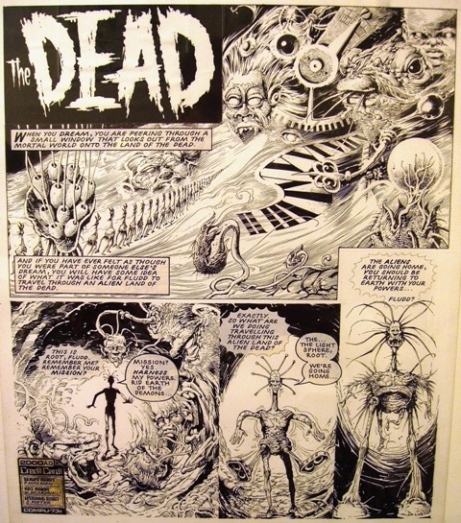 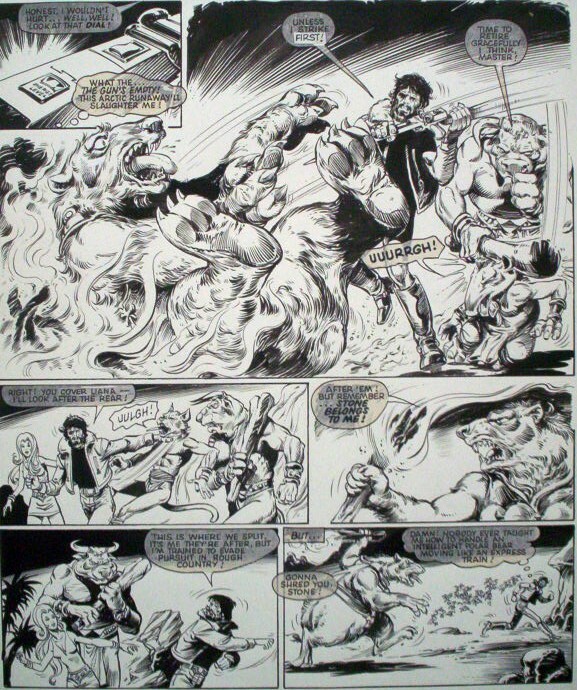 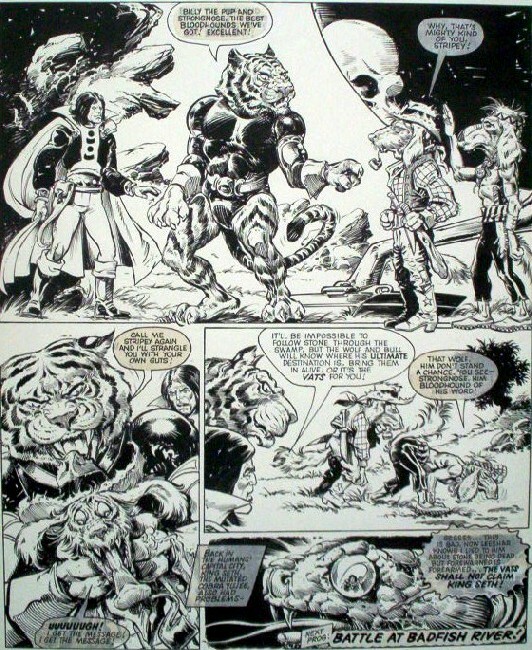 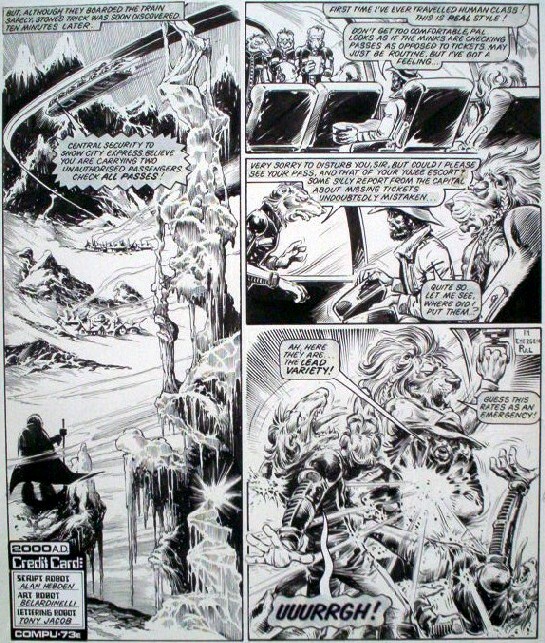 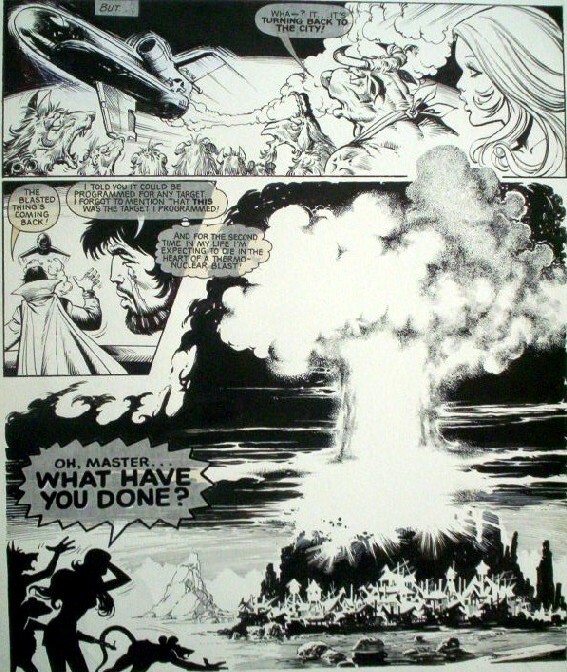 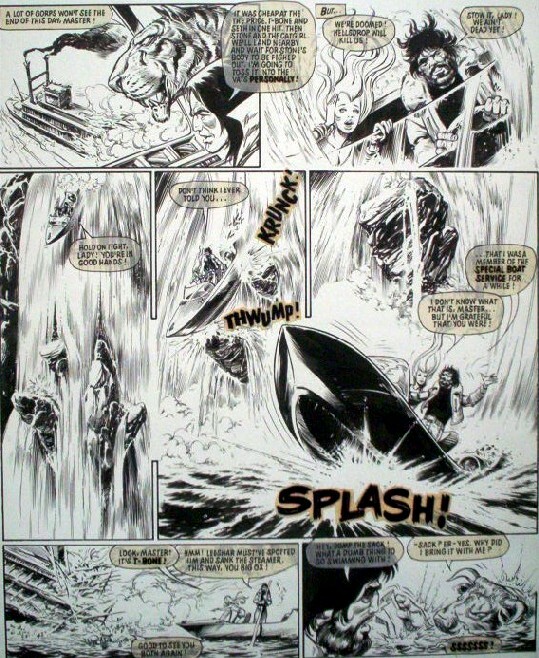 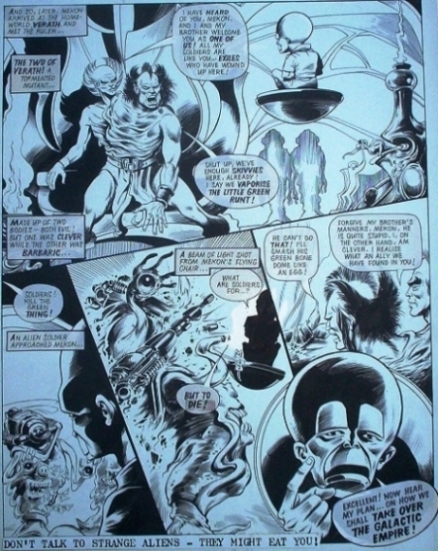 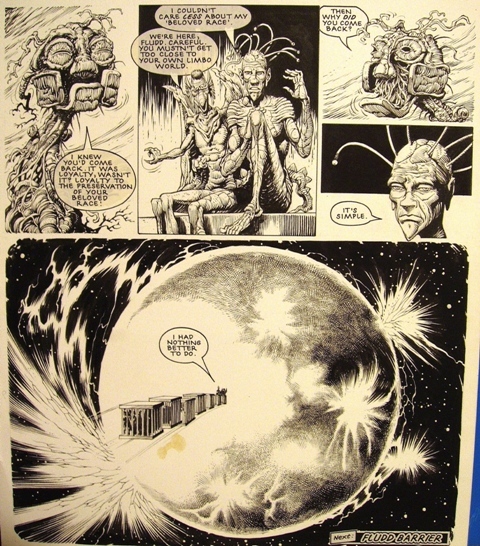 Nearly a perfect page, featuring both Ace himself and the Speedo Ghost. 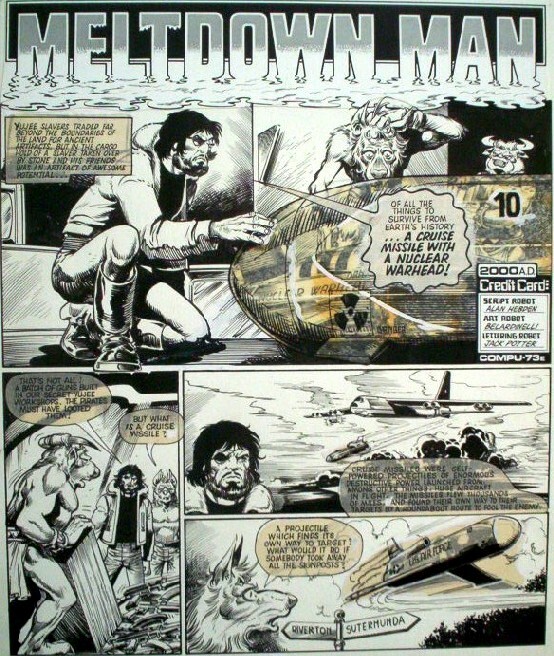 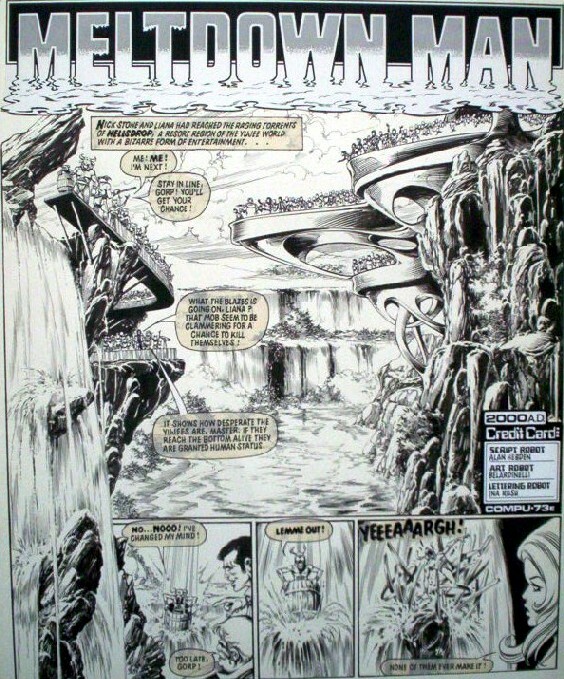 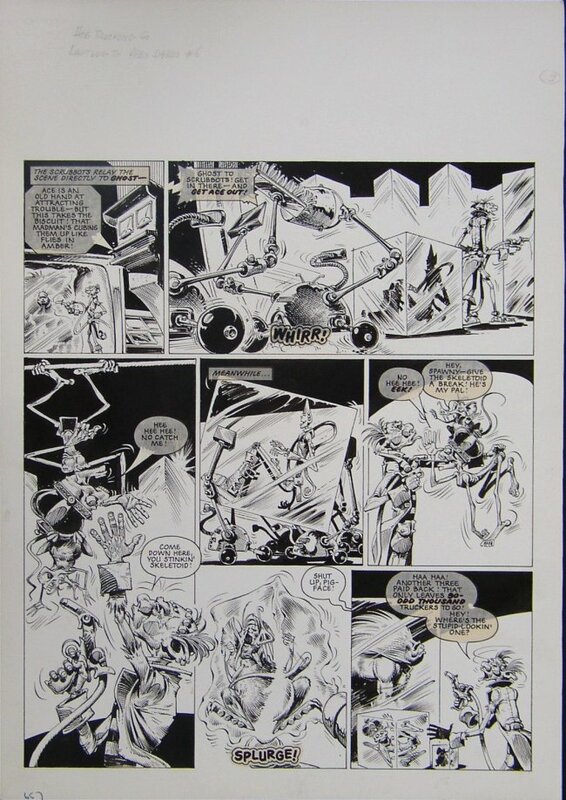 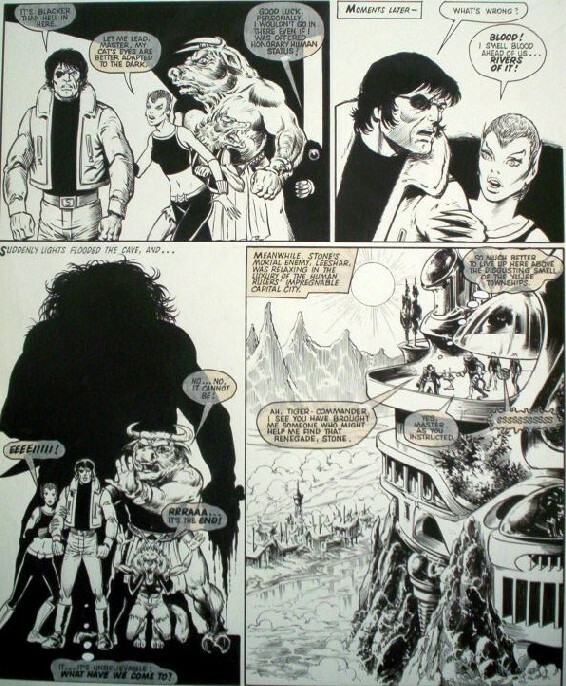 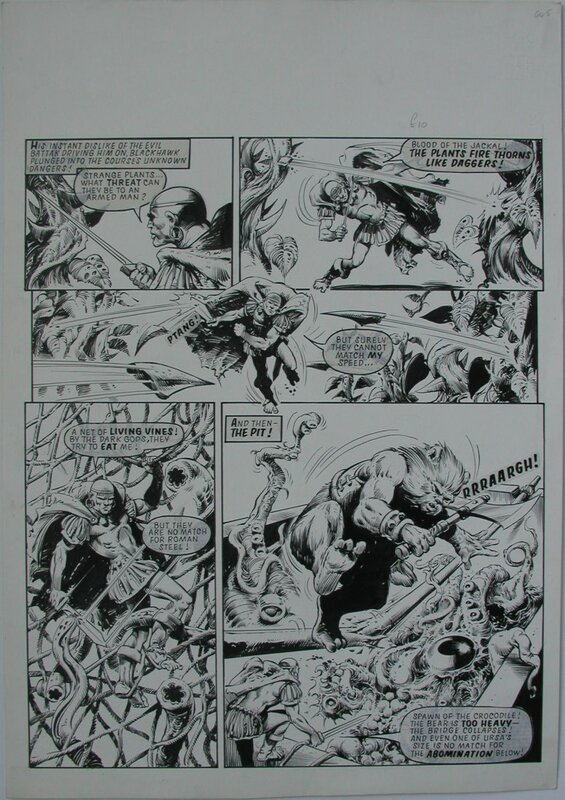 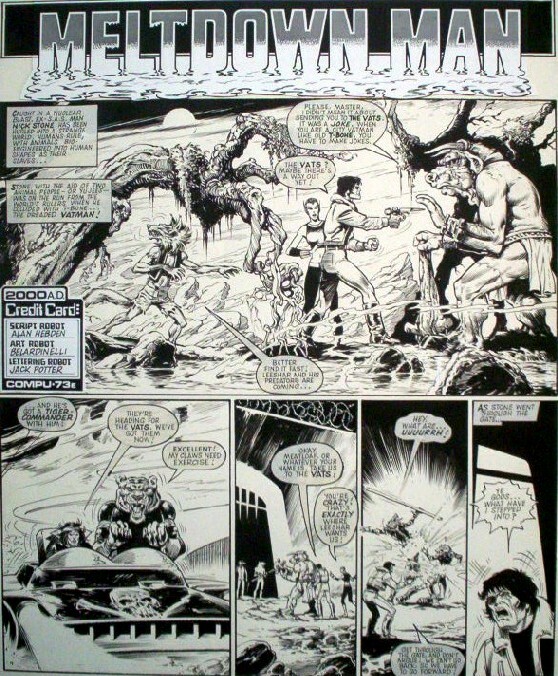 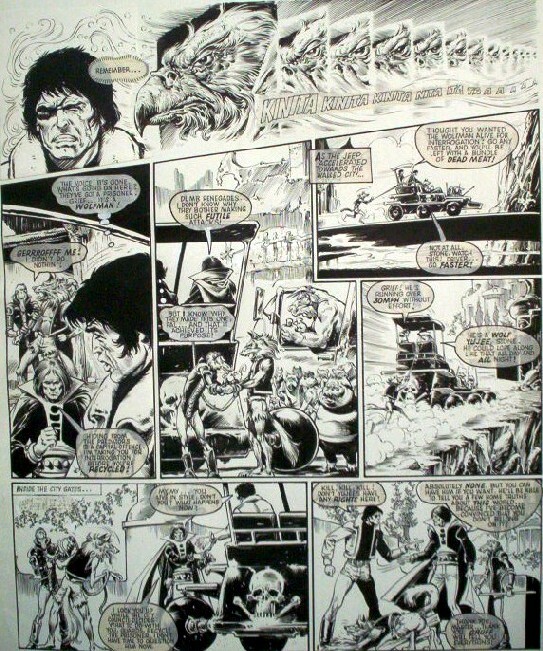 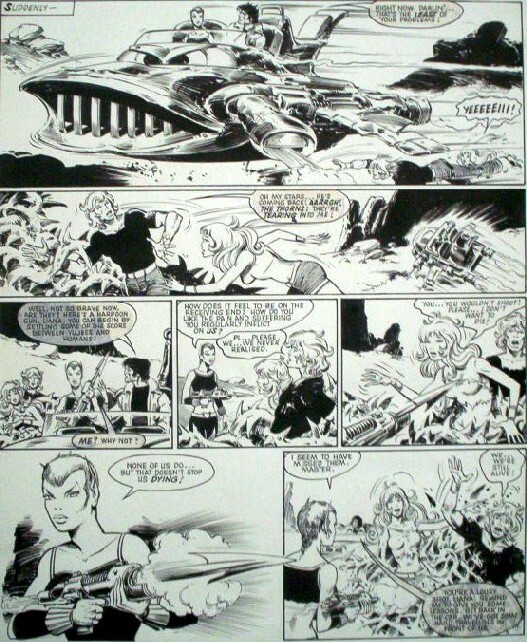 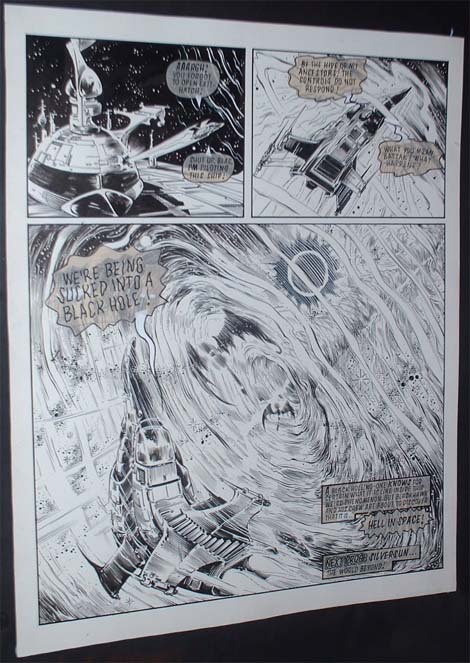 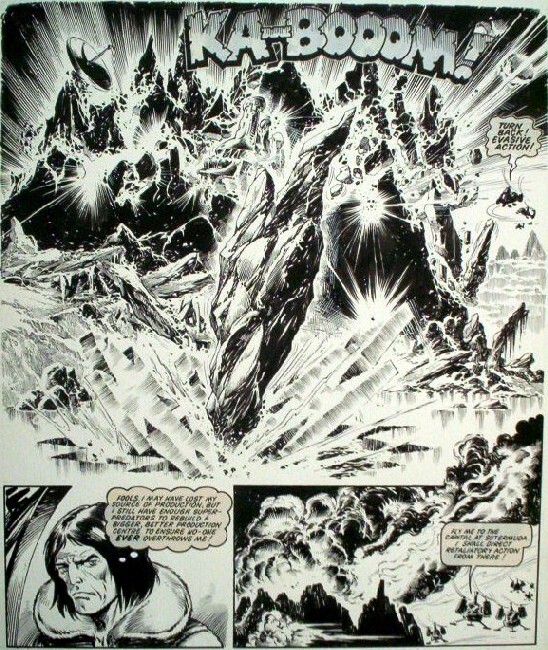 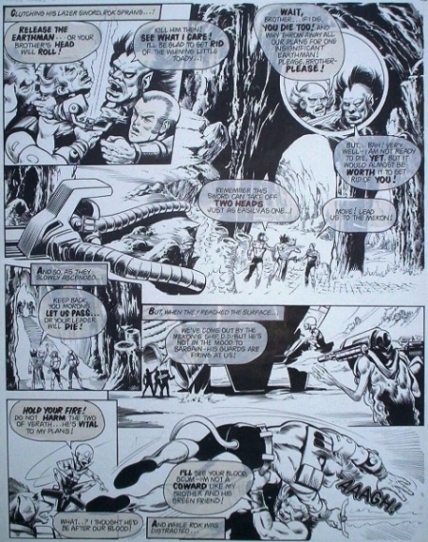 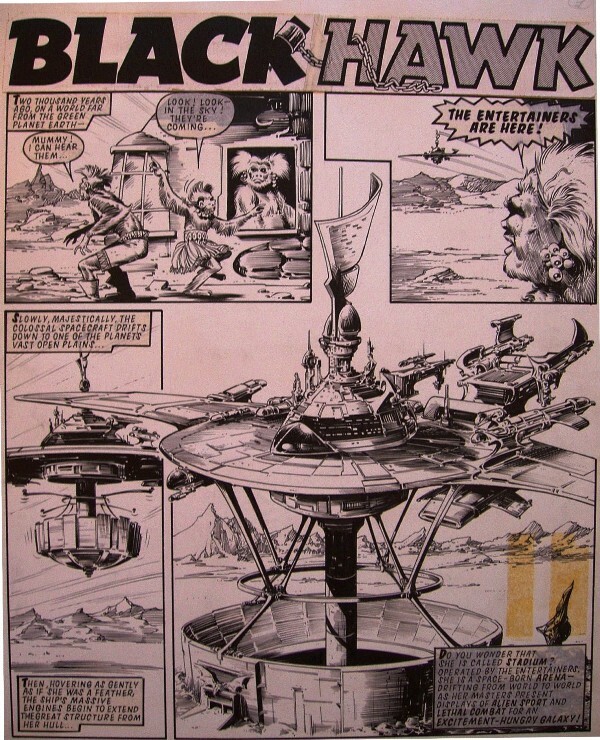 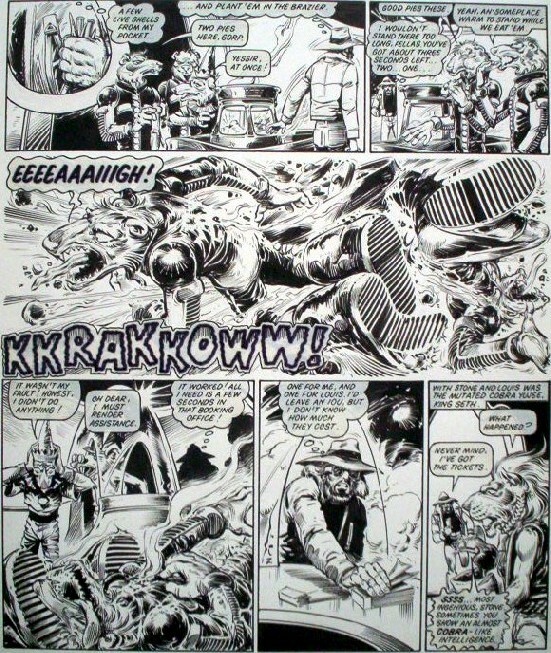 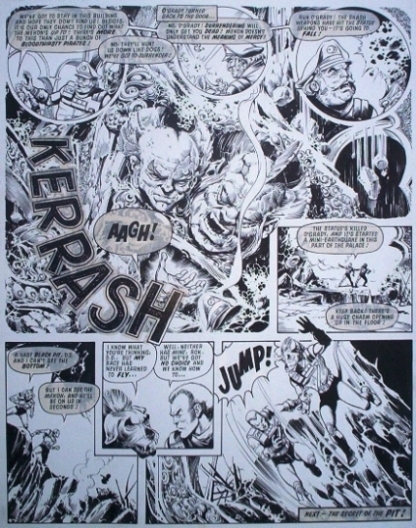 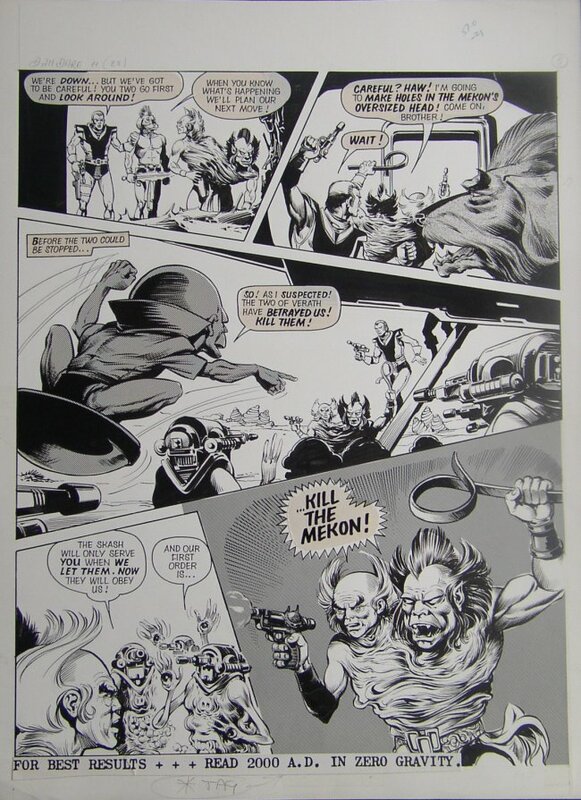 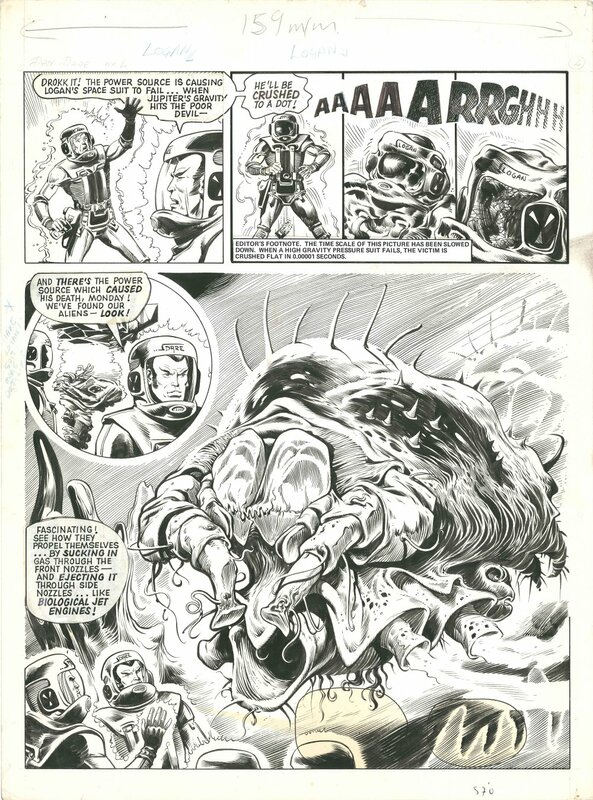 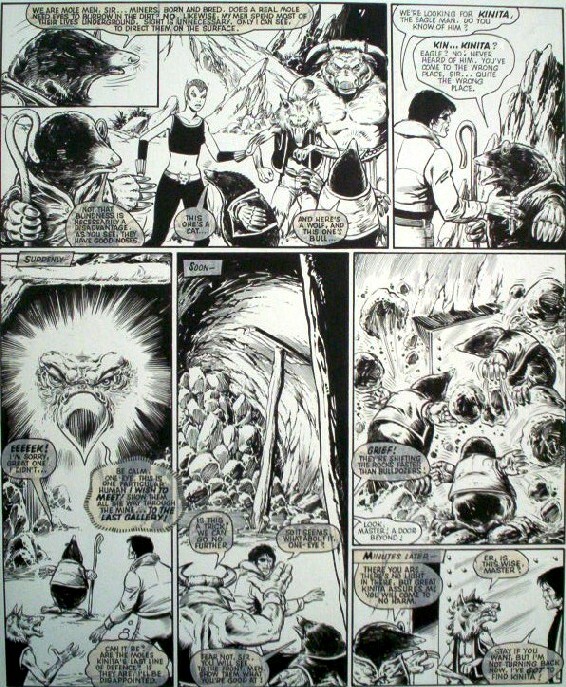 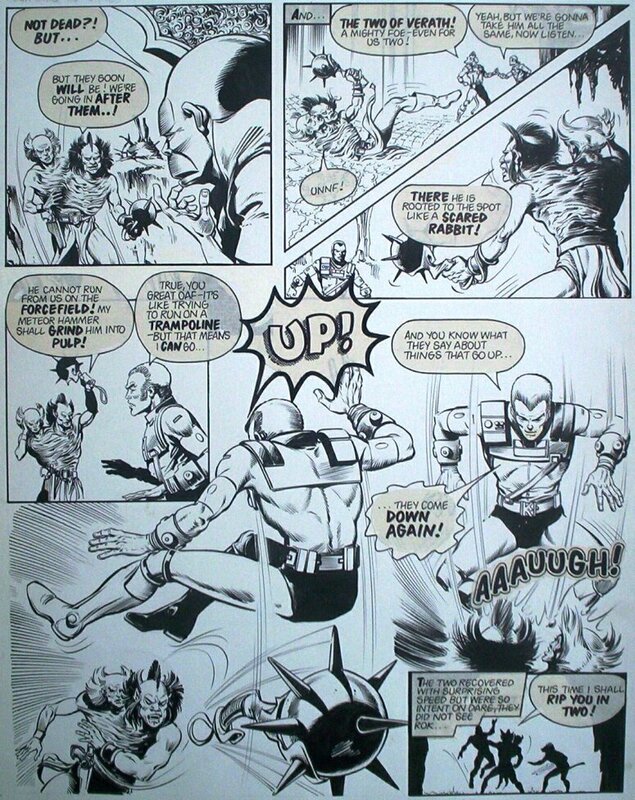 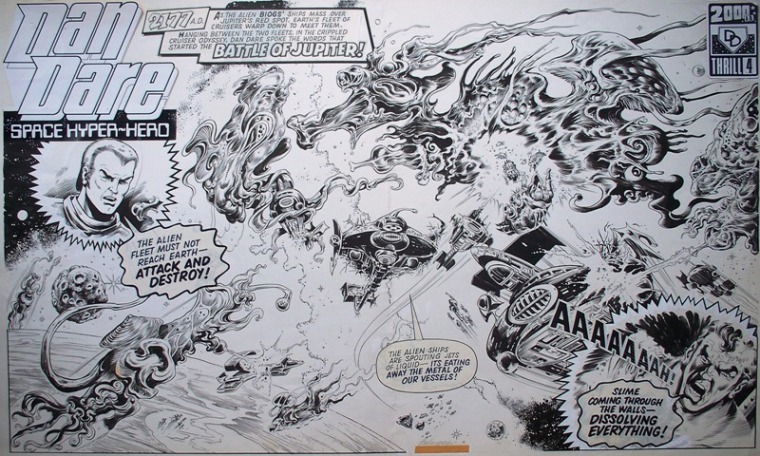 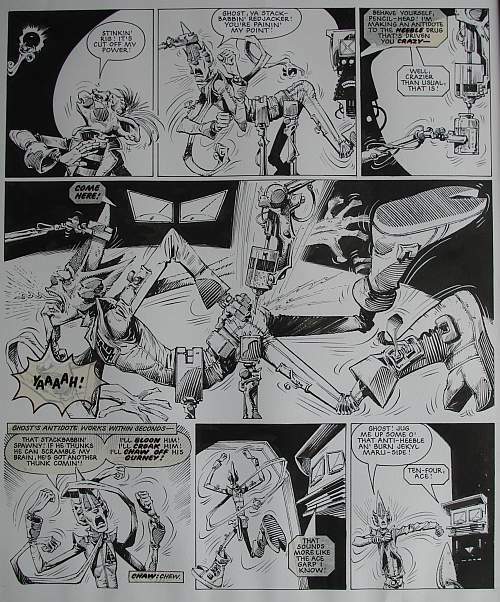 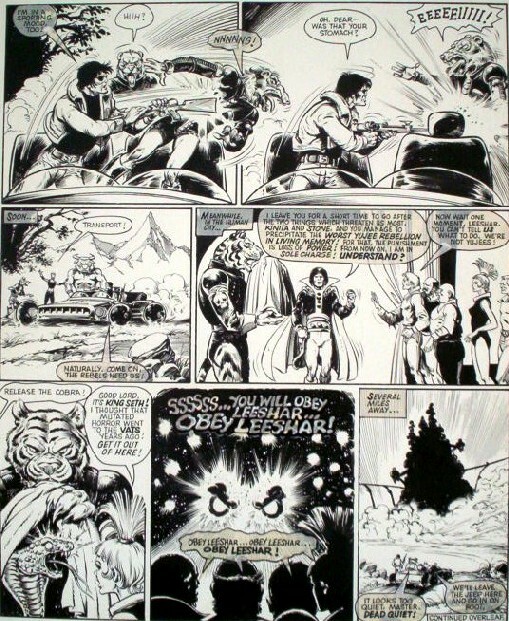 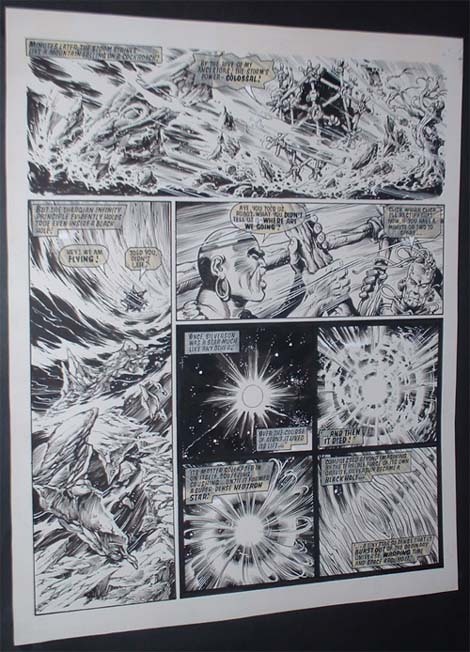 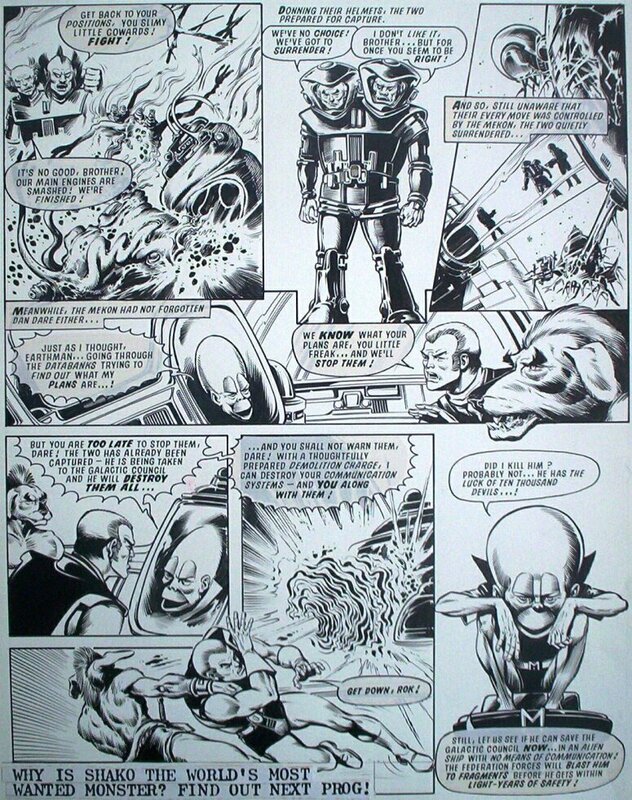 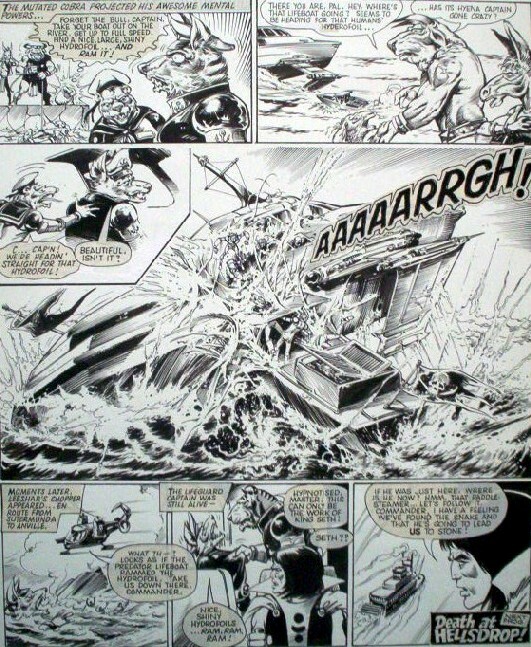 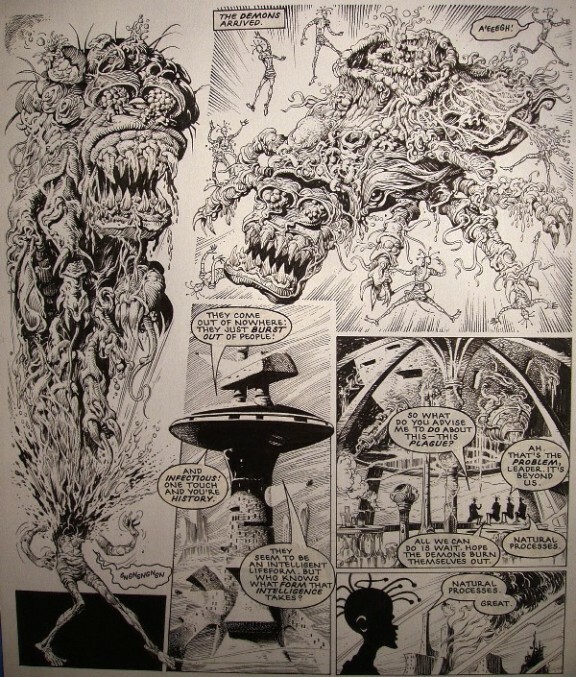 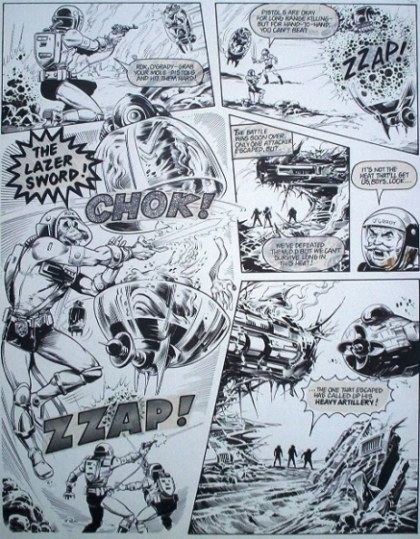 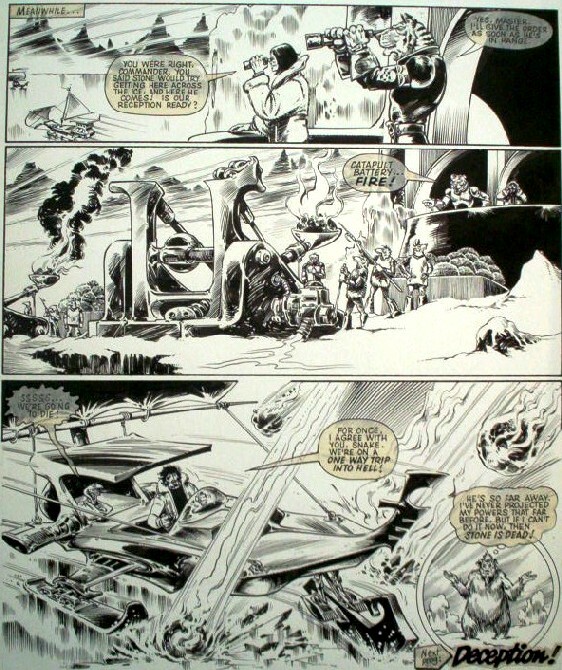 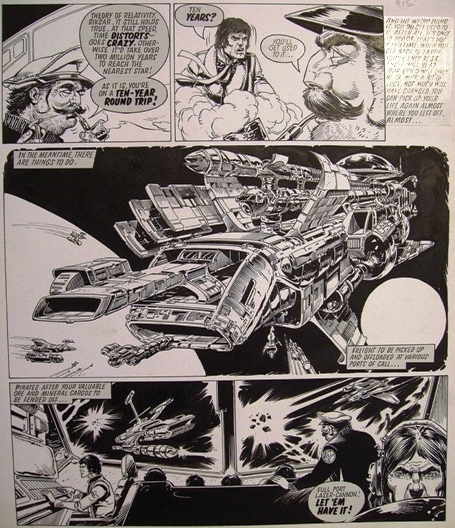 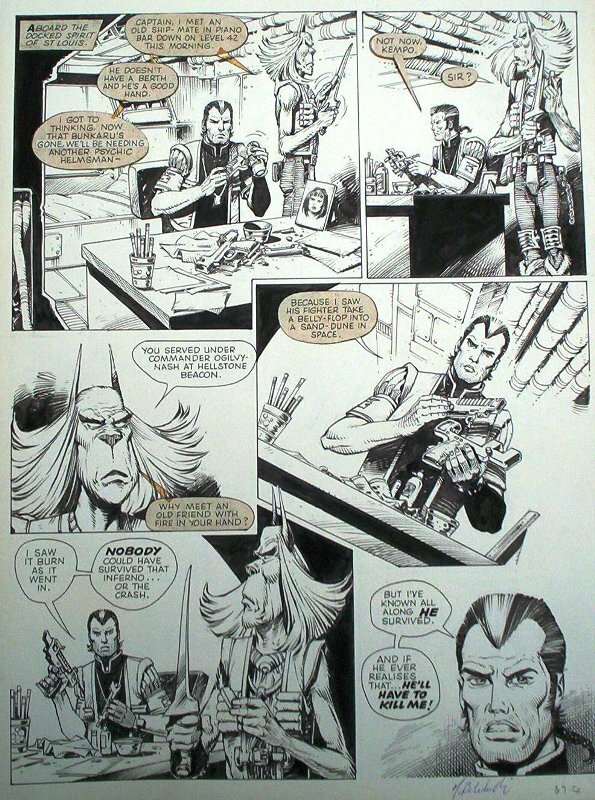 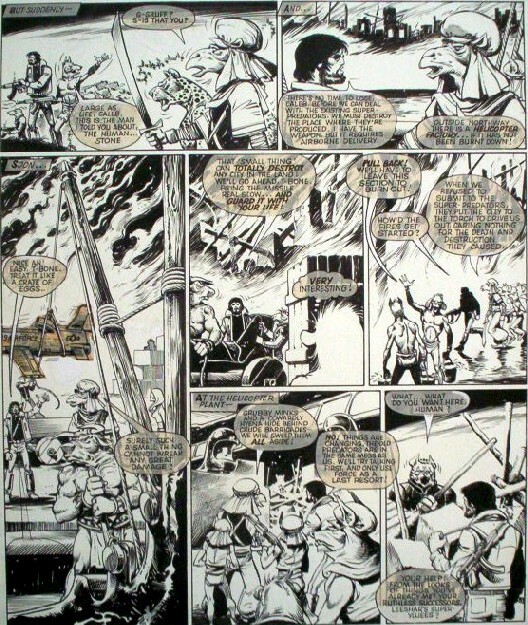 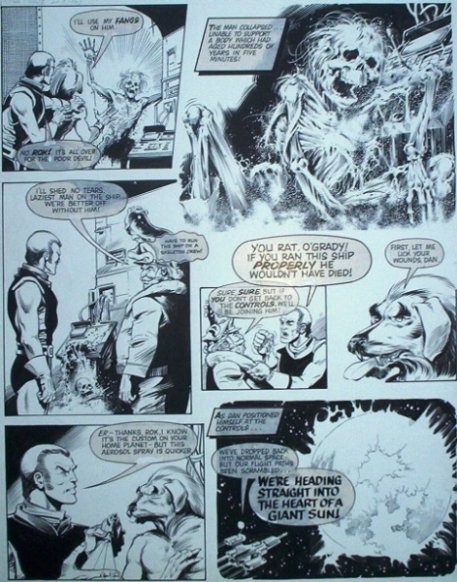 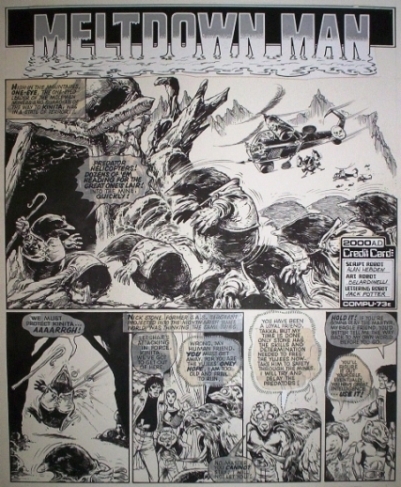 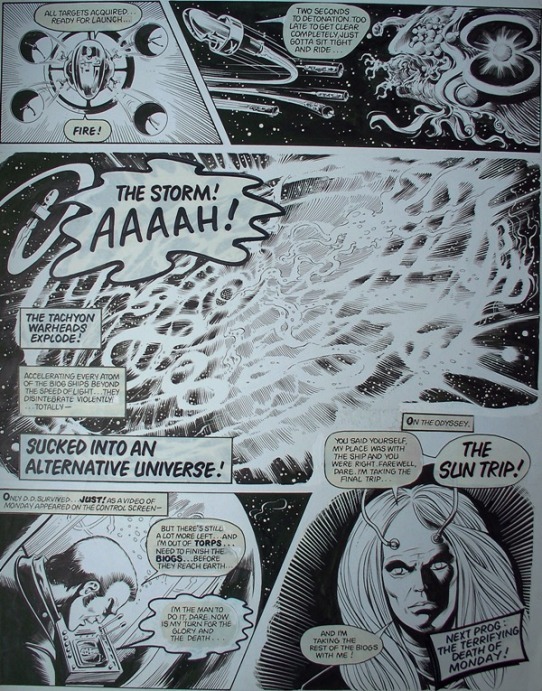 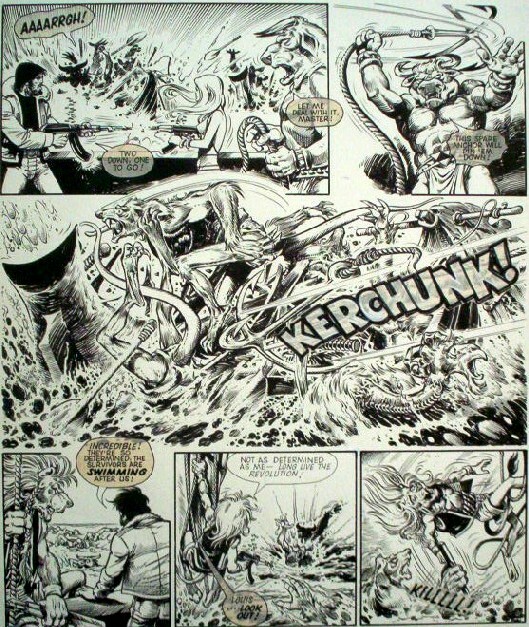 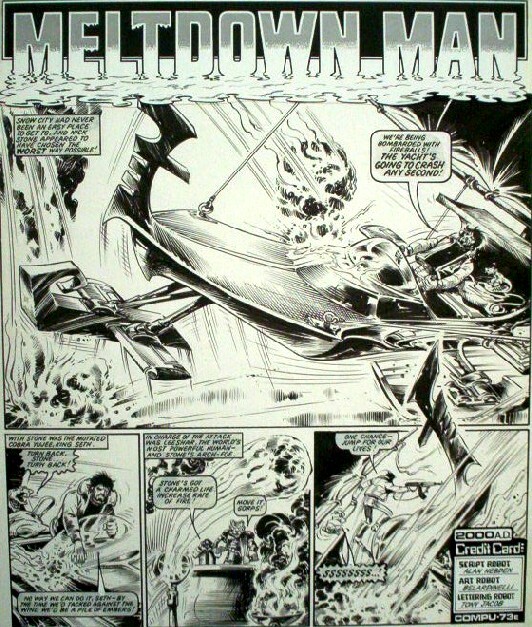 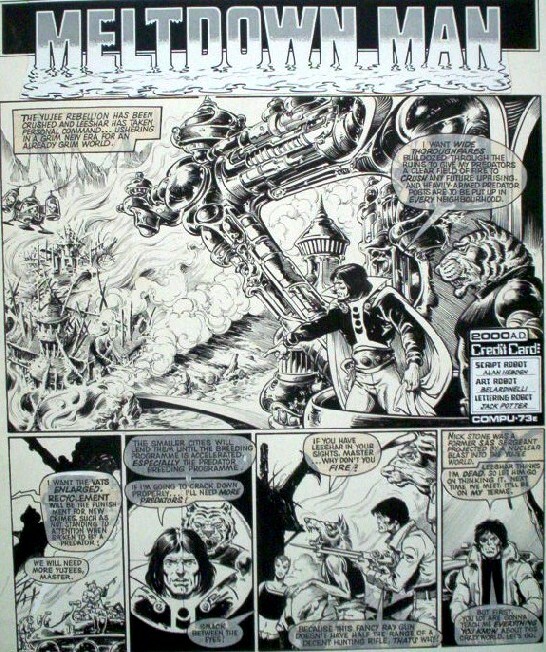 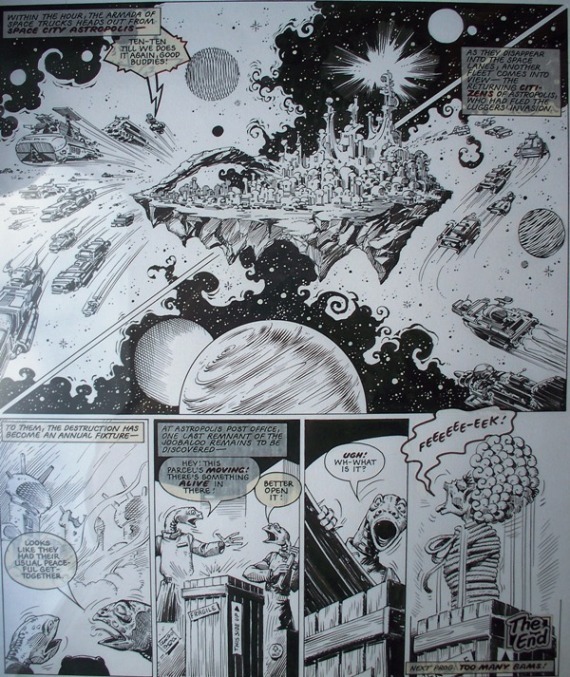 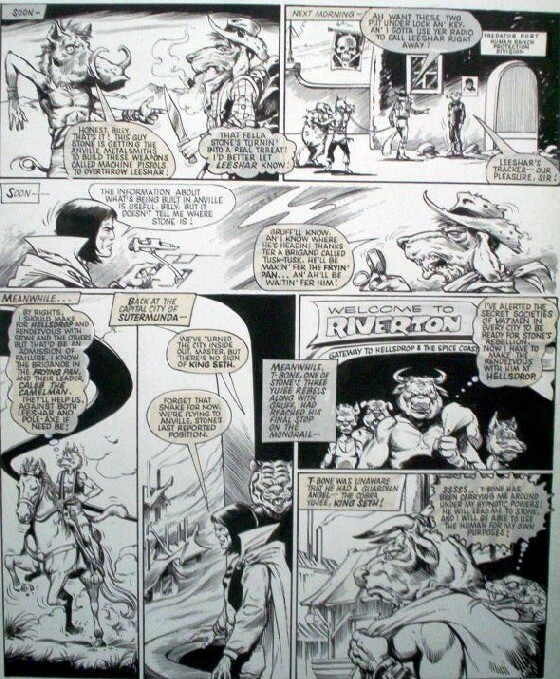 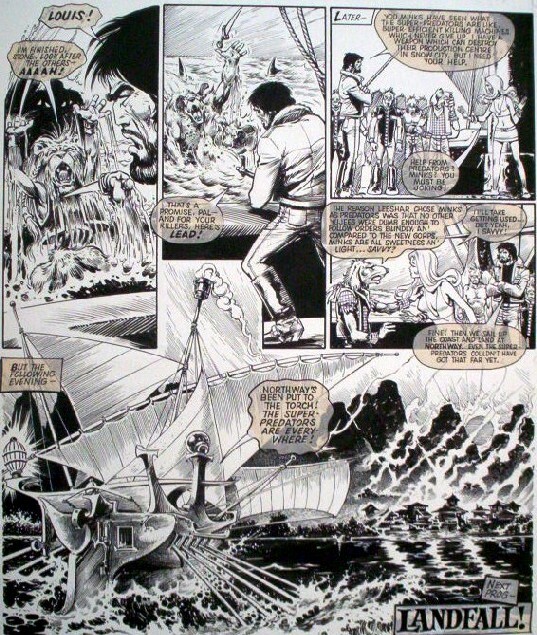 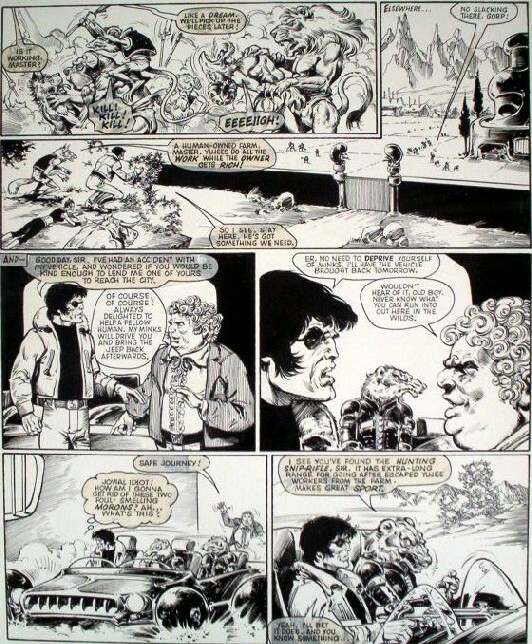 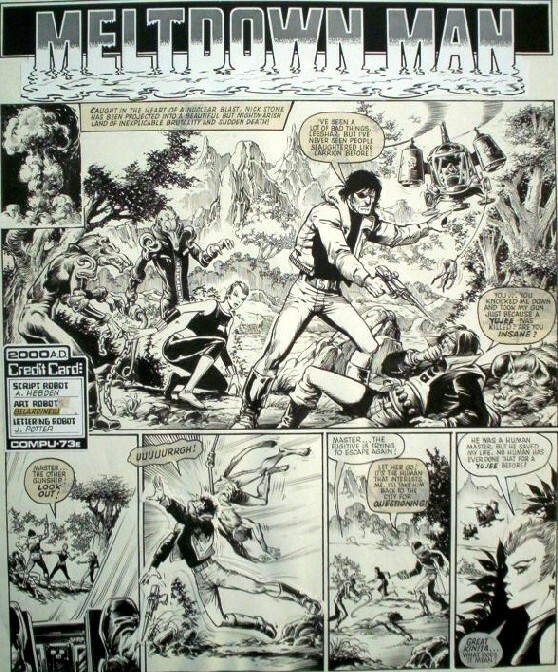 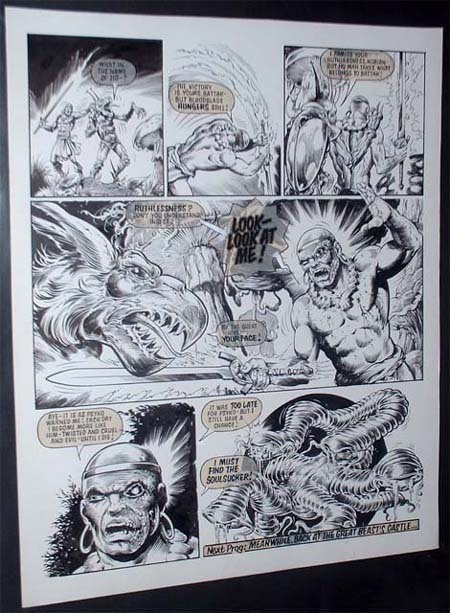 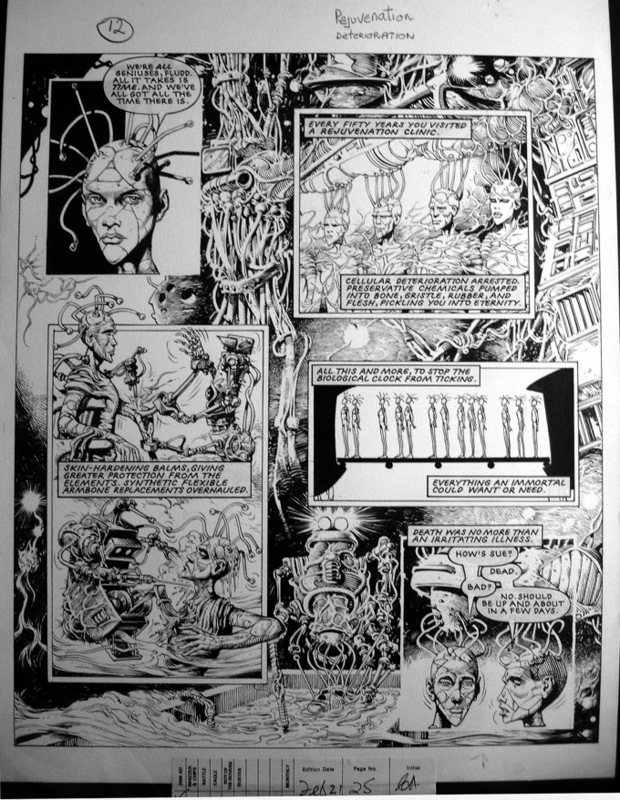 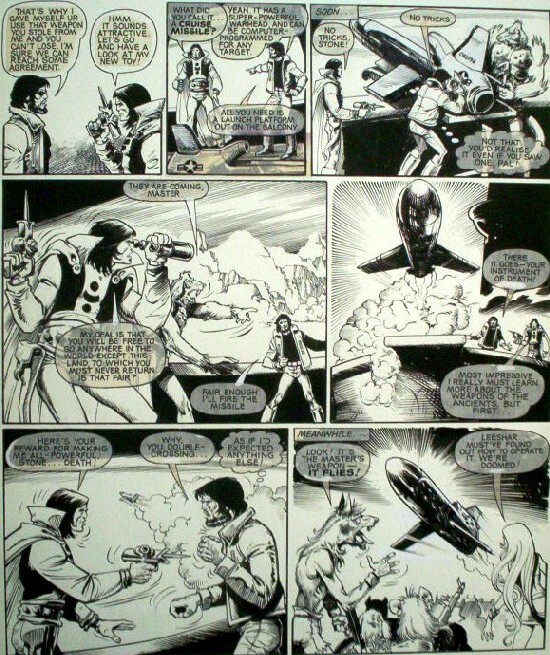 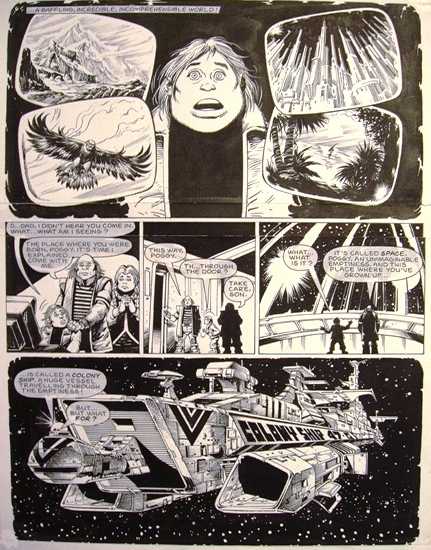 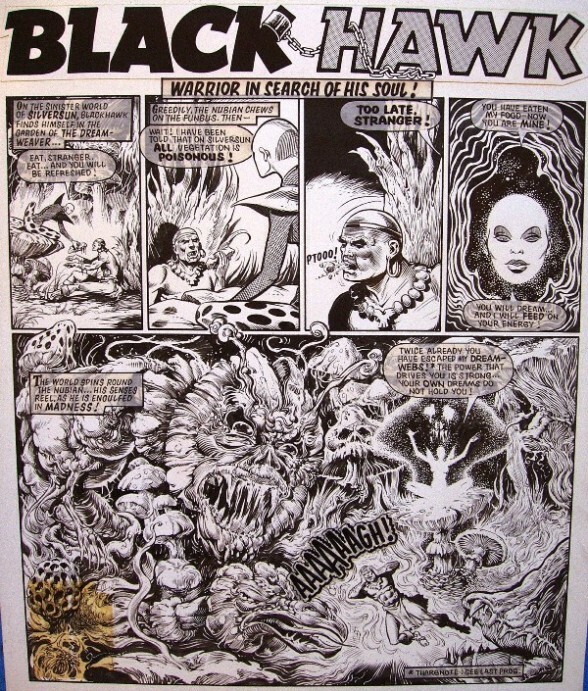 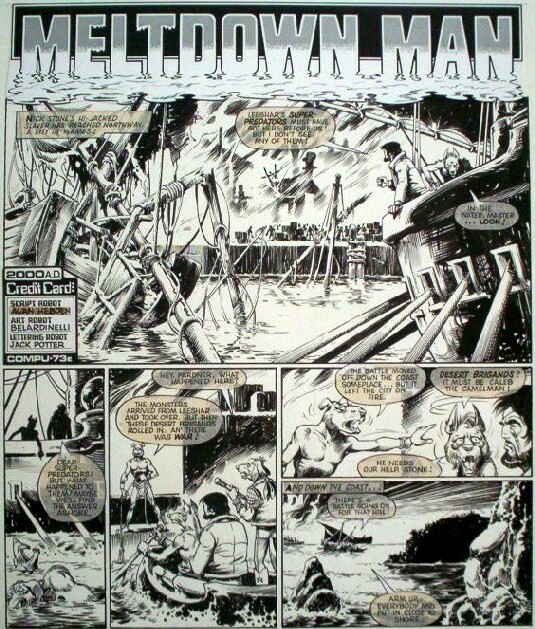 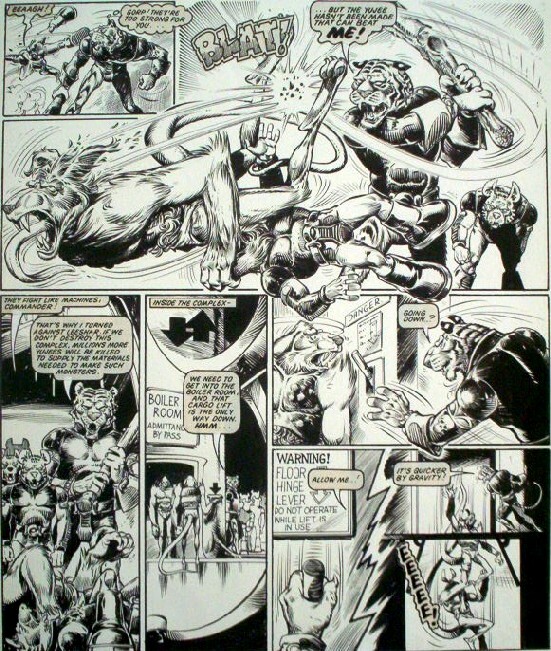 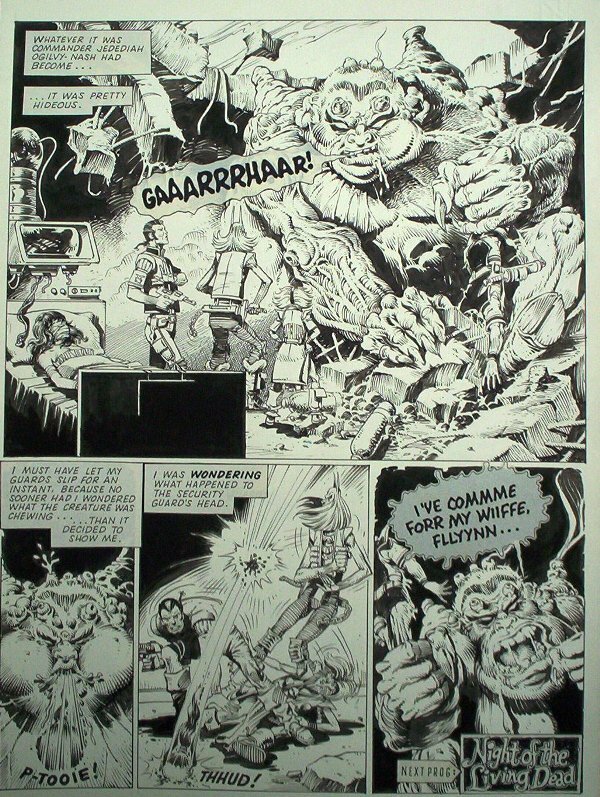 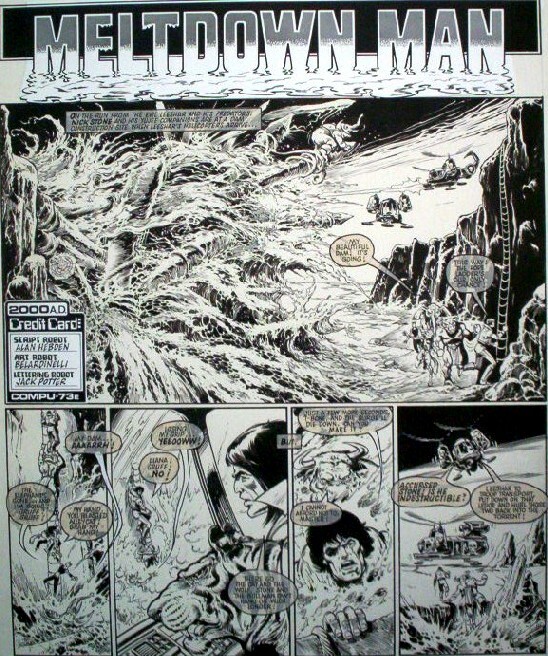 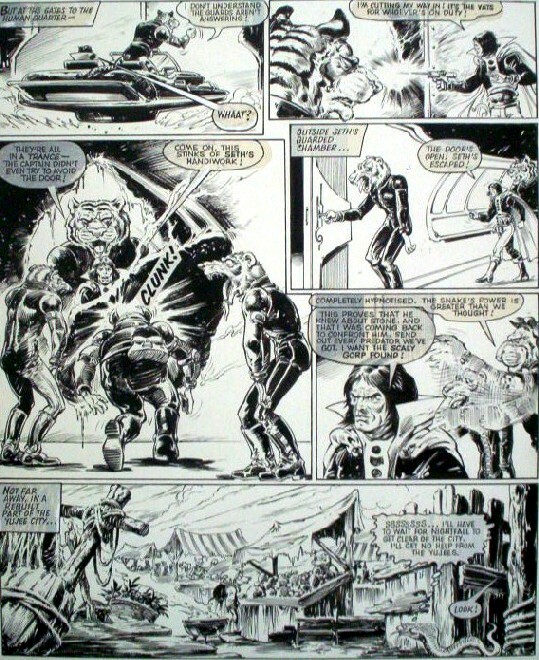 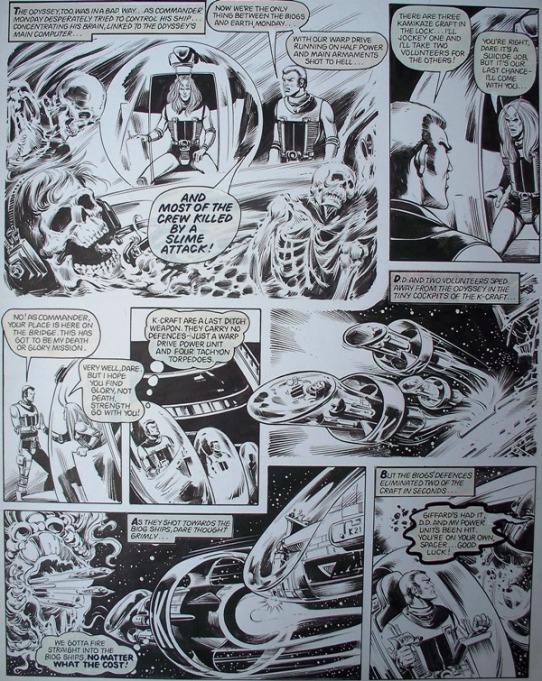 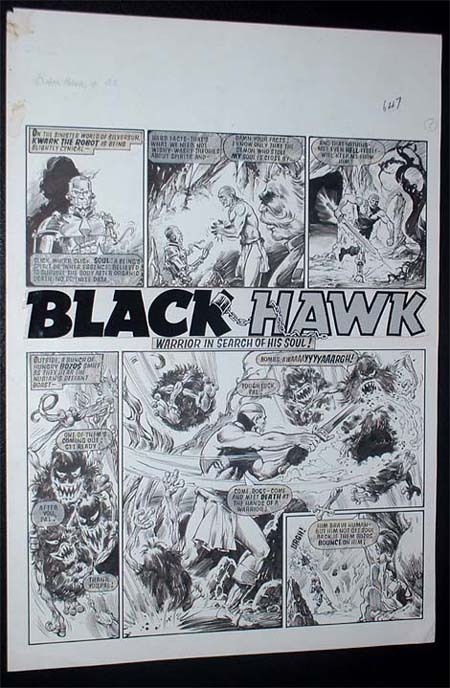 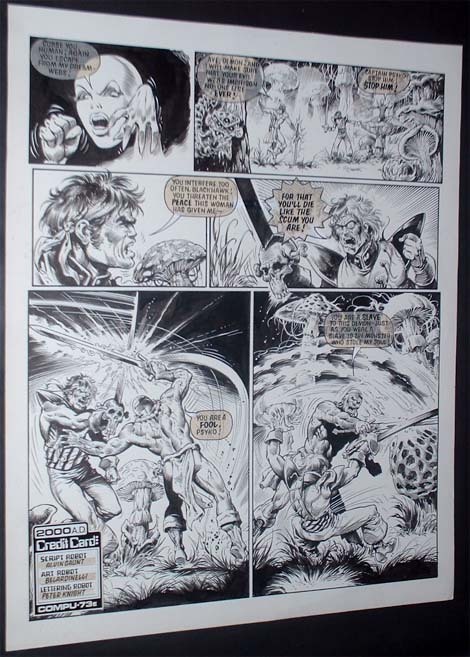 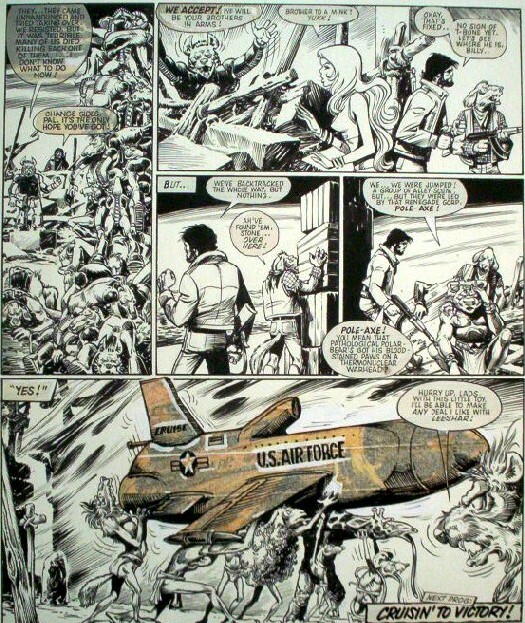 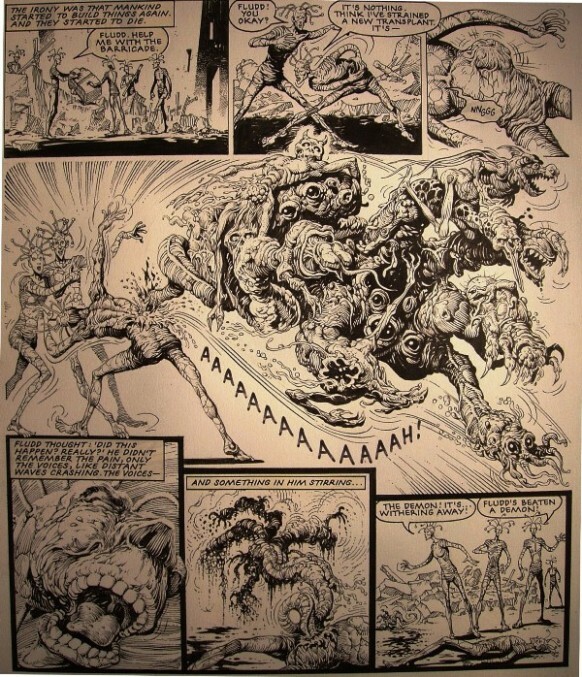 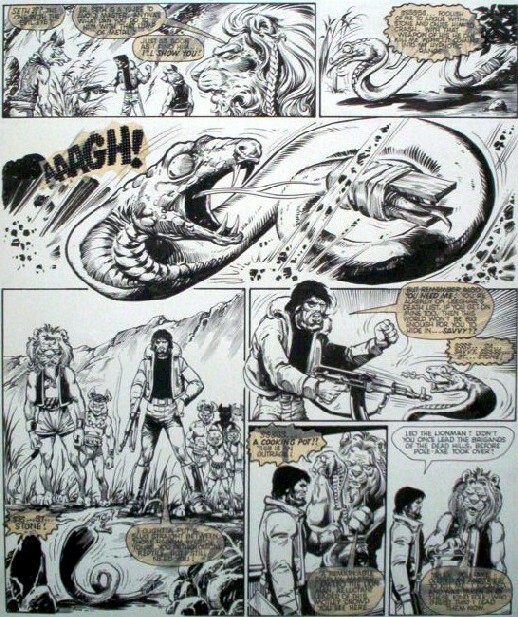 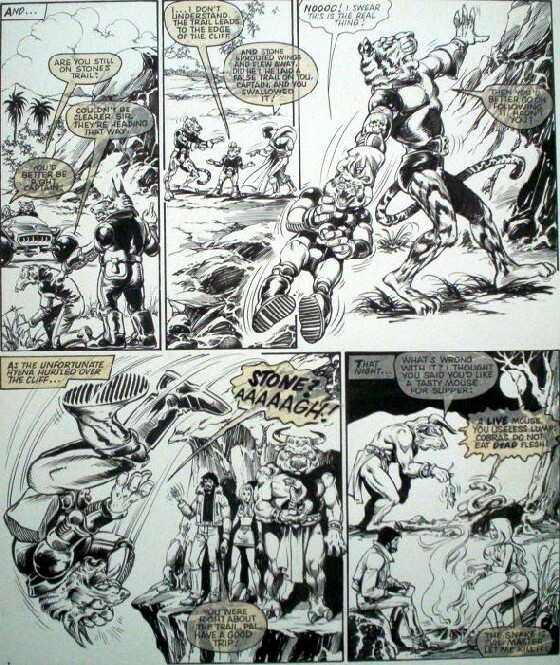 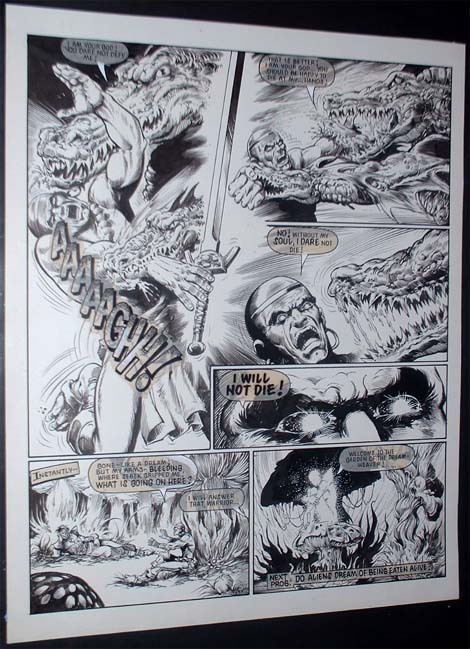 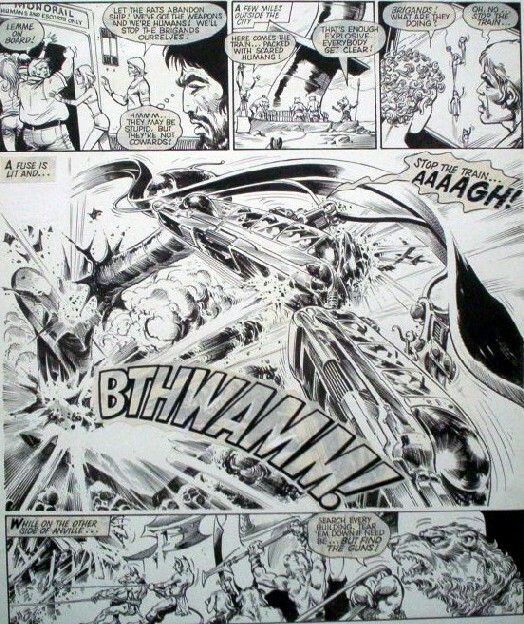 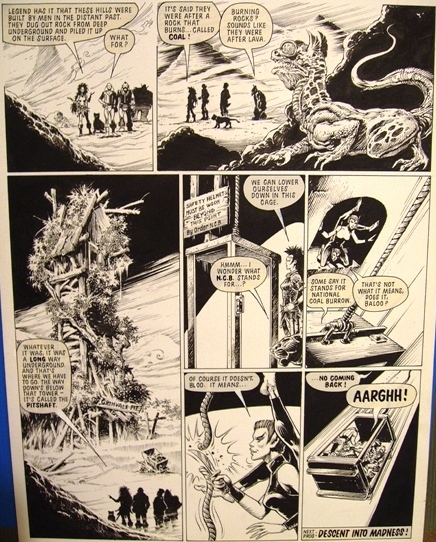 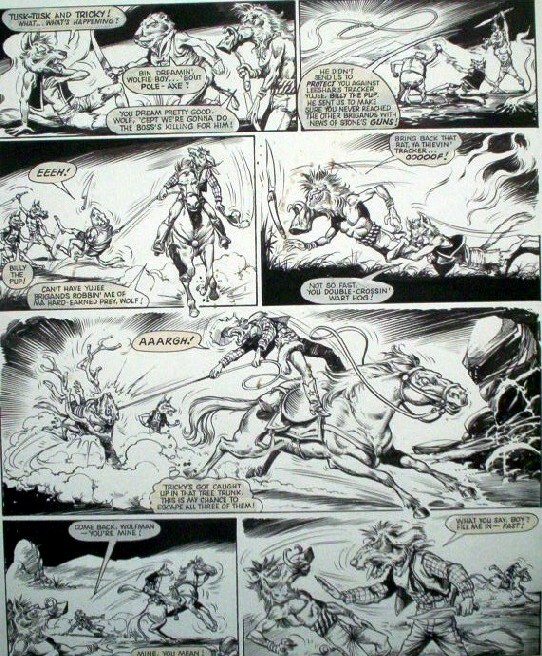 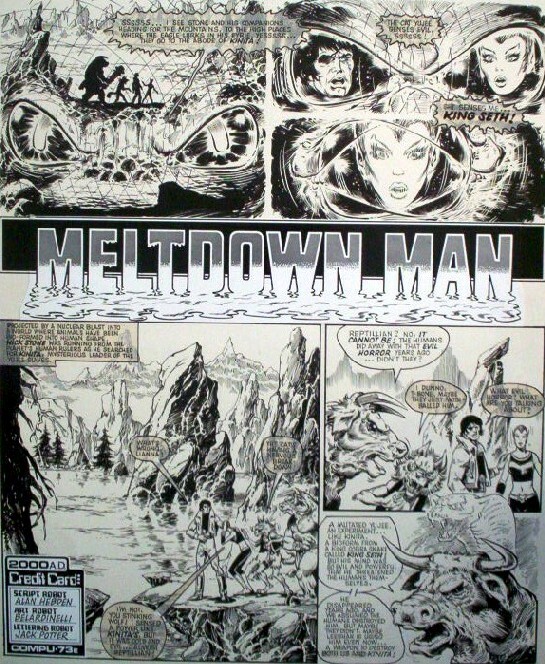 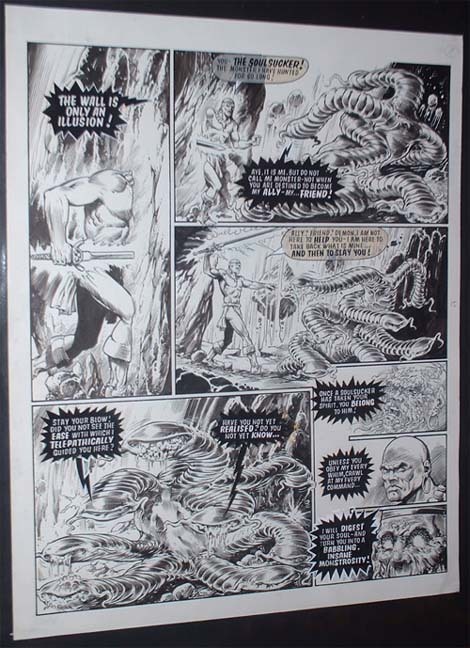 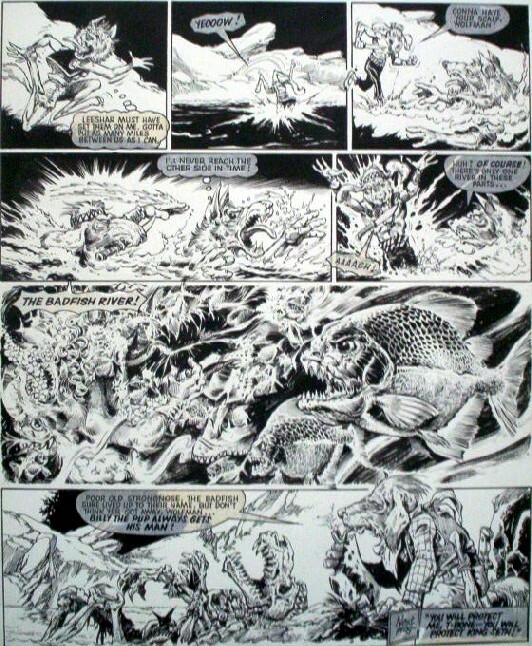 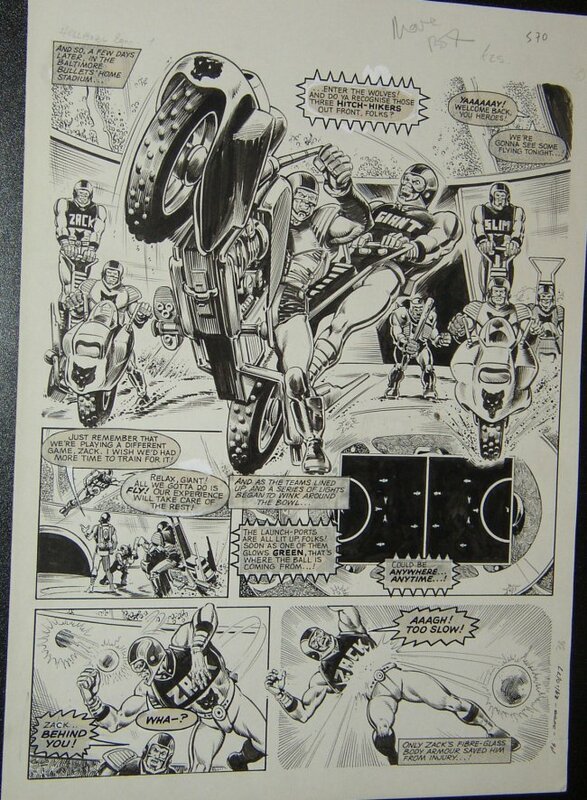 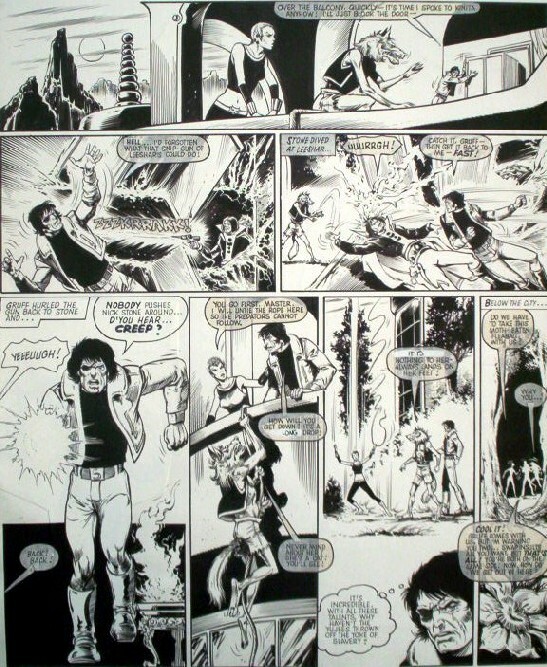 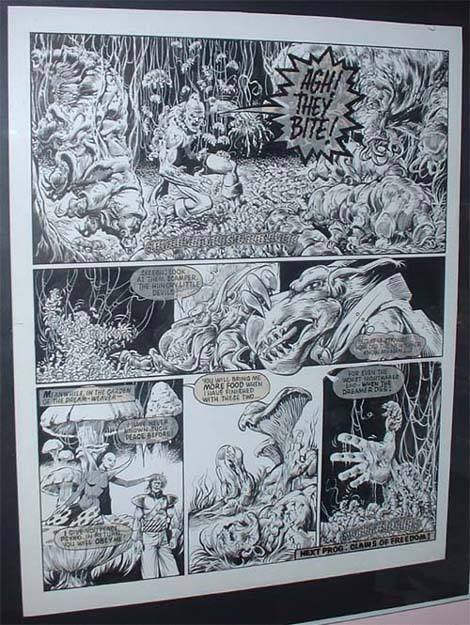 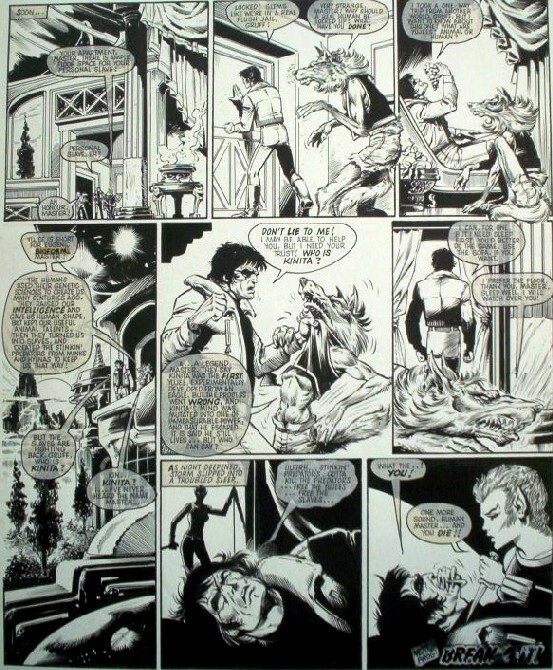 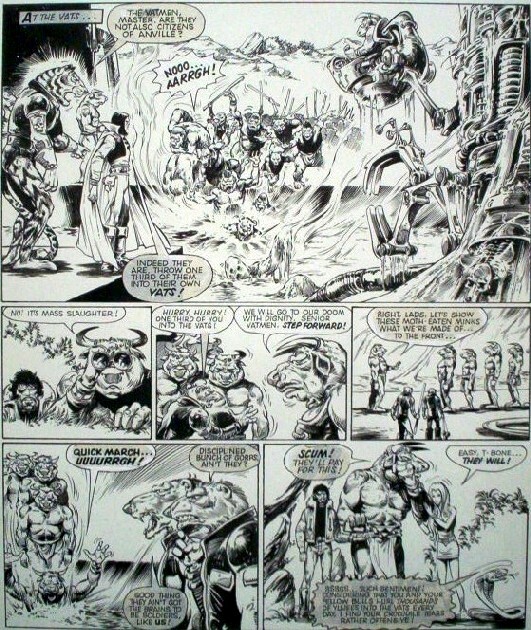 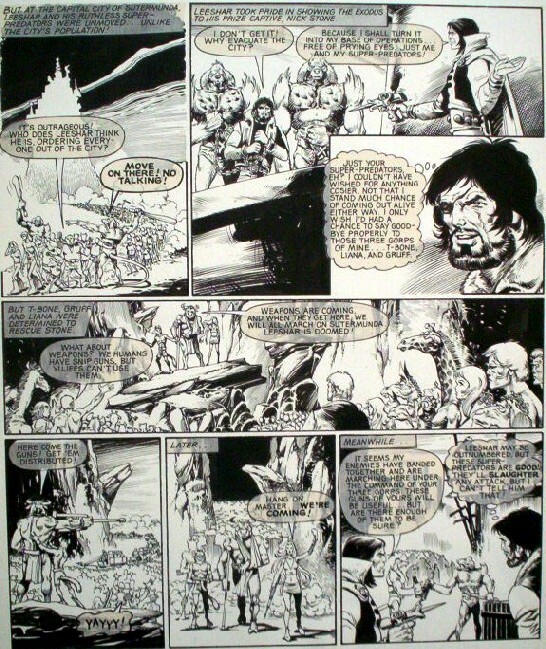 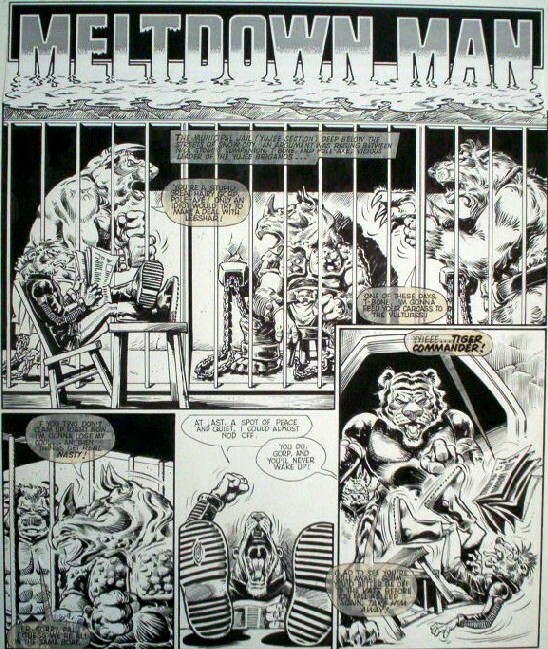 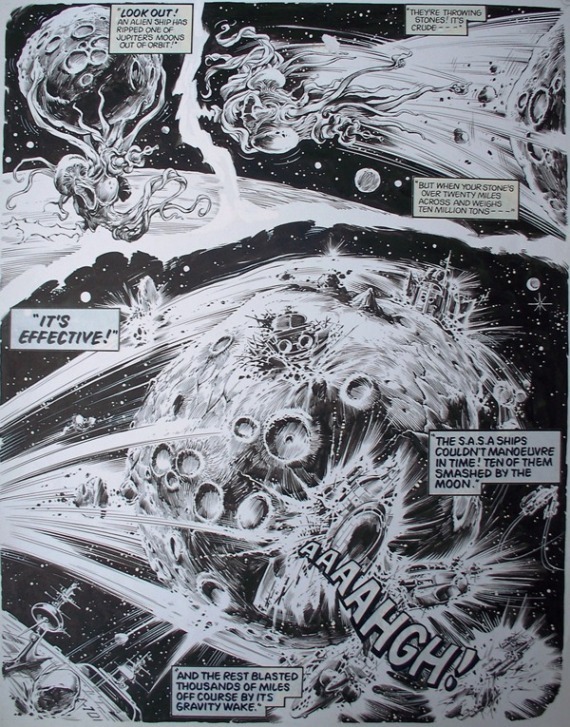 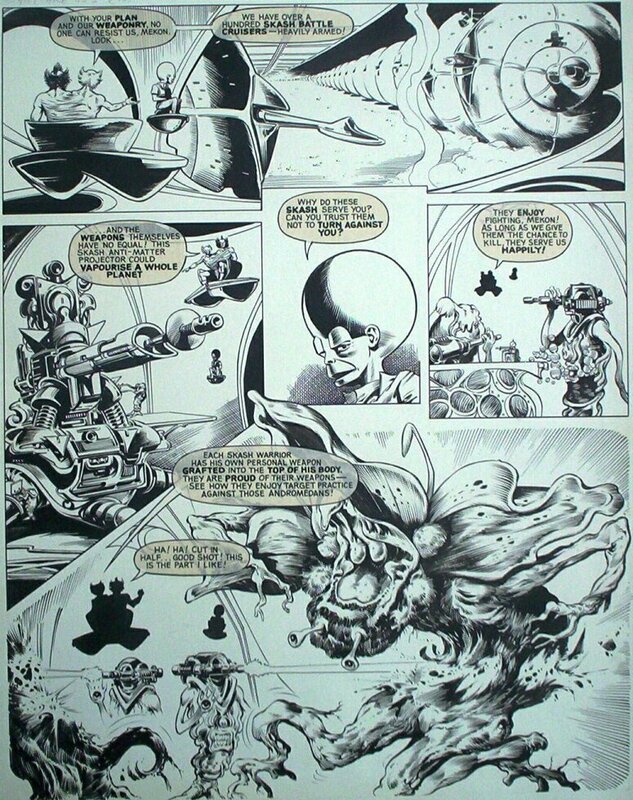 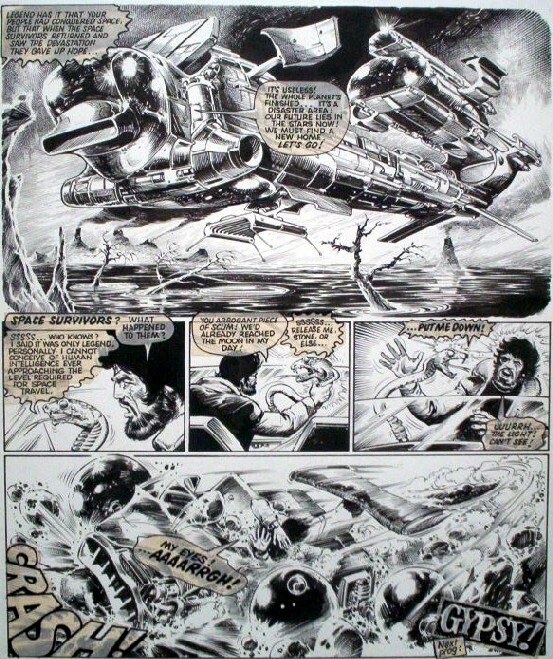 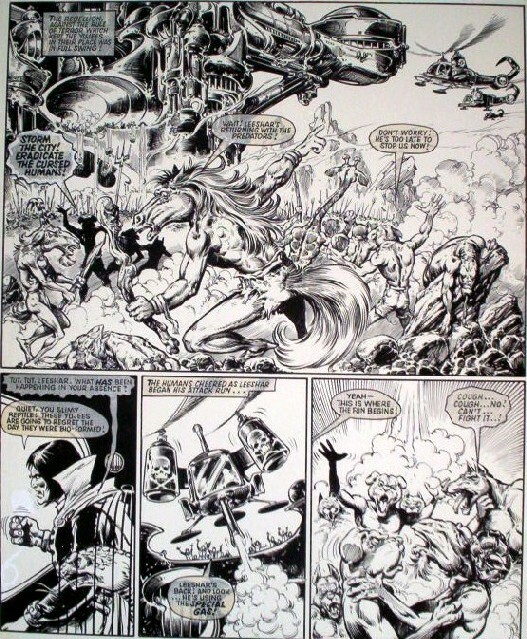 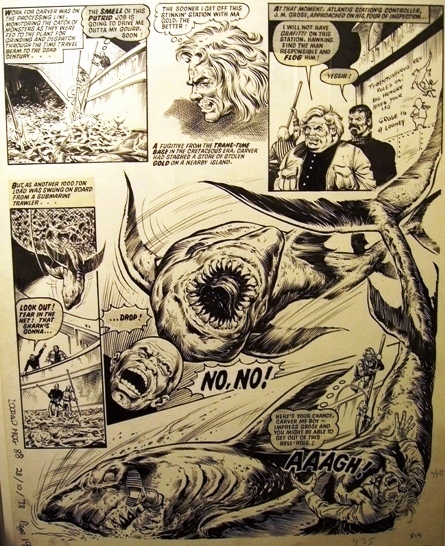 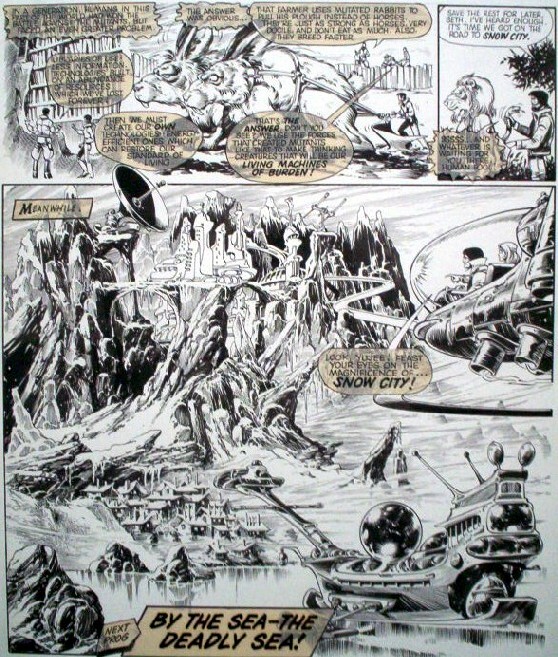 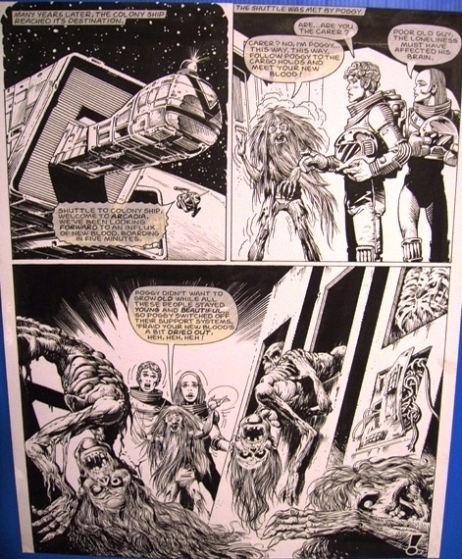 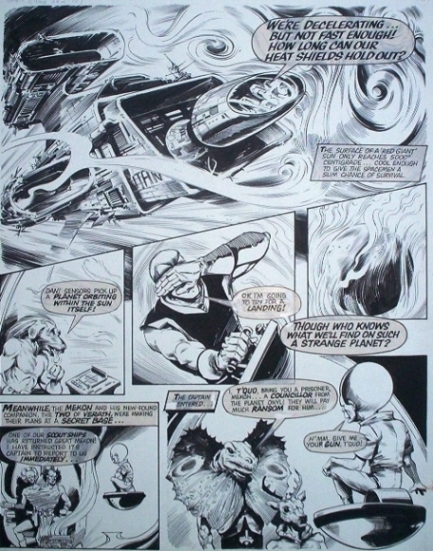 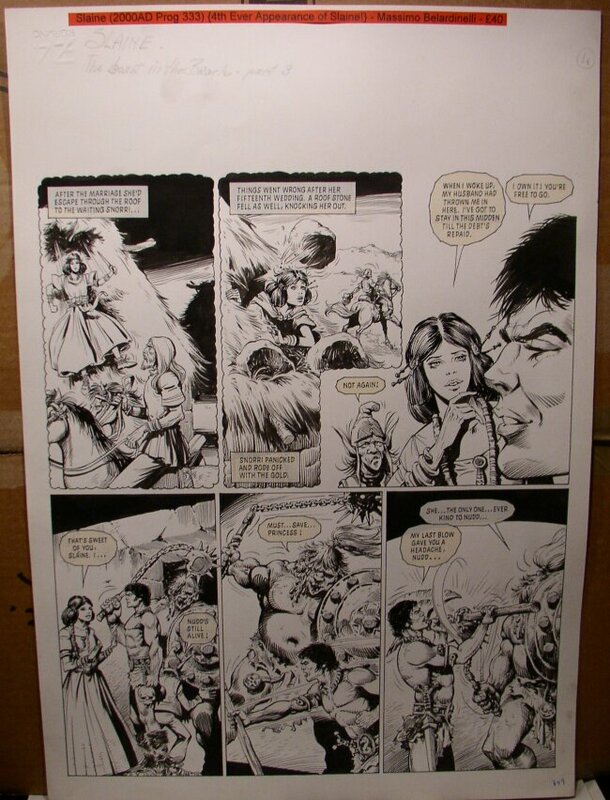 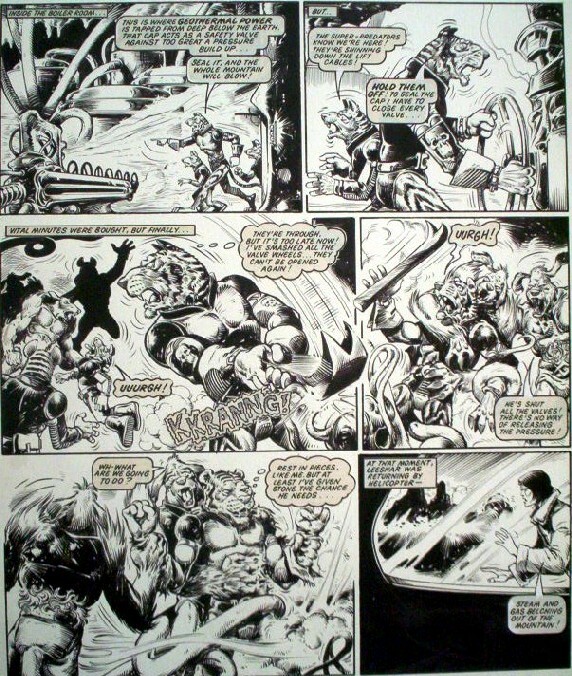 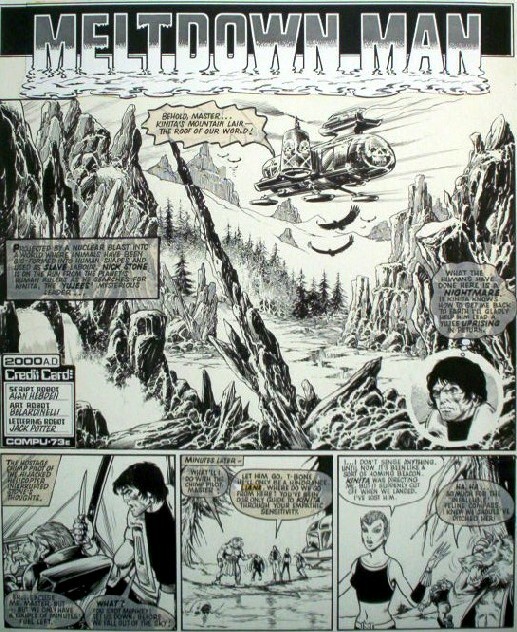 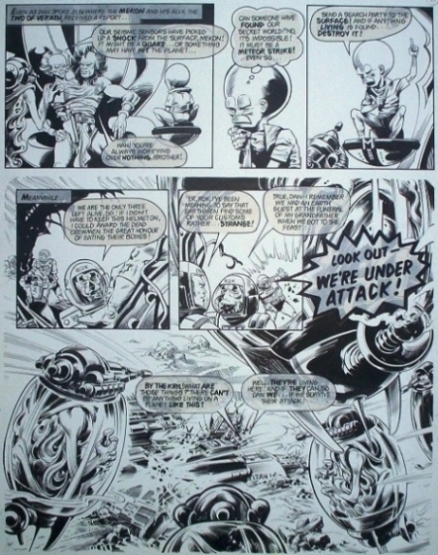 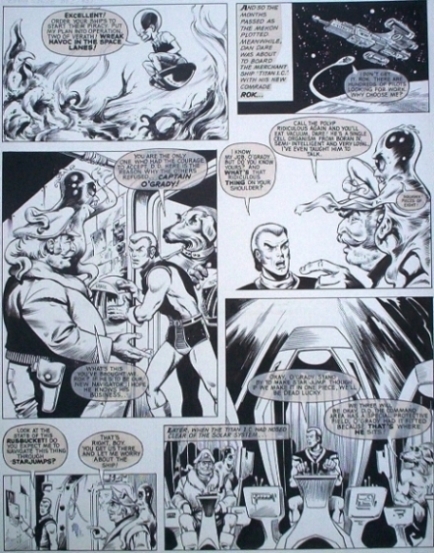 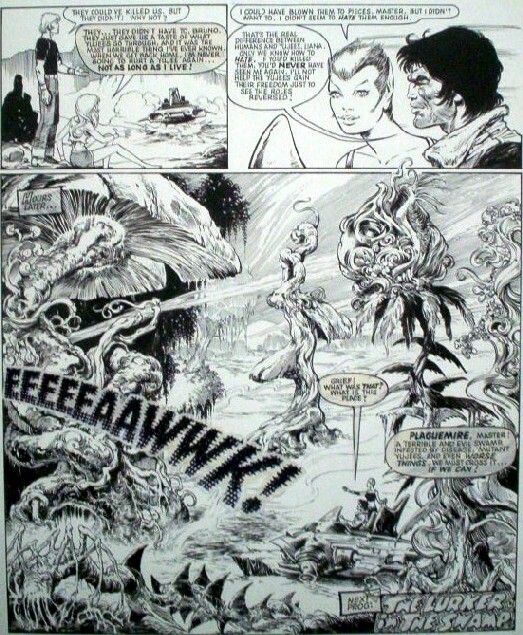 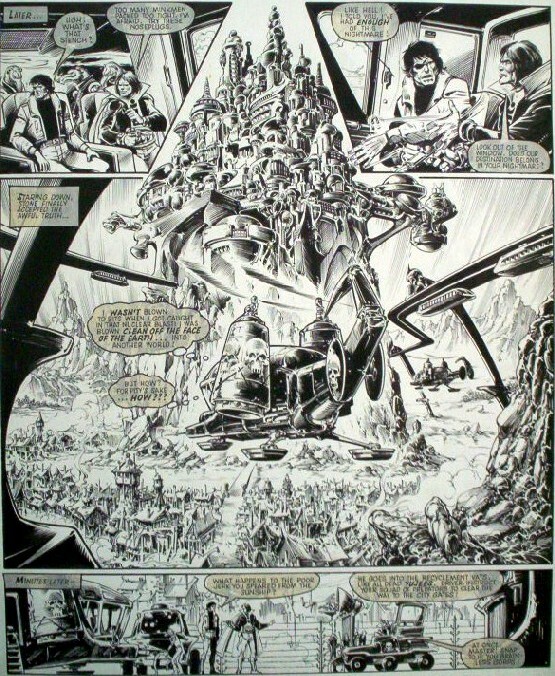 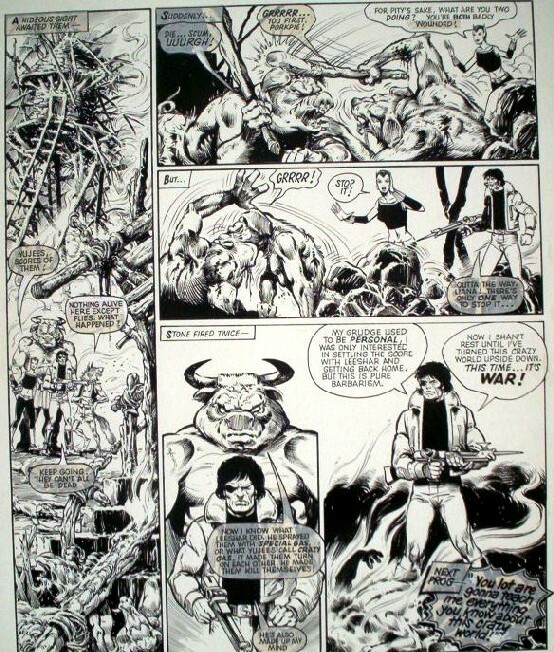 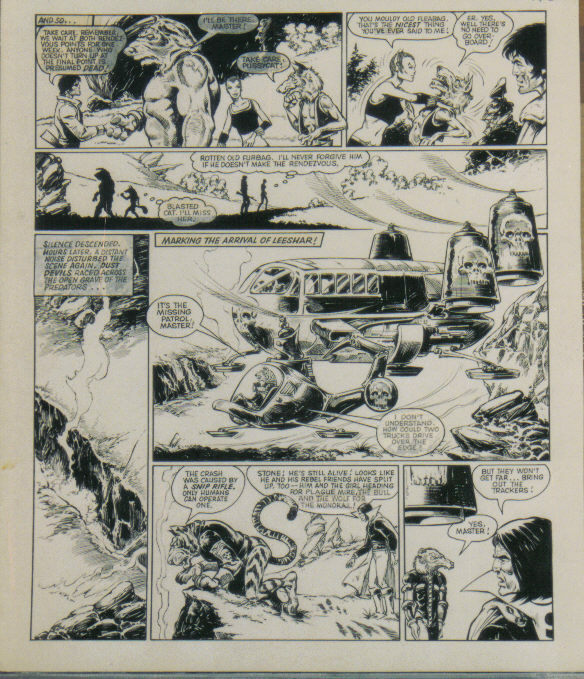 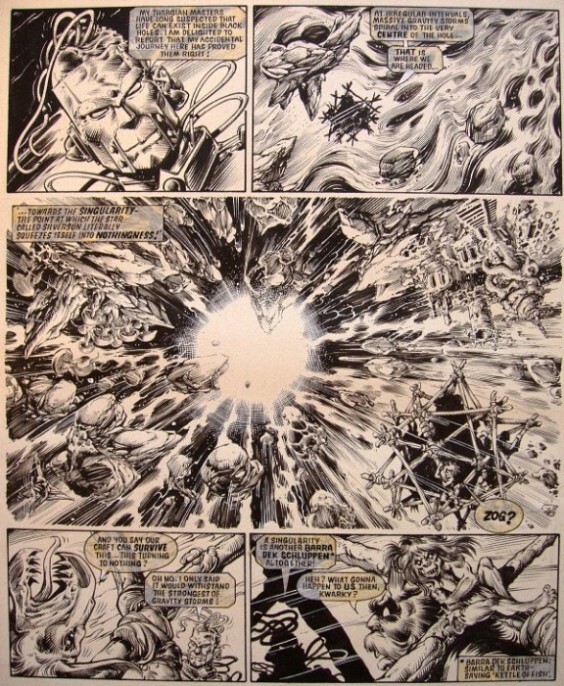 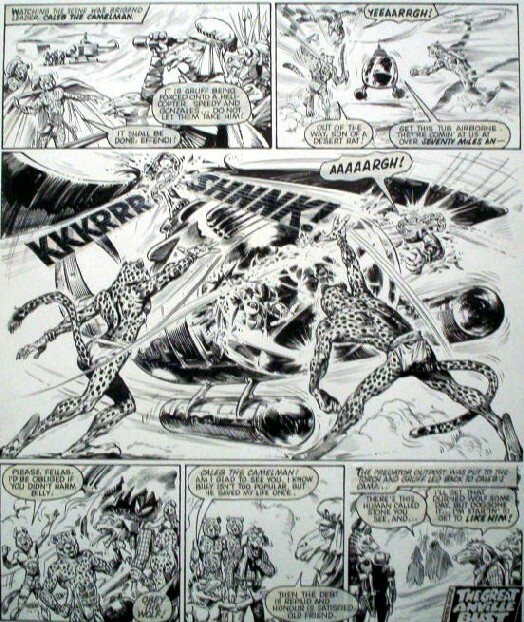 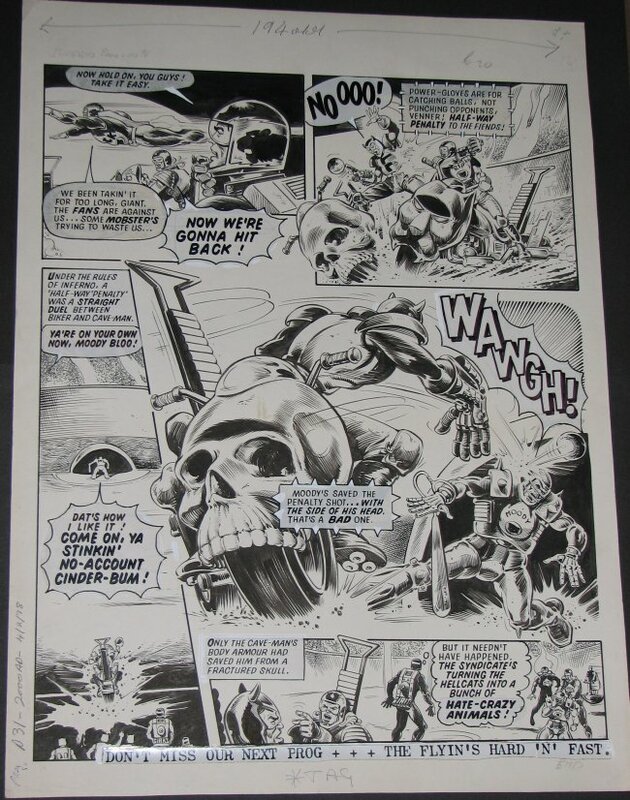 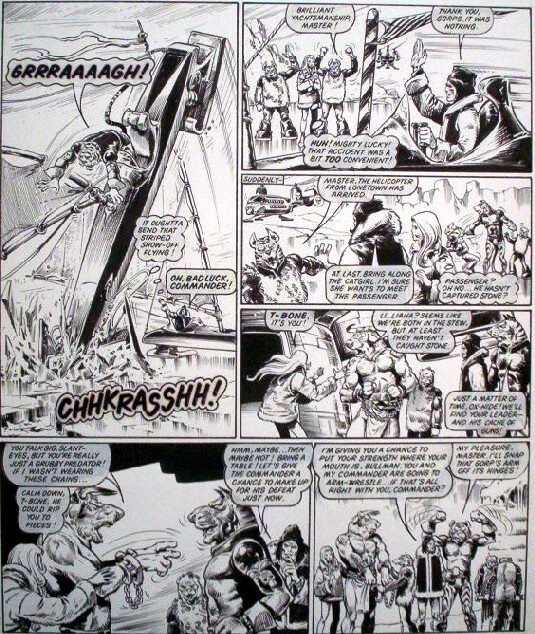 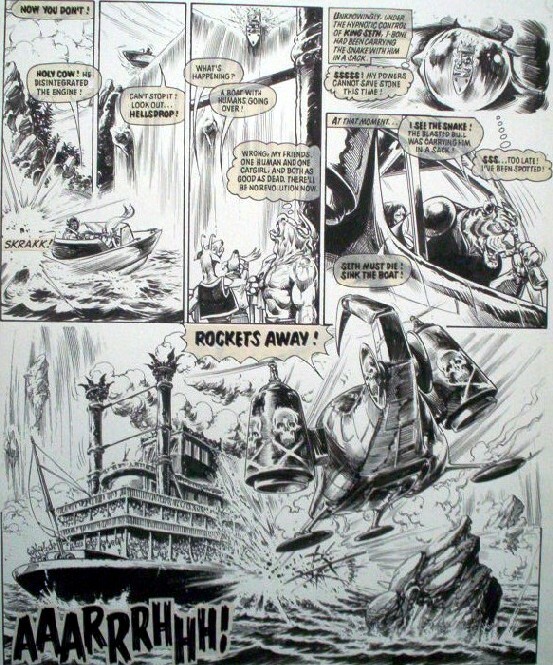 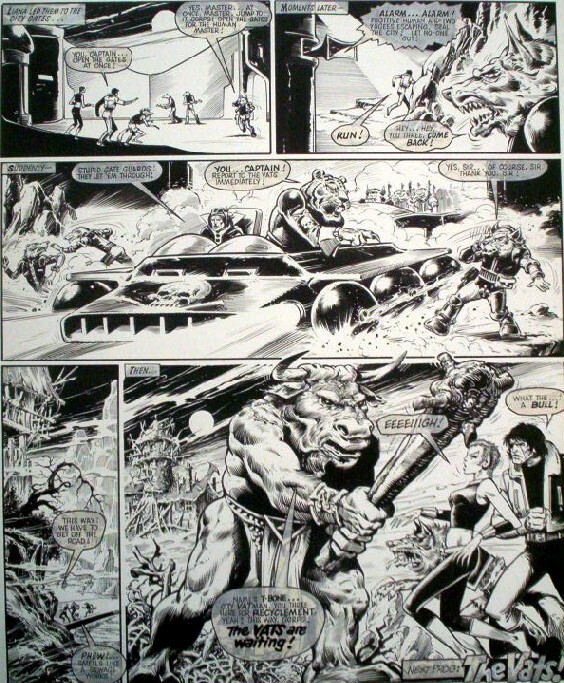 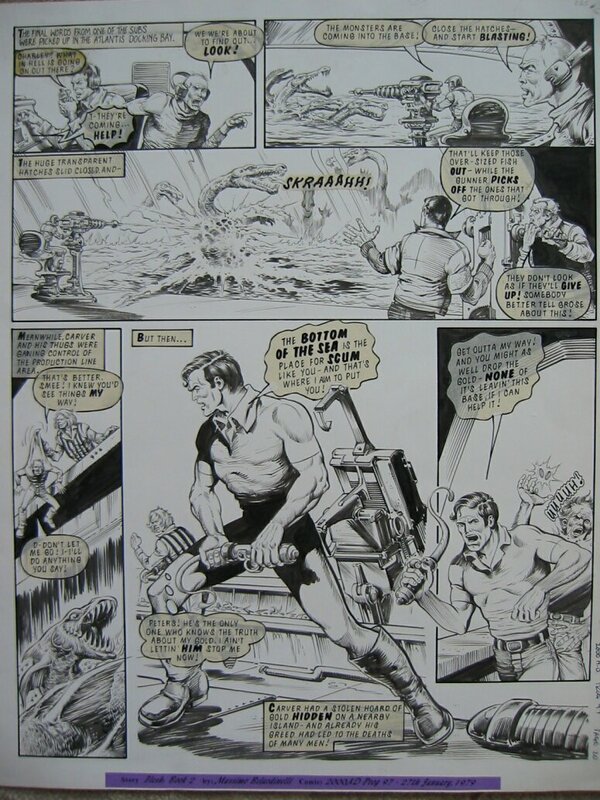 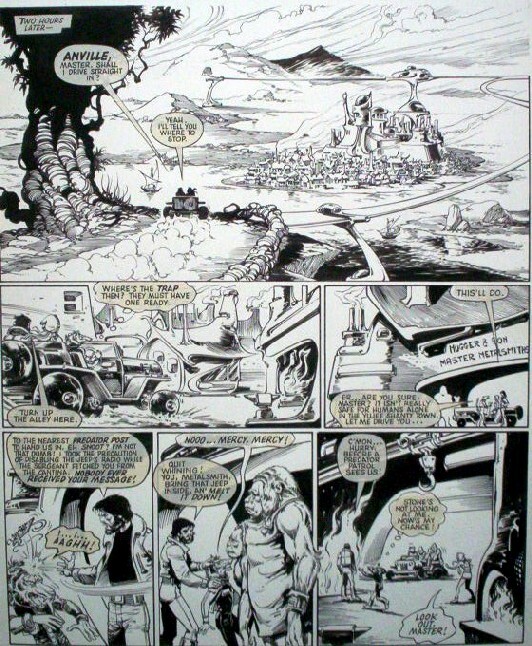 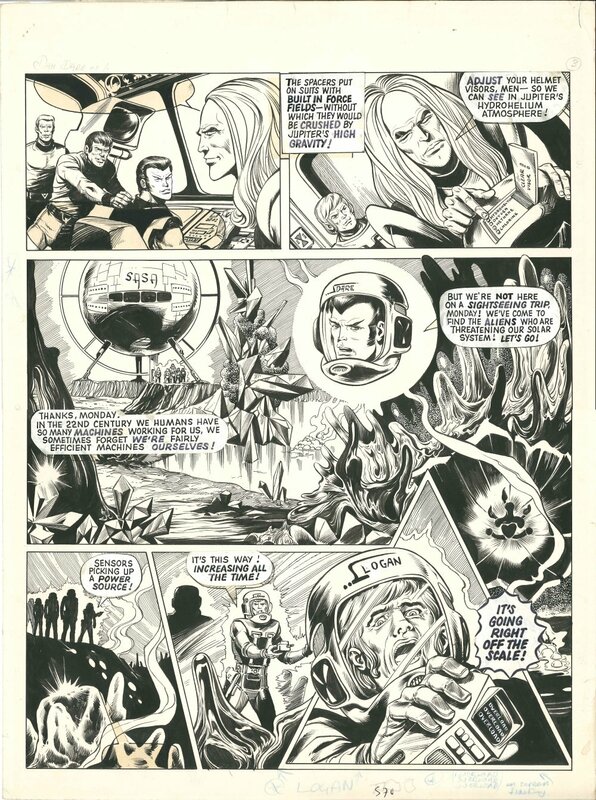 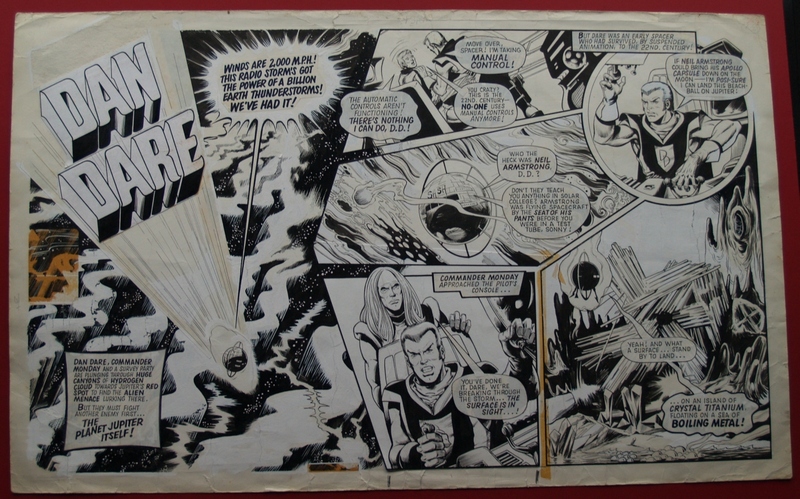 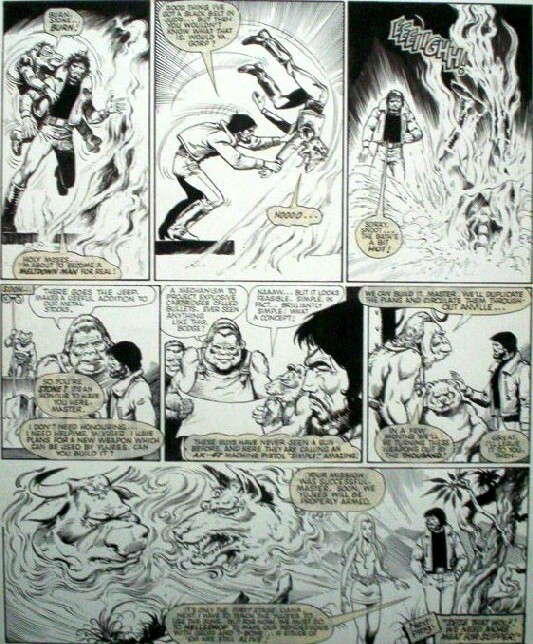 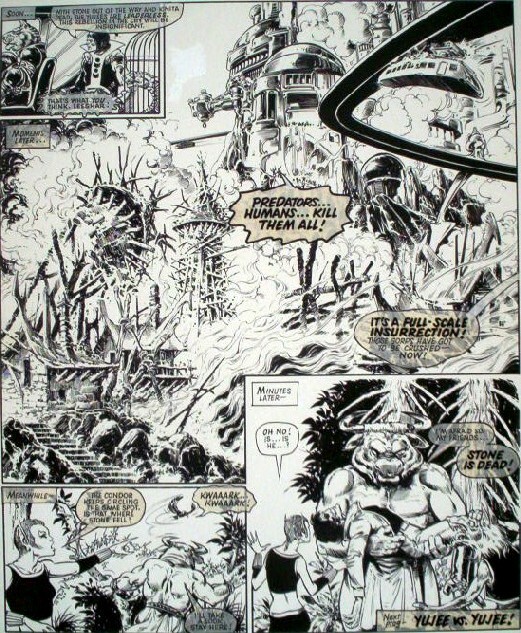 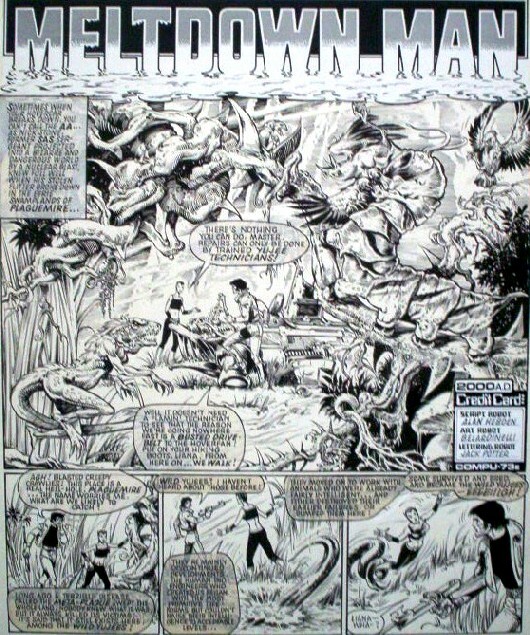 A big thank you to Paul for selling me these 13 pages of Dan Dare artwork. 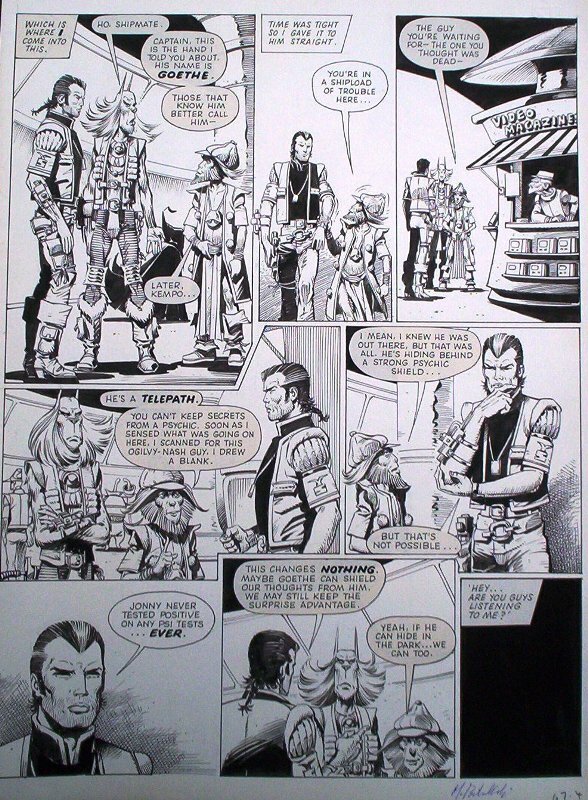 Thanks Adam, very much appreciated indeed. 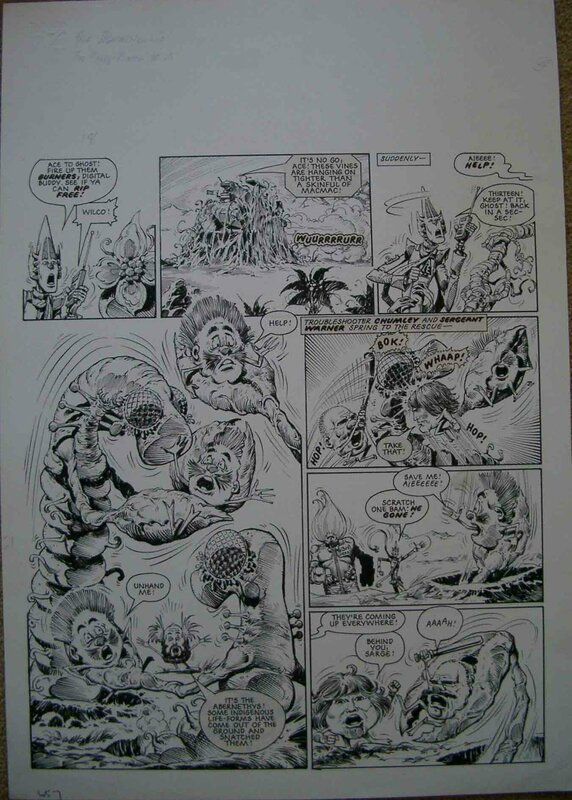 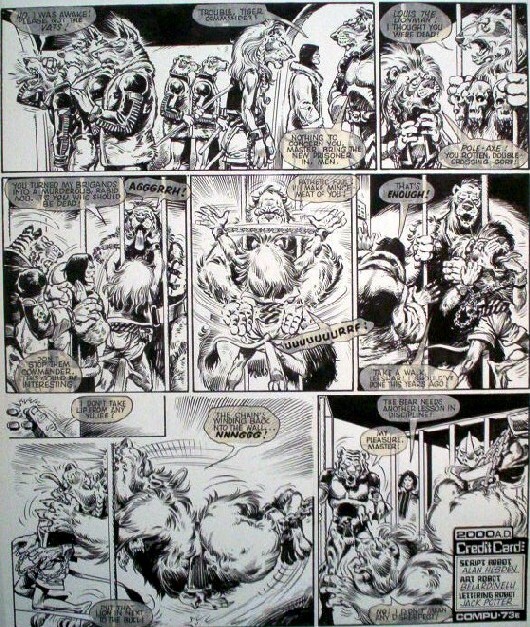 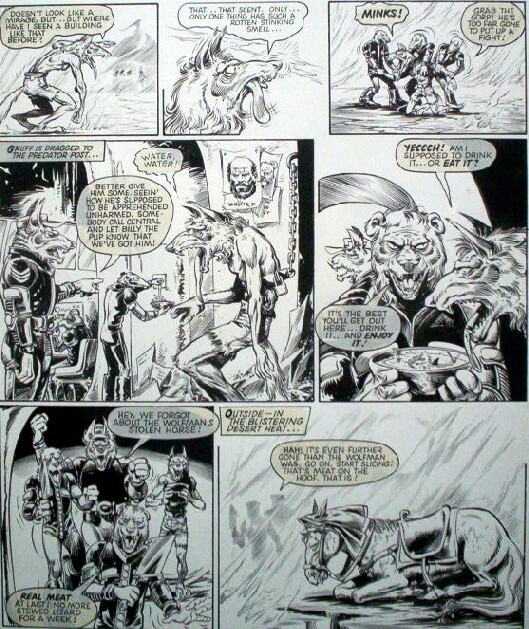 Sincere thanks to Massimo for this Fantastic page. 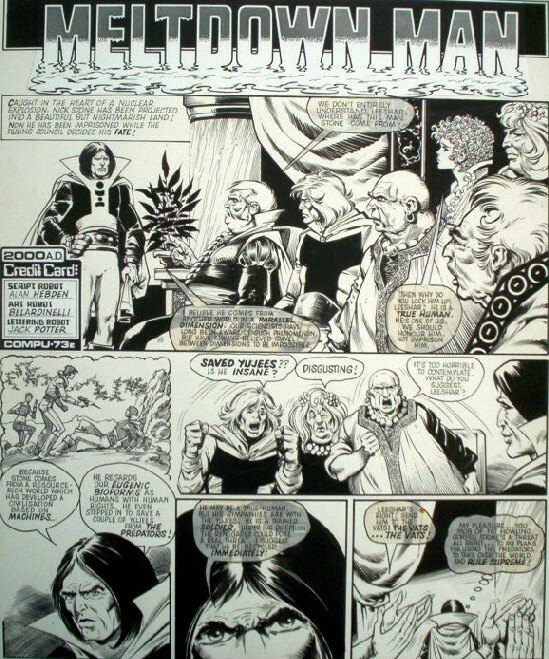 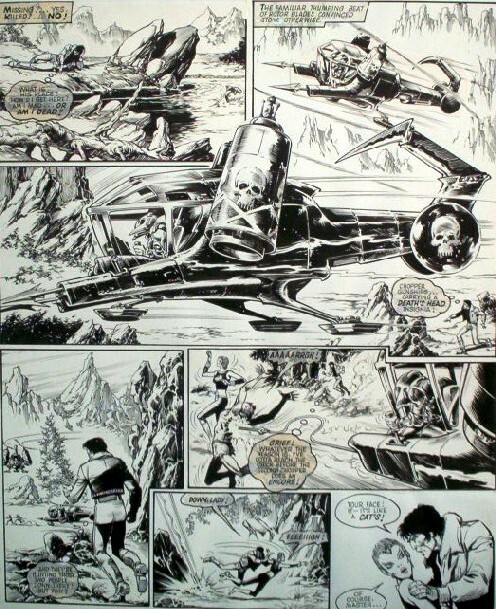 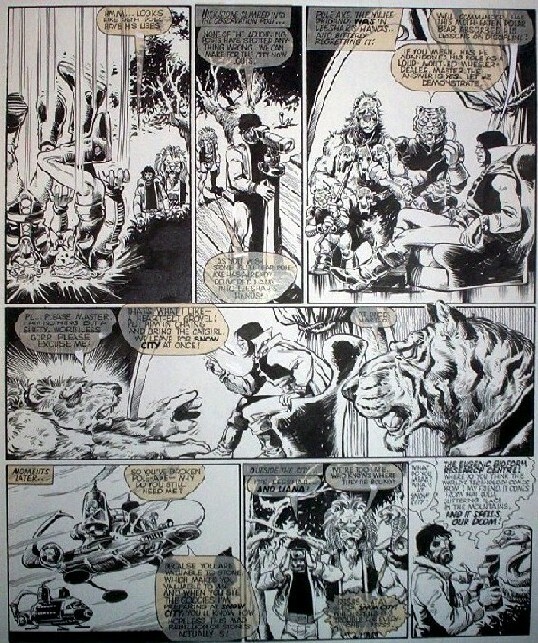 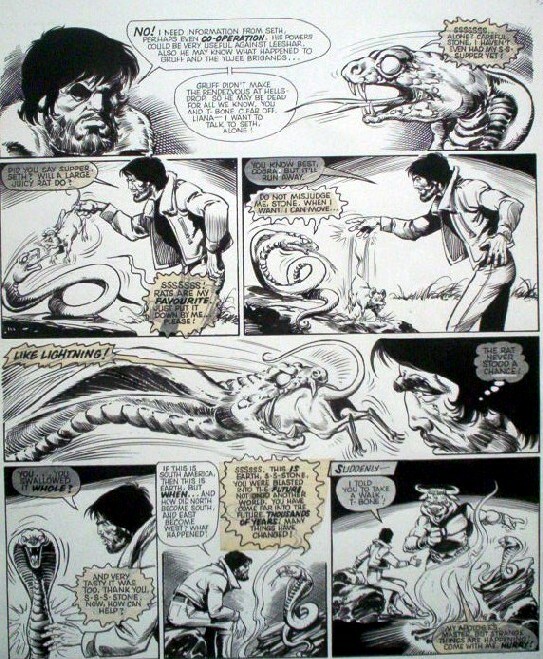 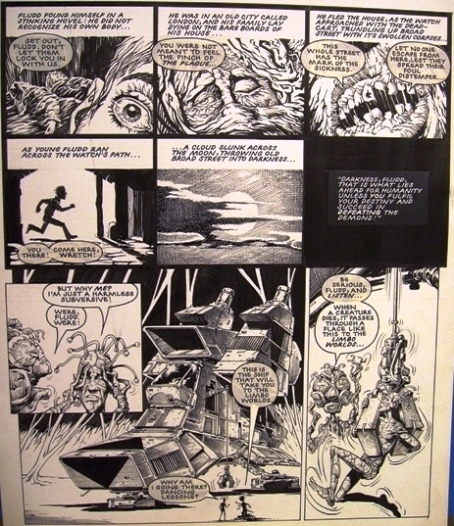 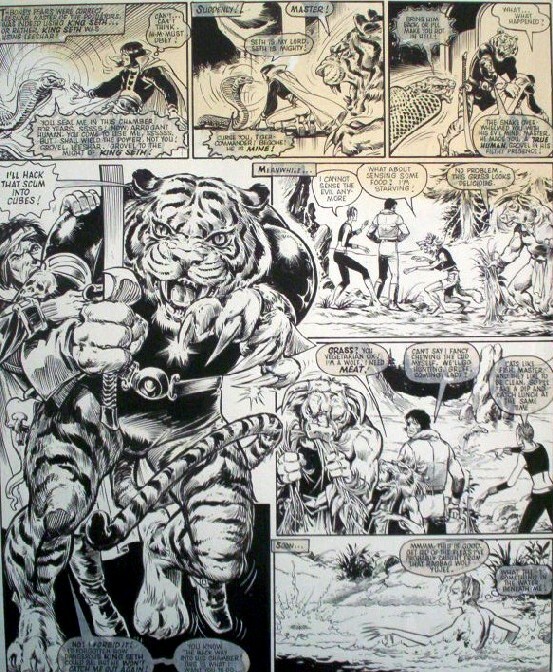 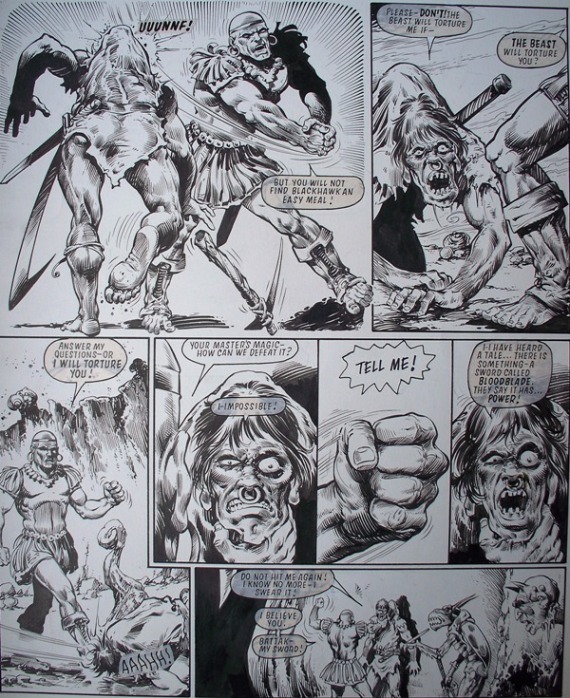 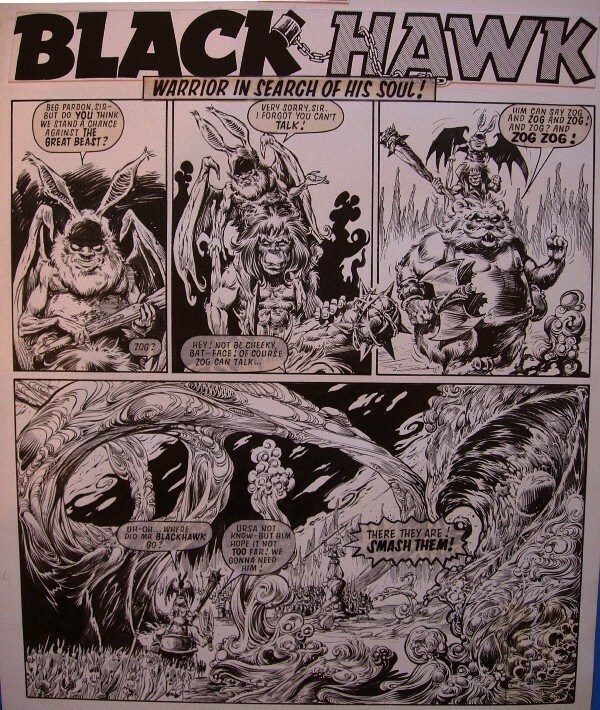 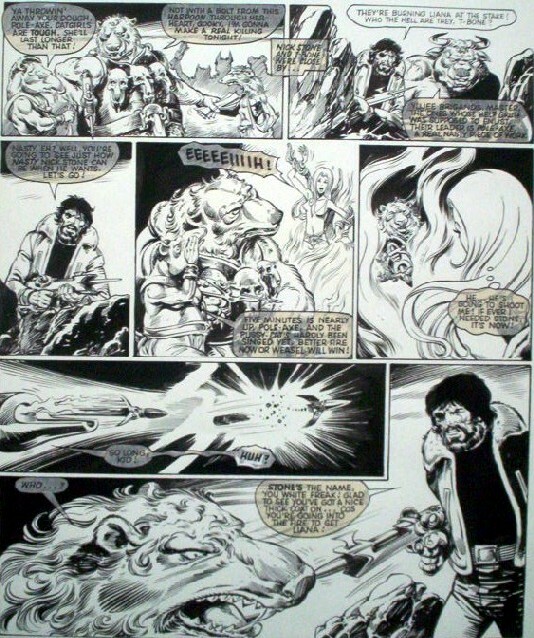 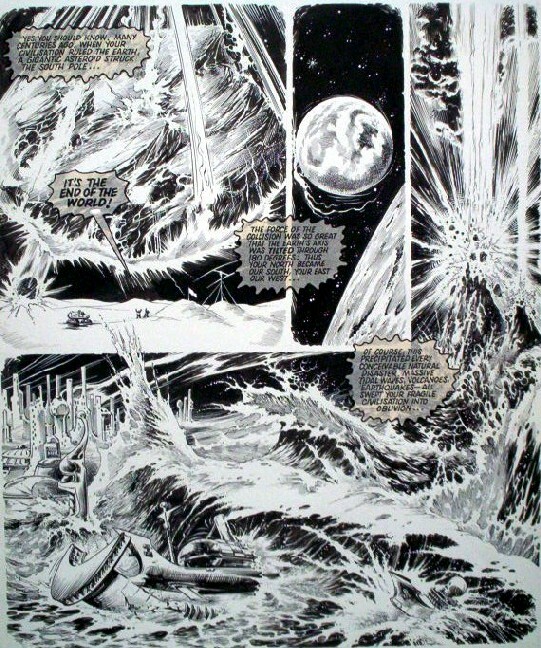 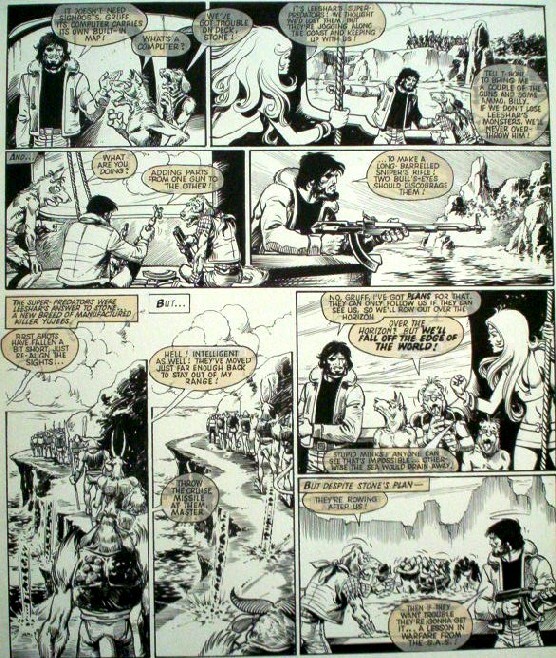 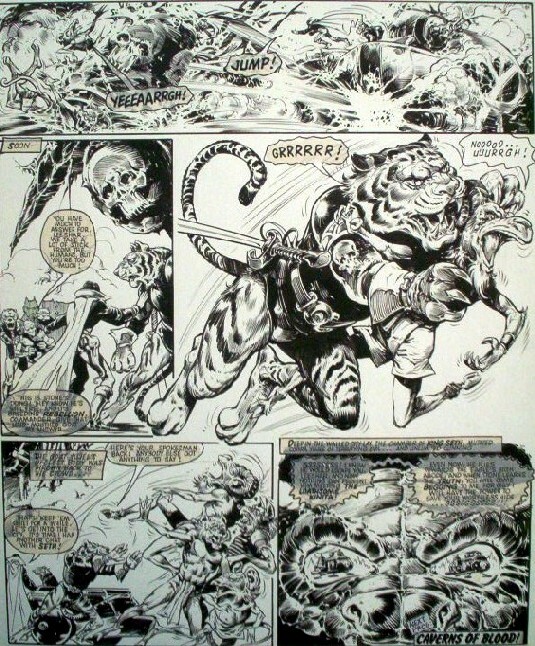 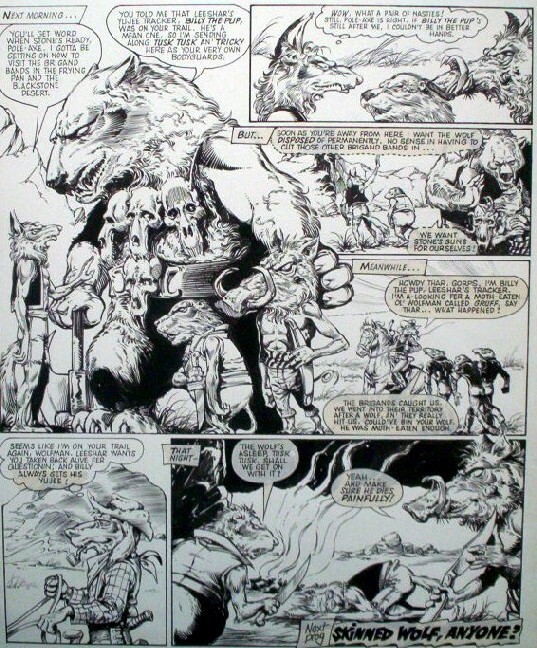 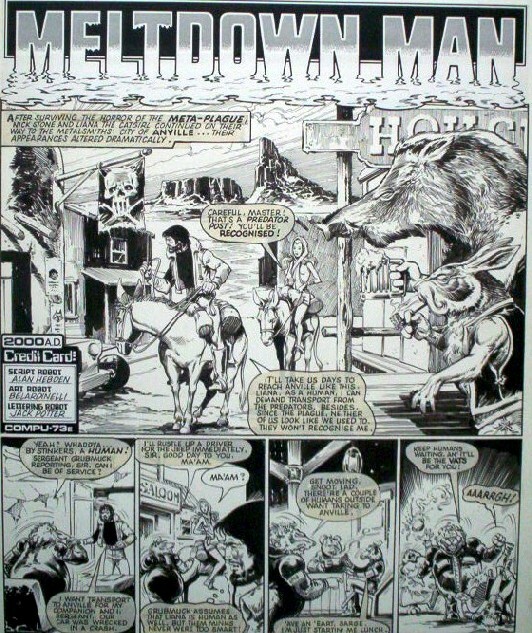 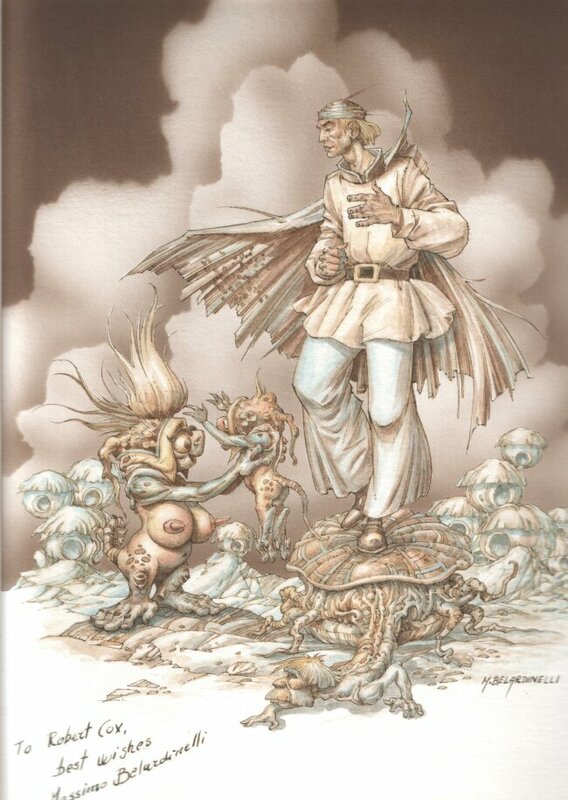 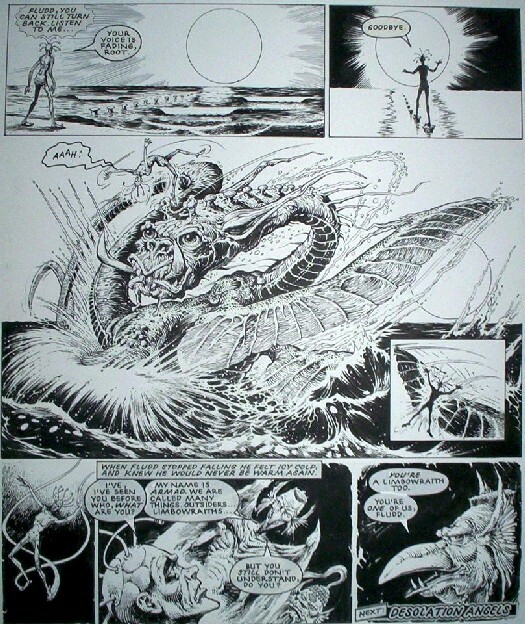 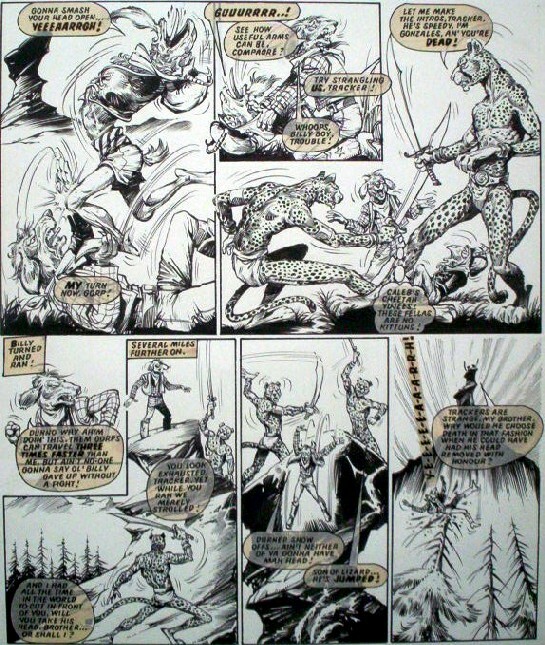 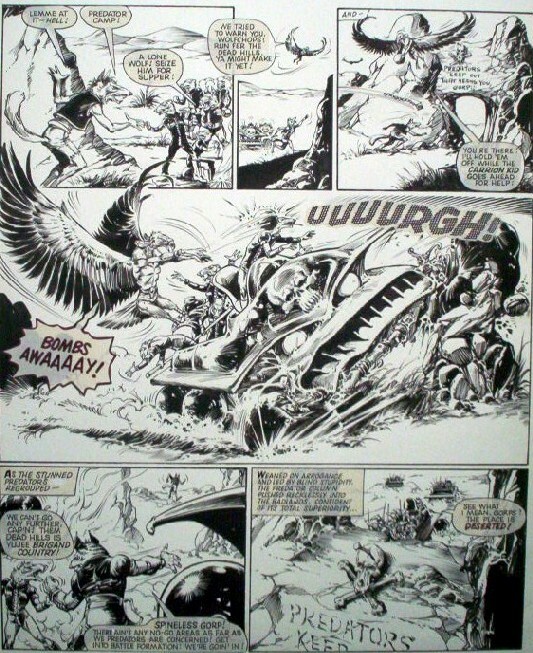 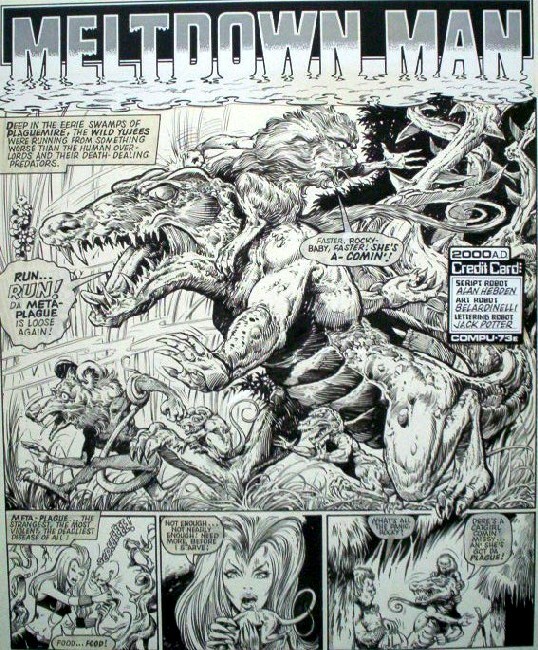 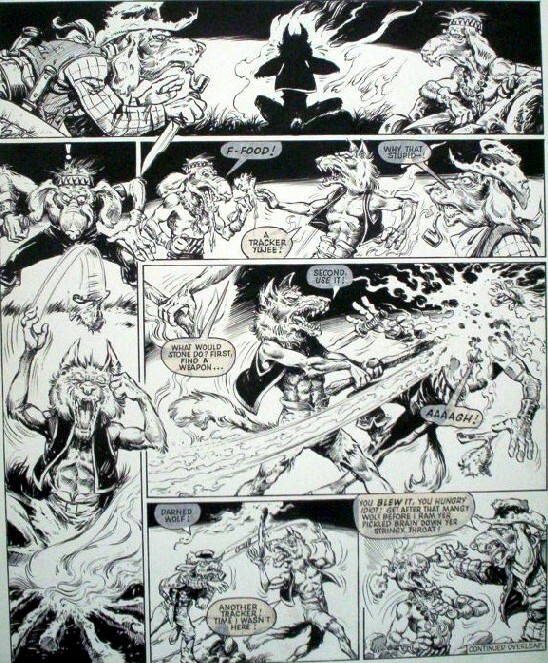 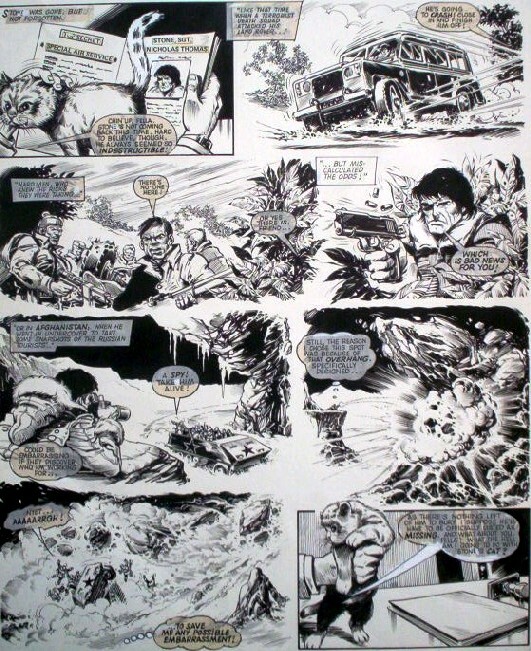 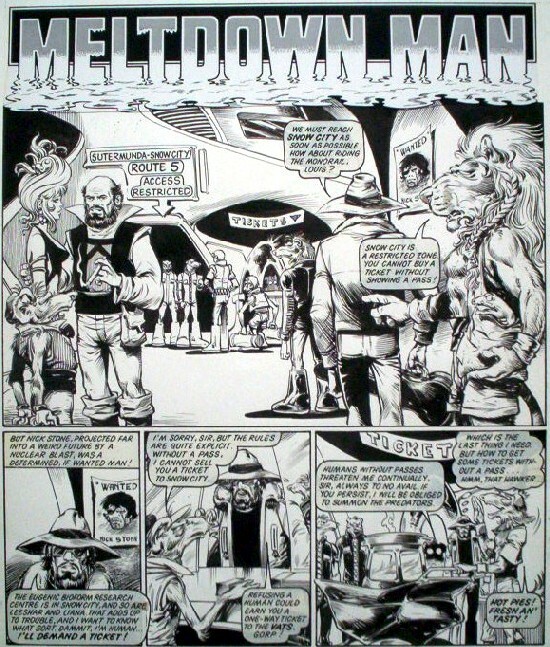 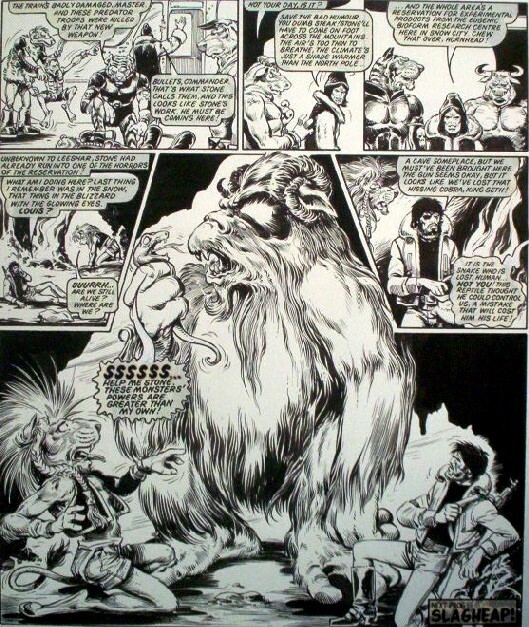 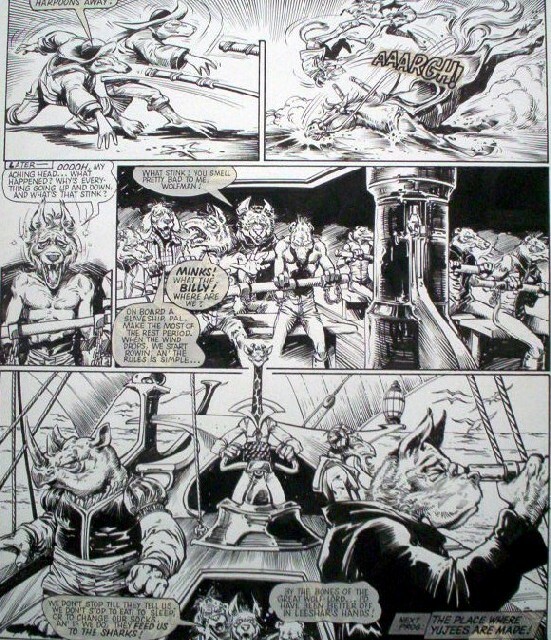 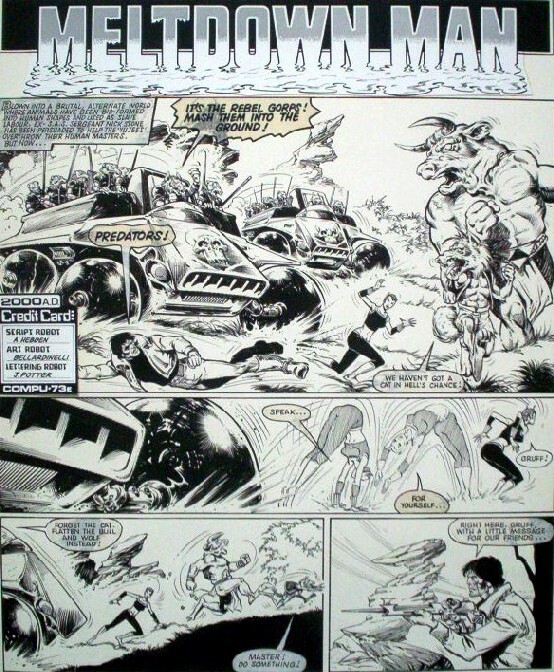 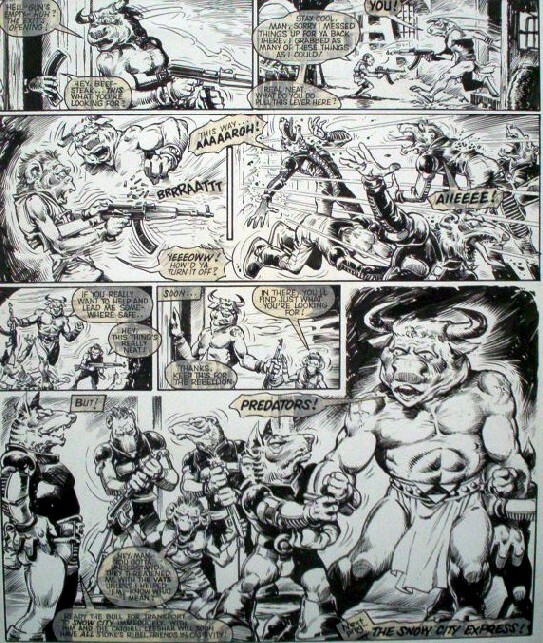 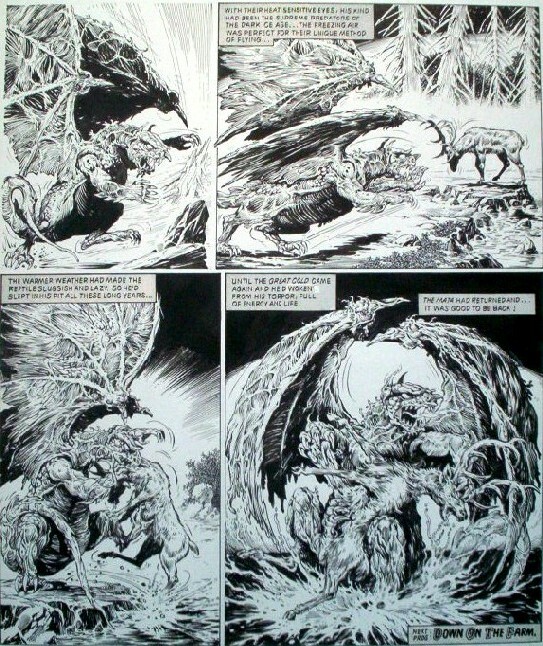 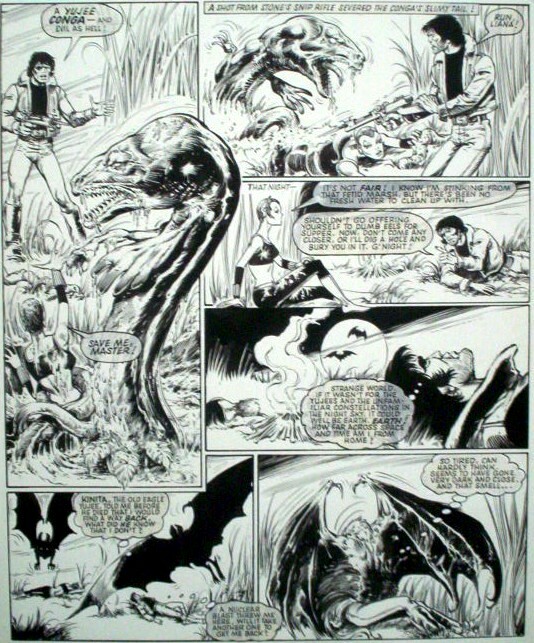 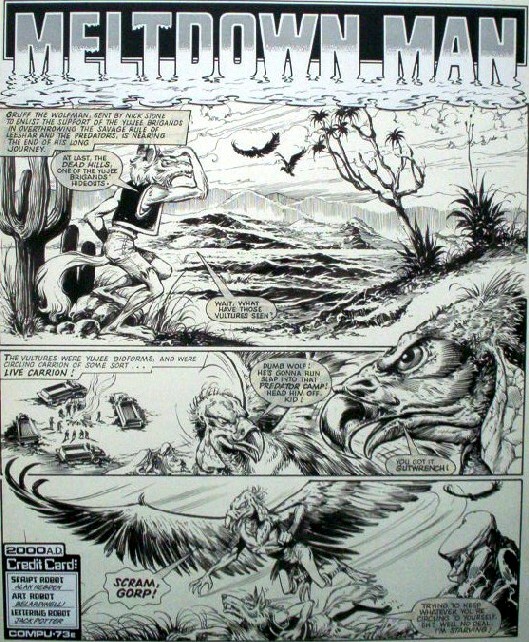 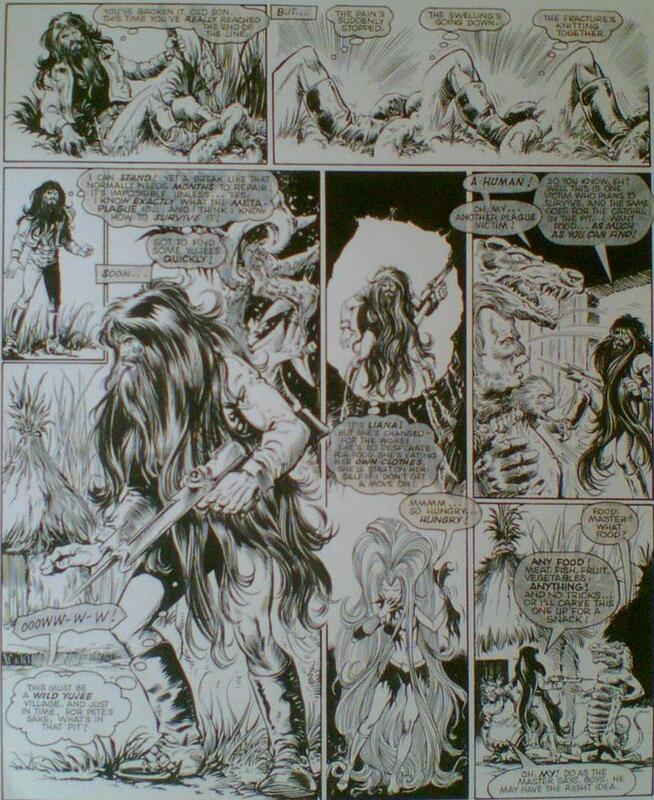 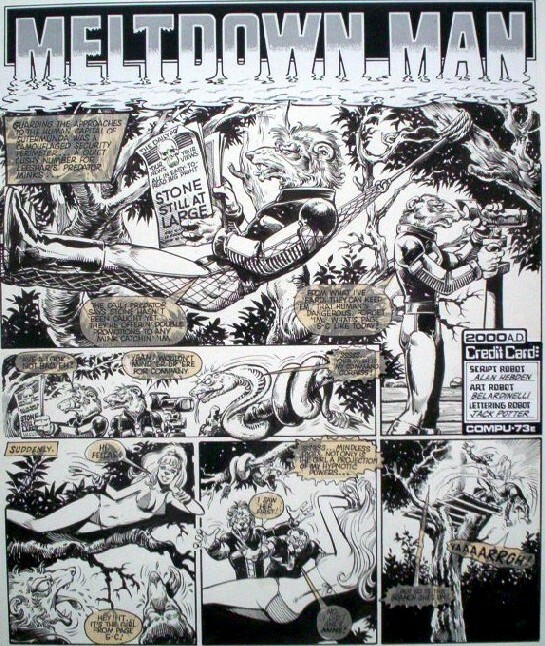 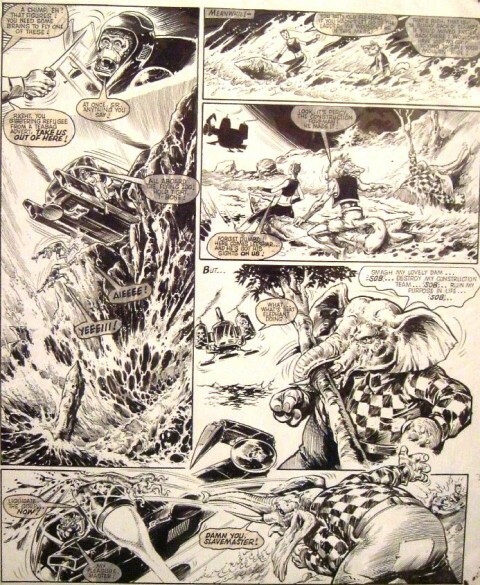 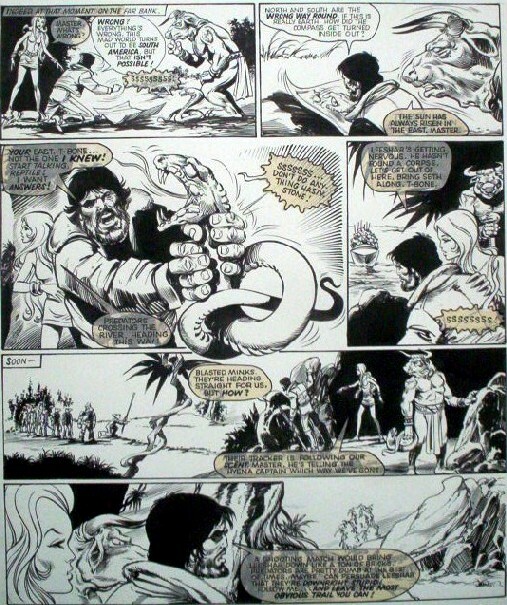 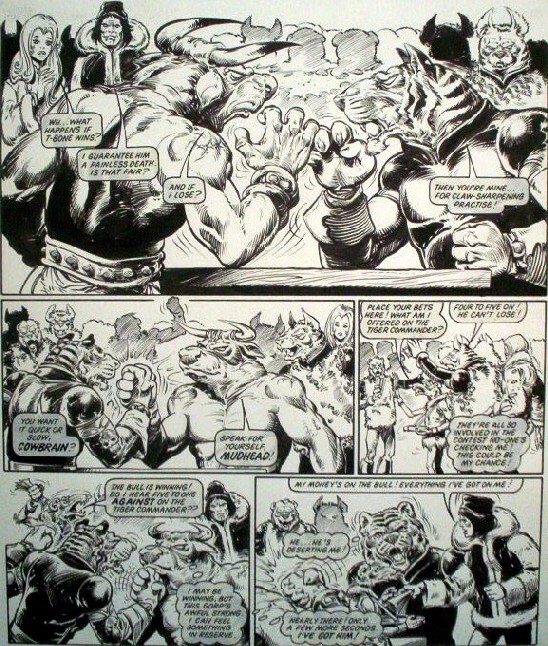 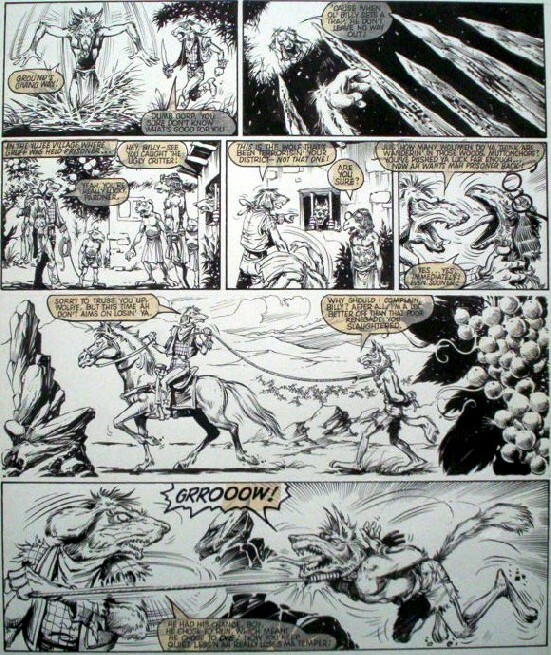 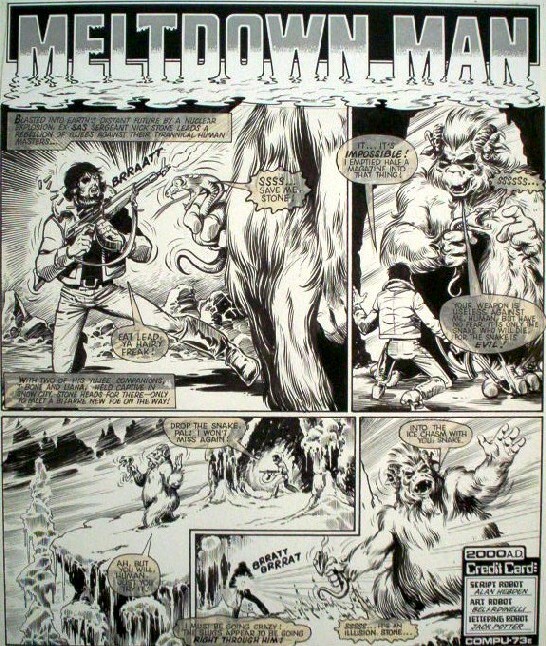 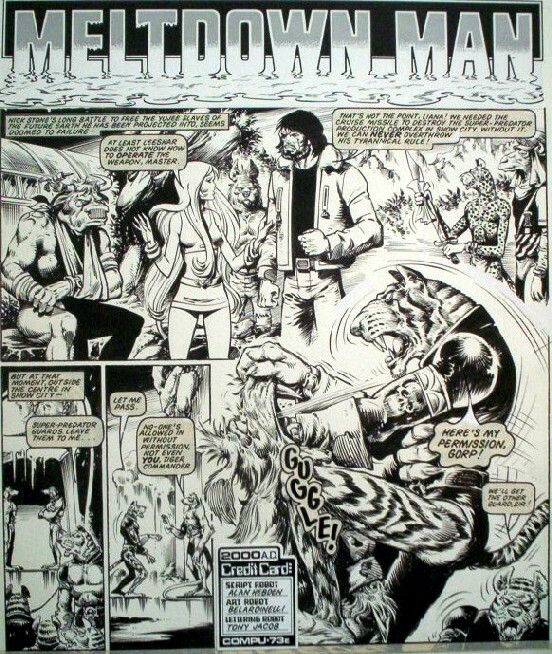 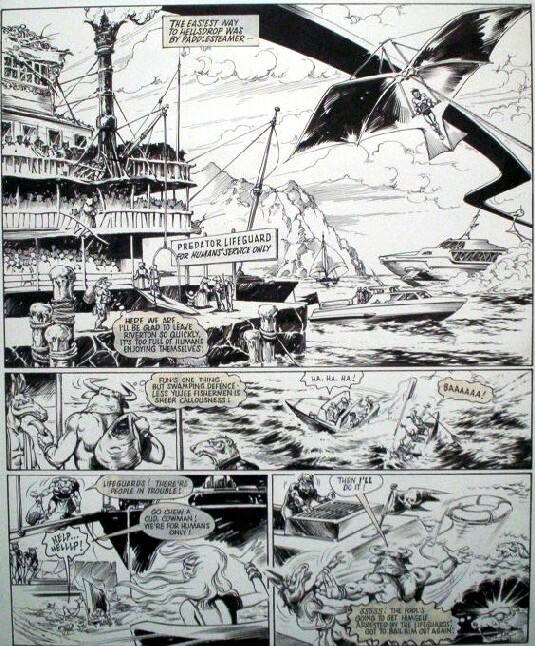 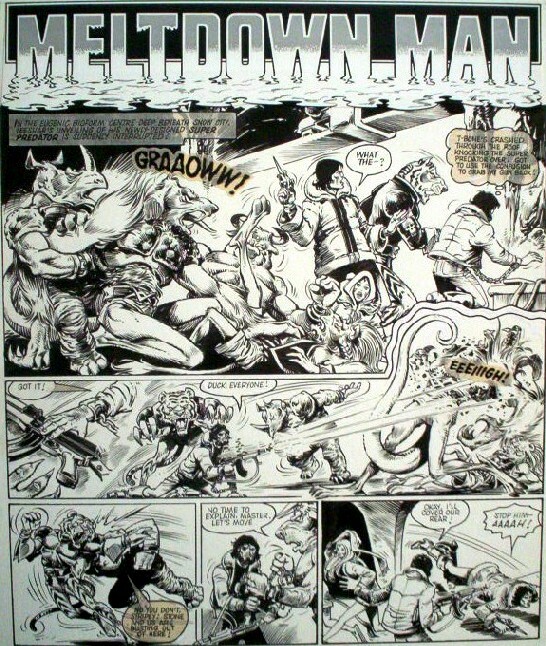 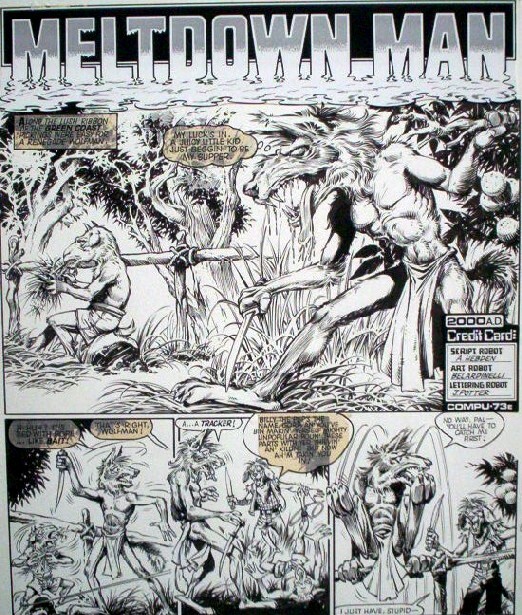 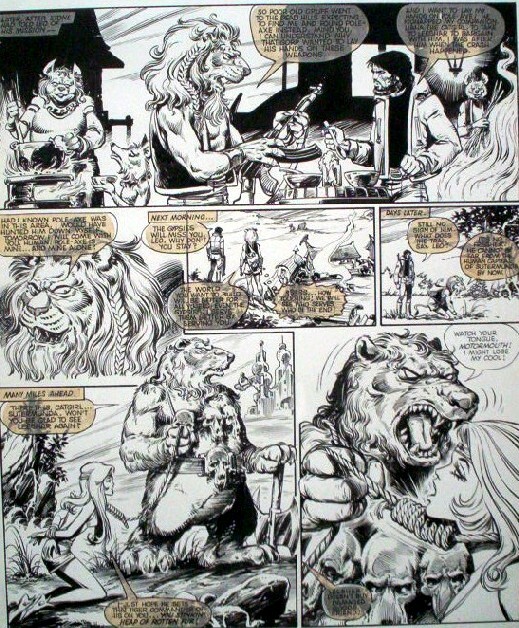 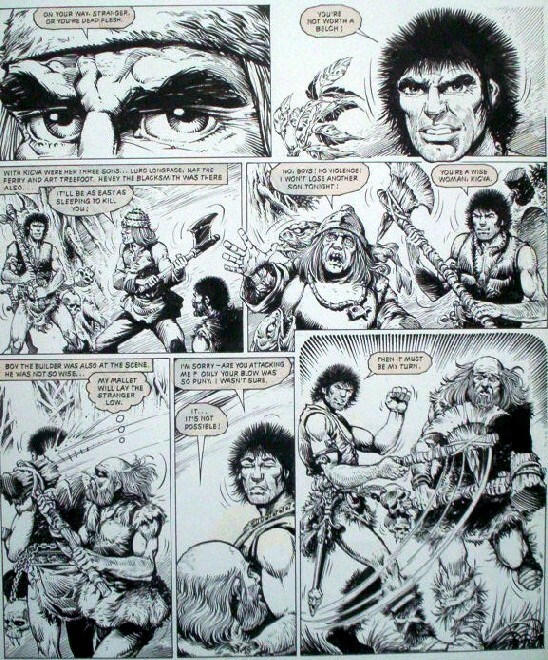 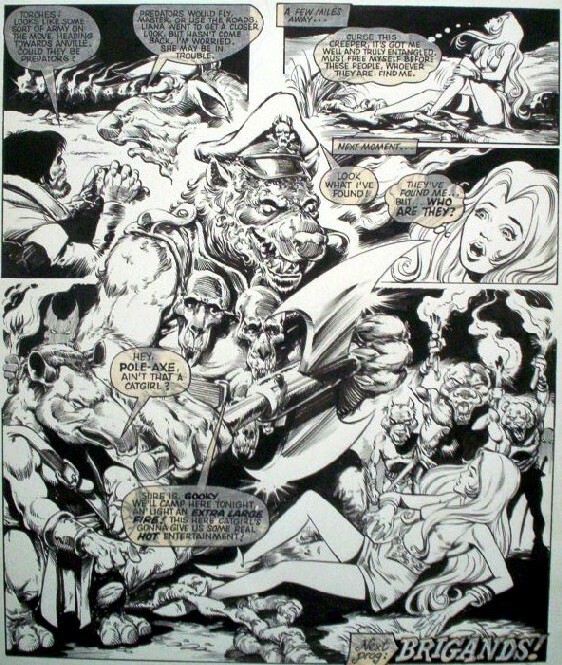 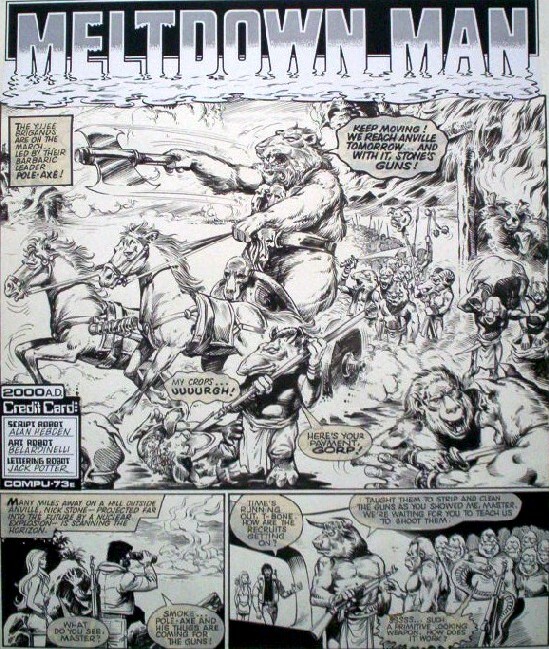 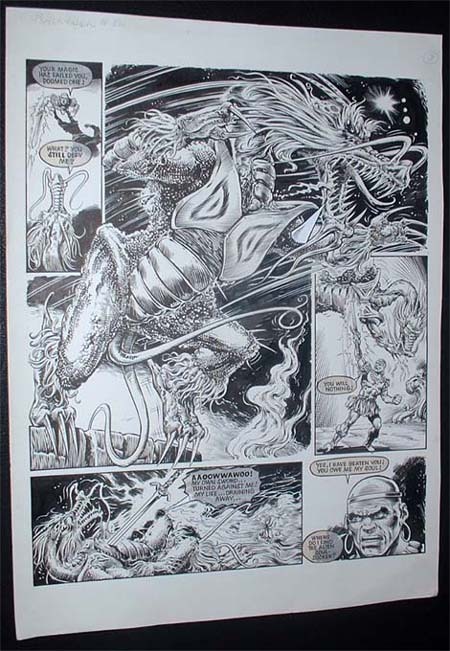 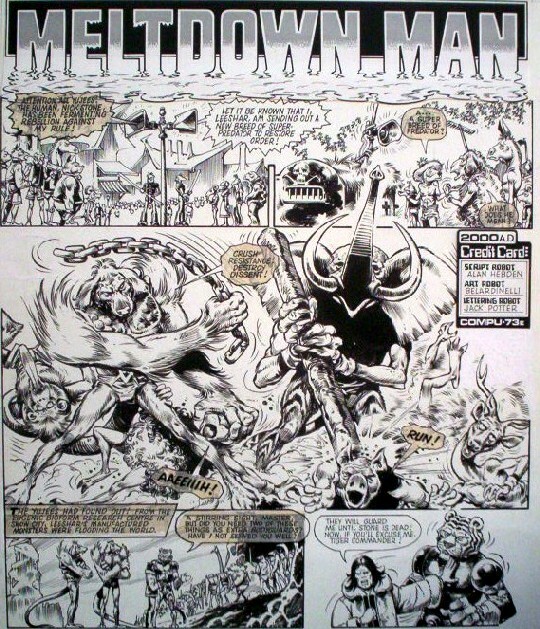 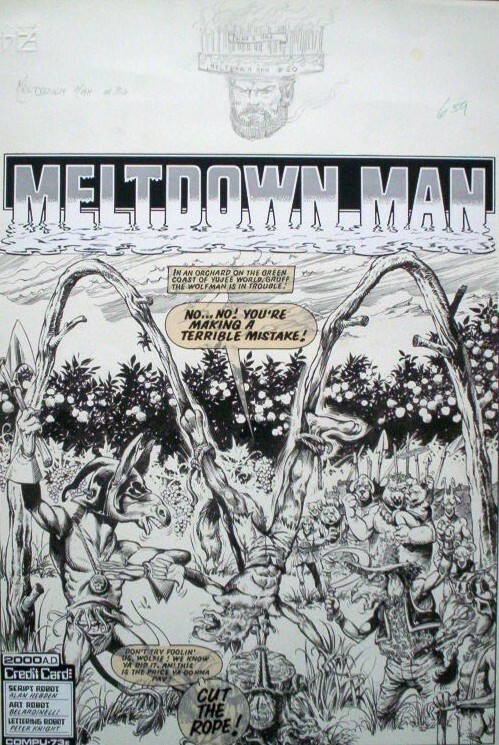 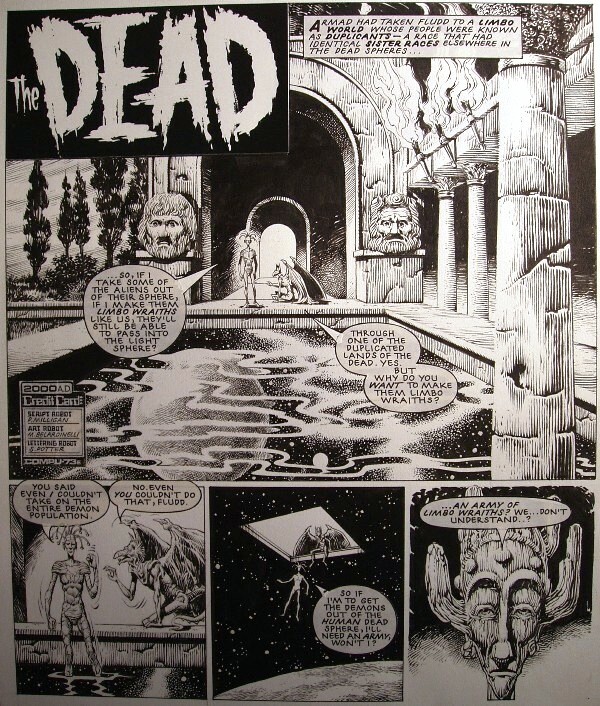 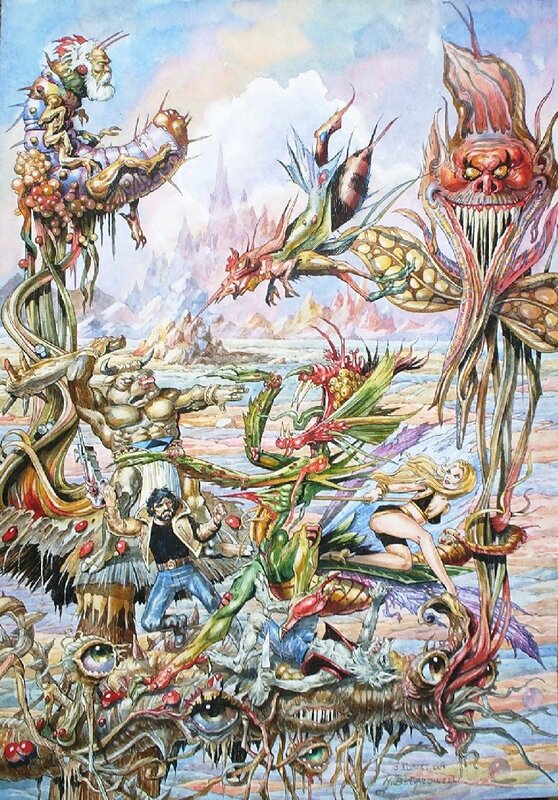 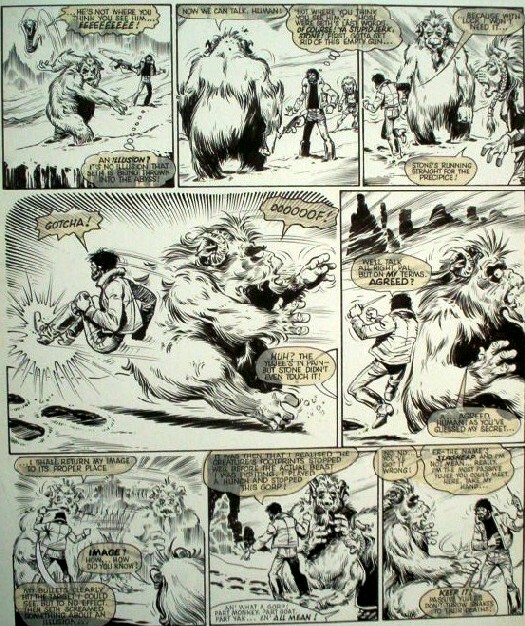 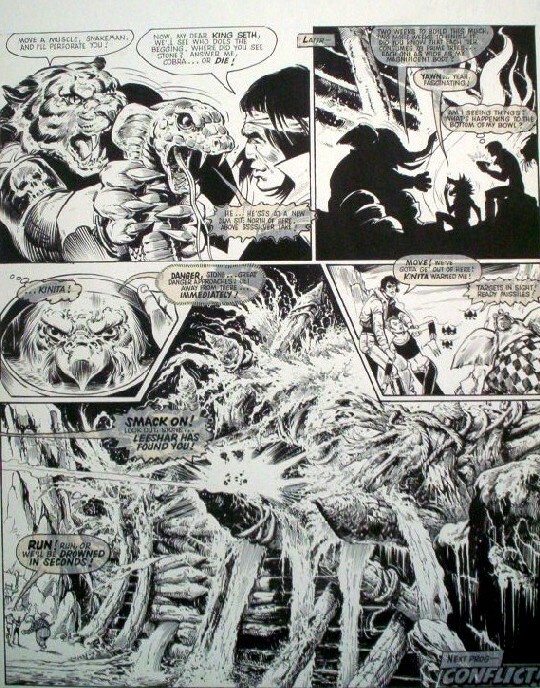 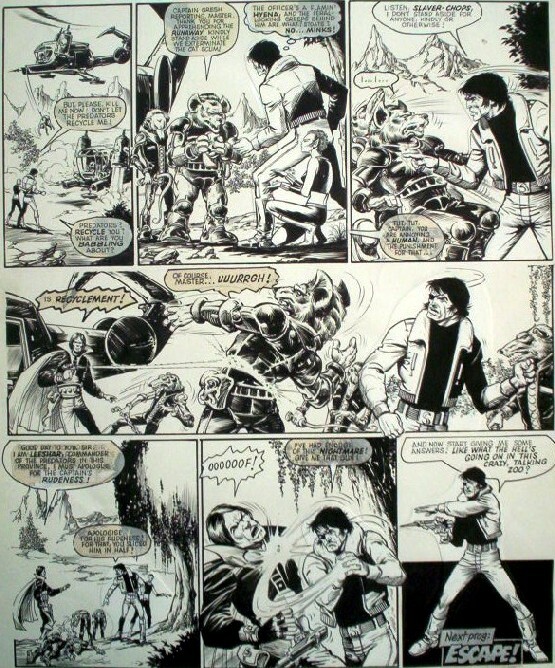 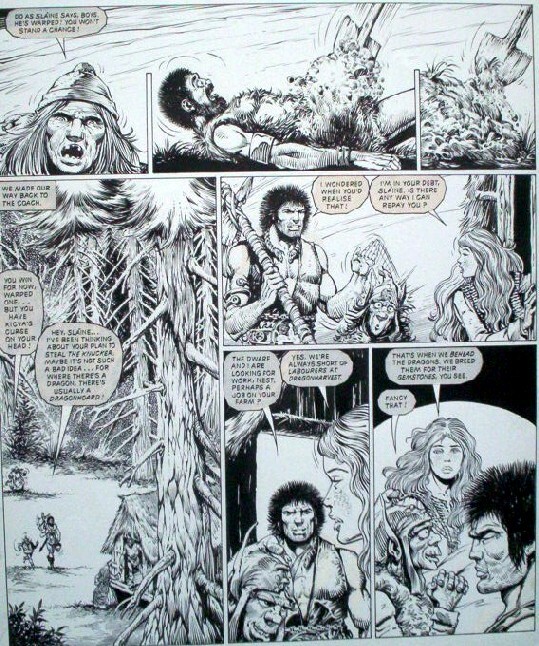 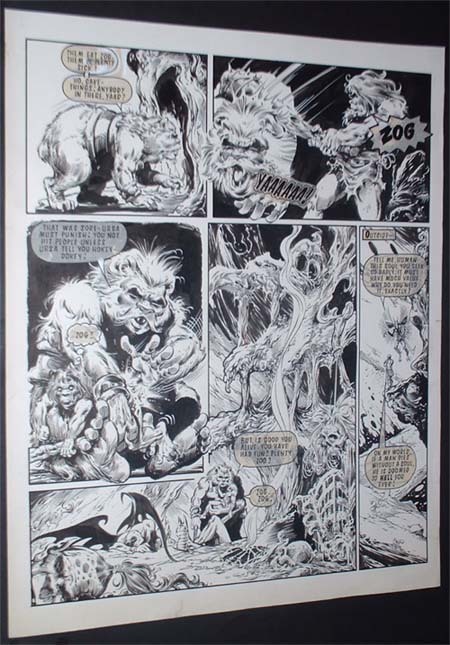 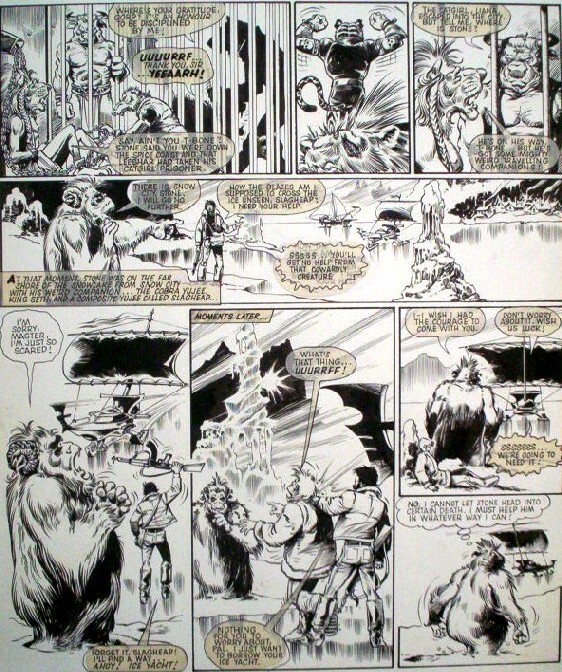 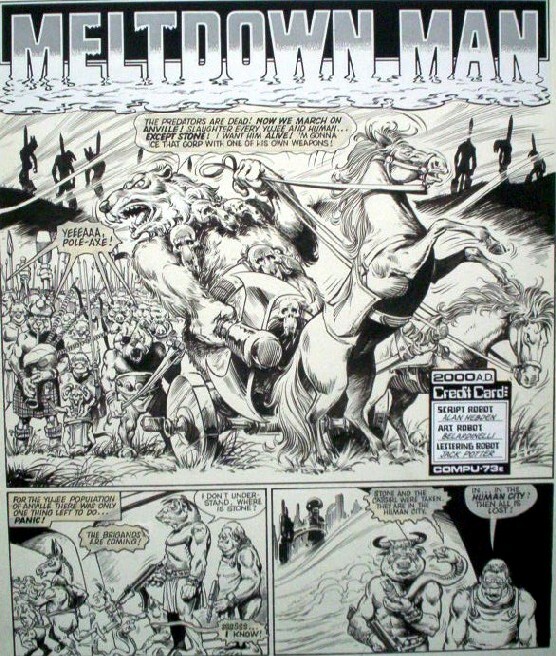 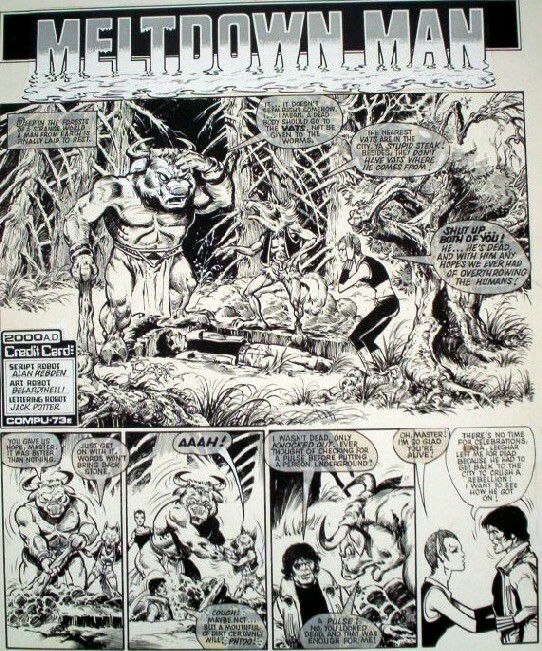 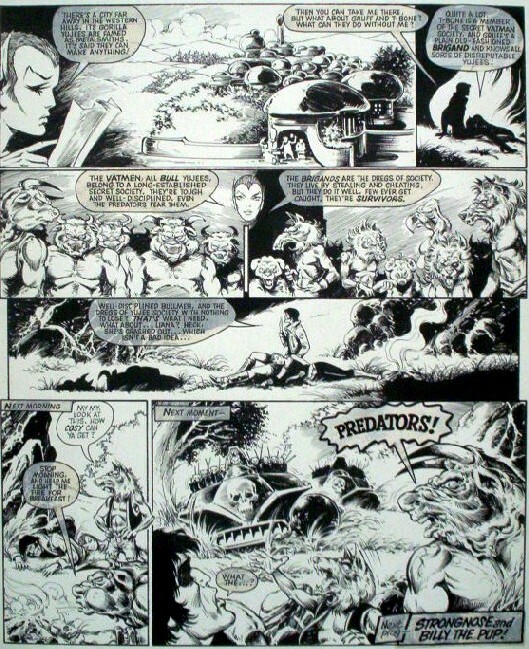 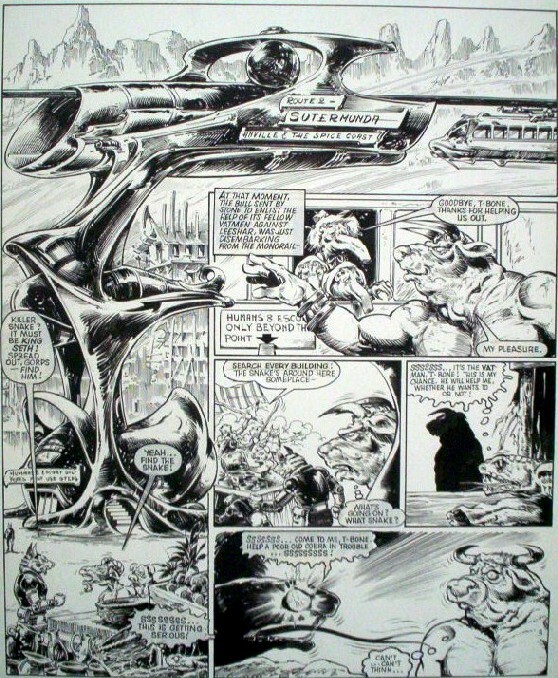 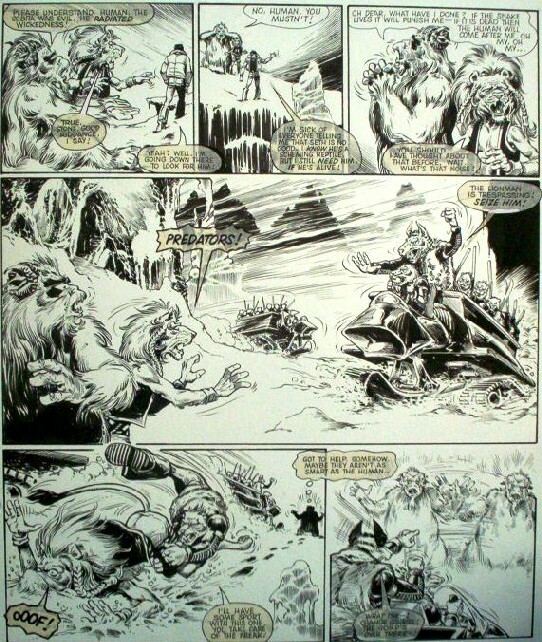 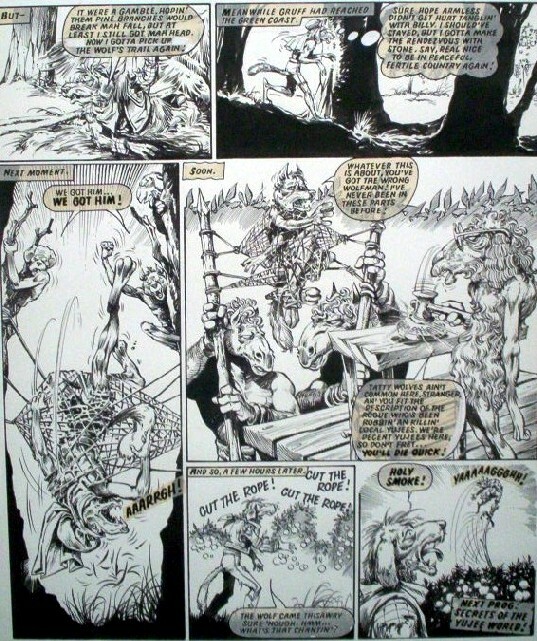 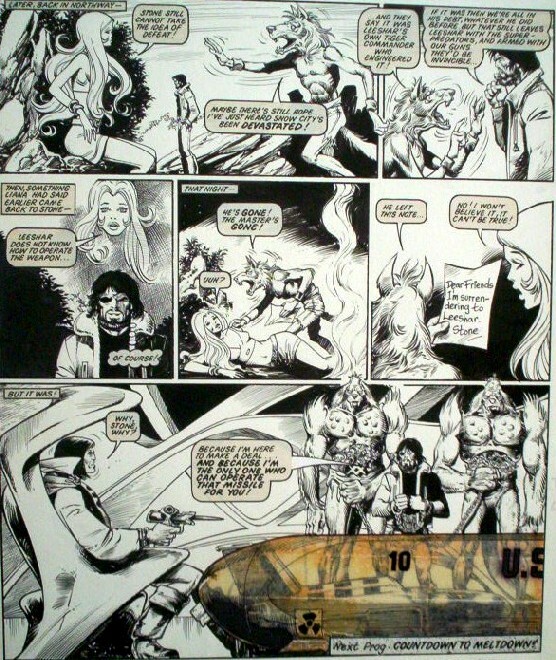 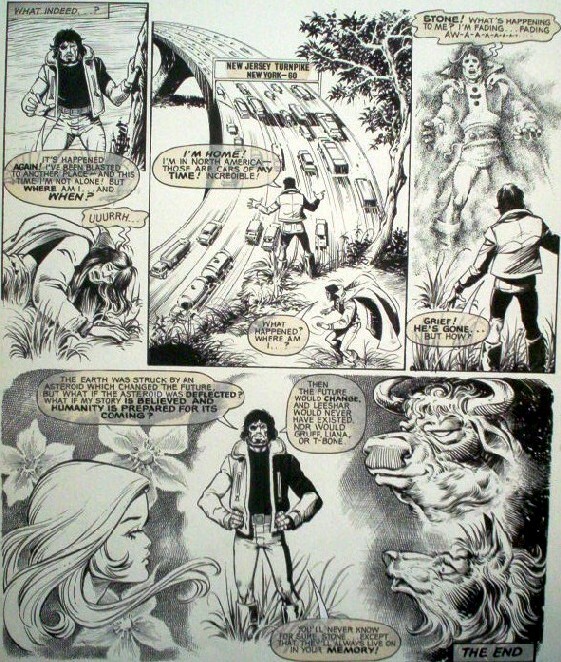 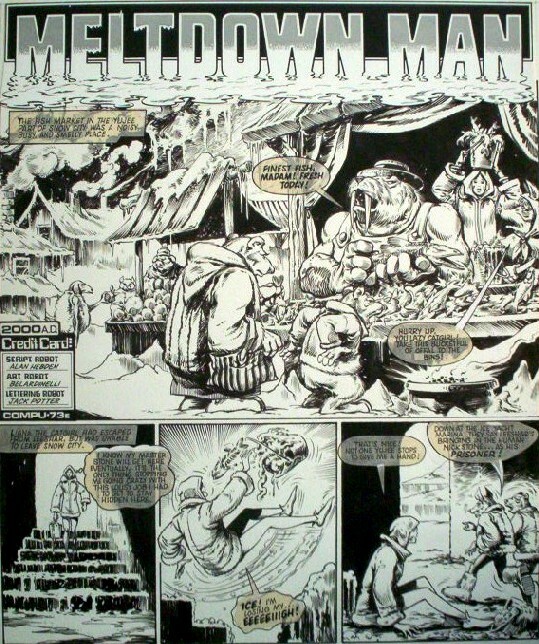 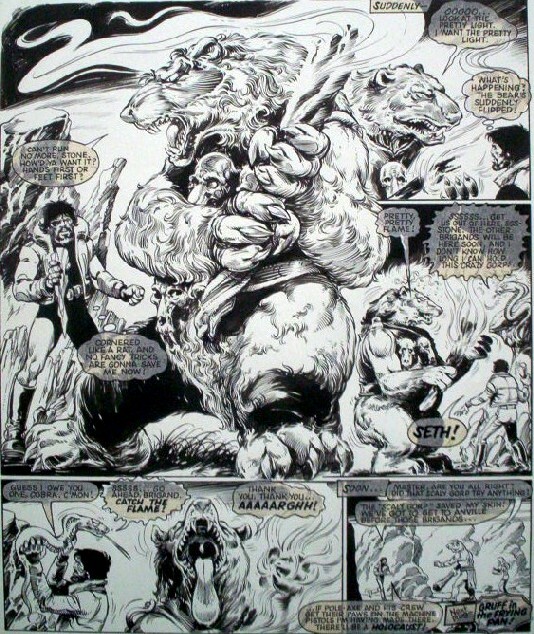 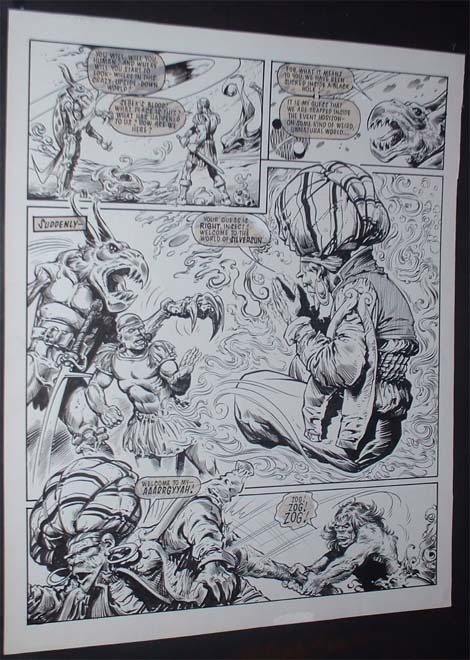 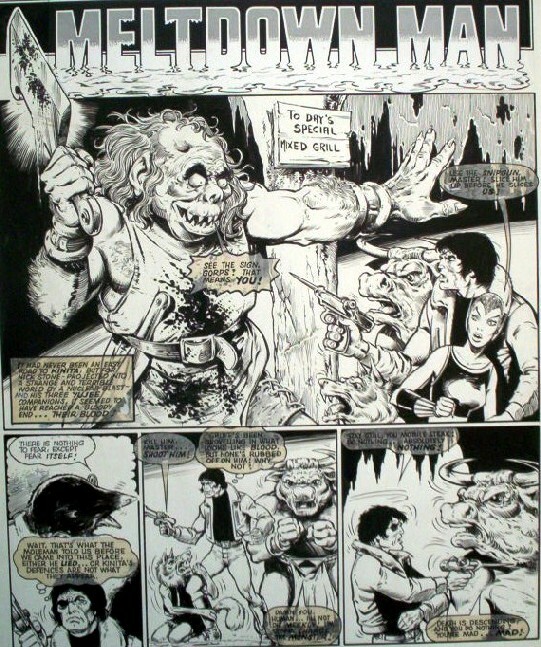 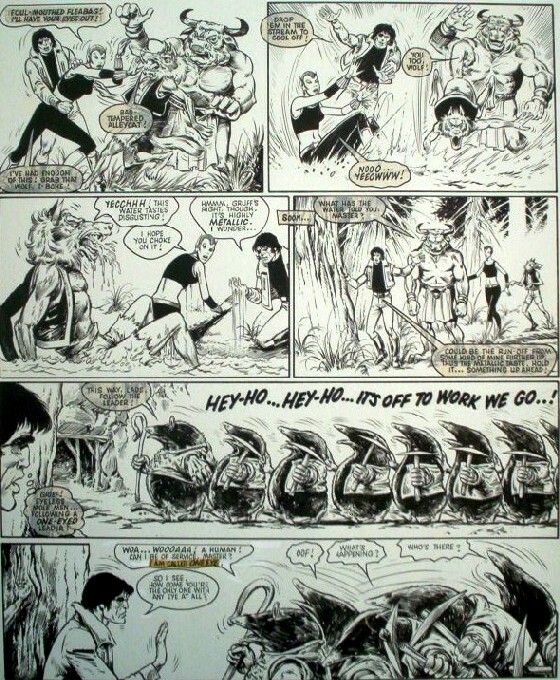 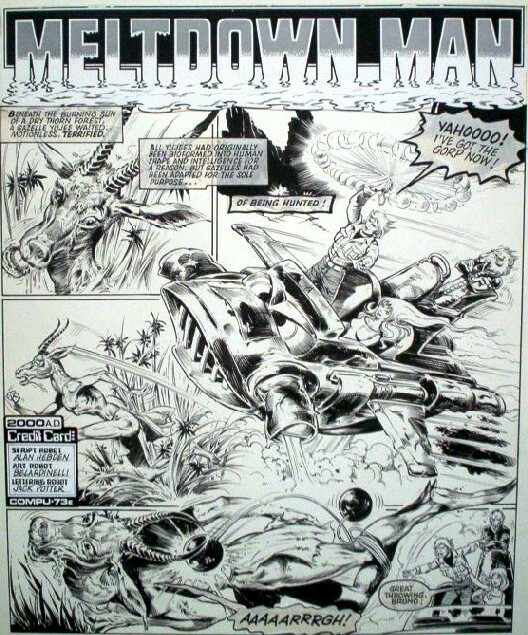 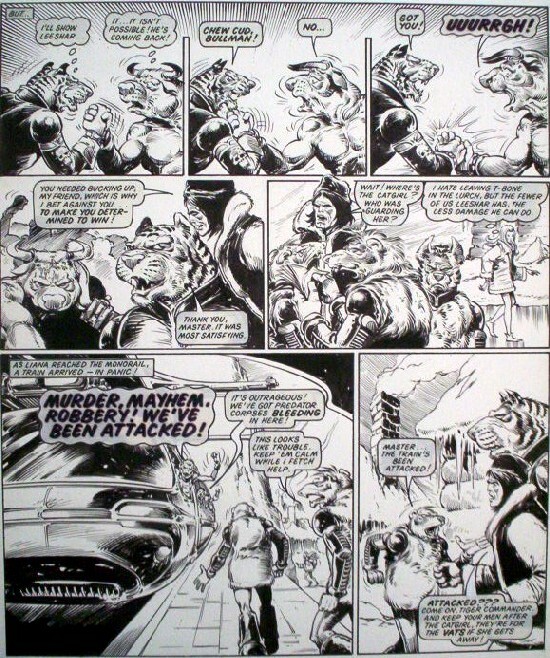 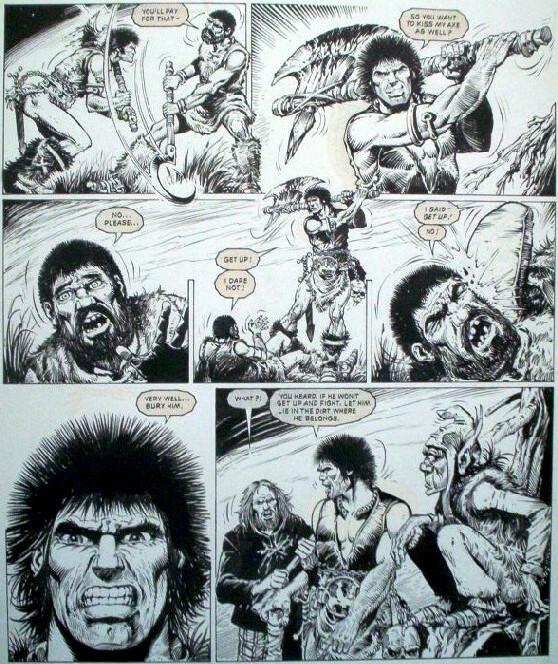 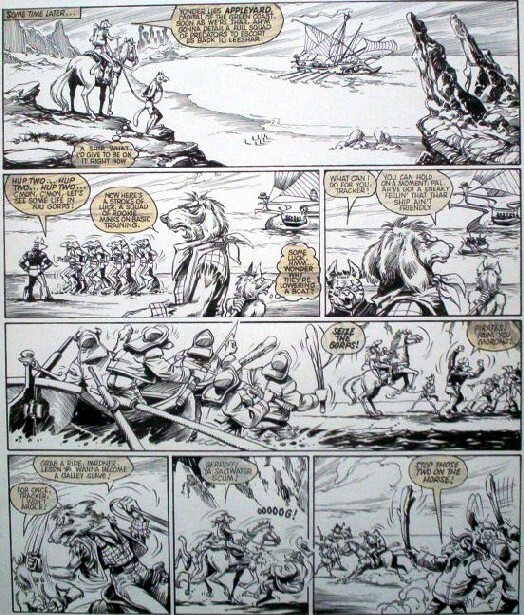 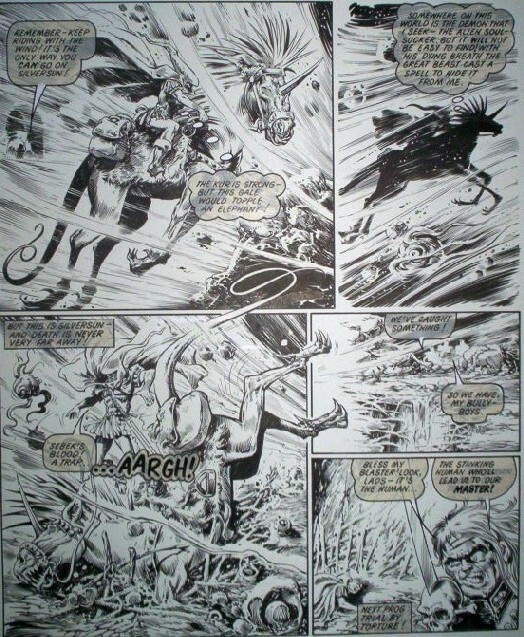 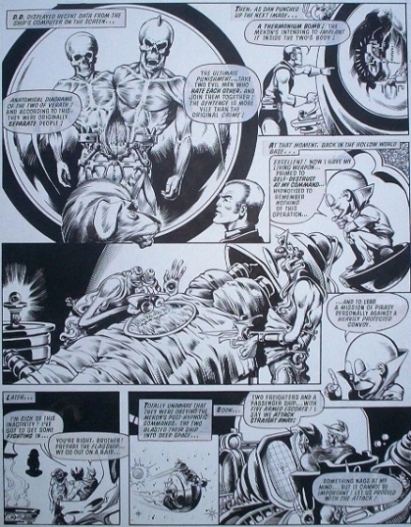 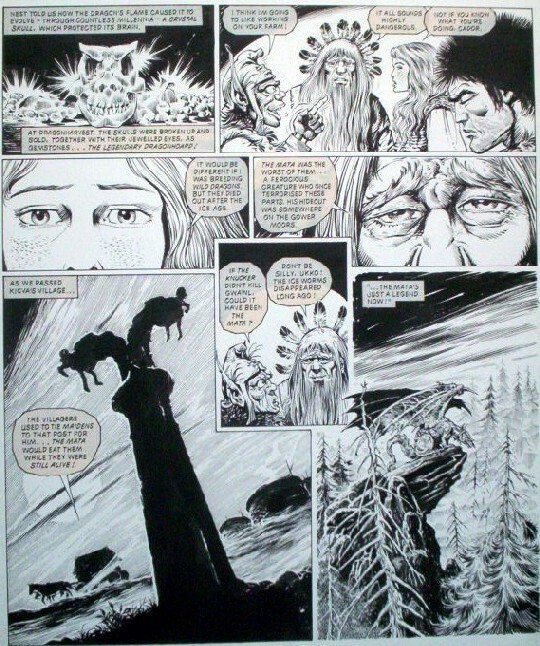 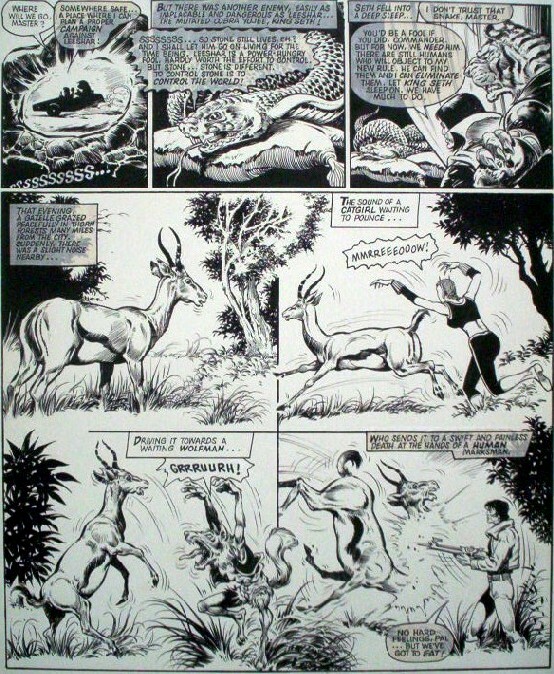 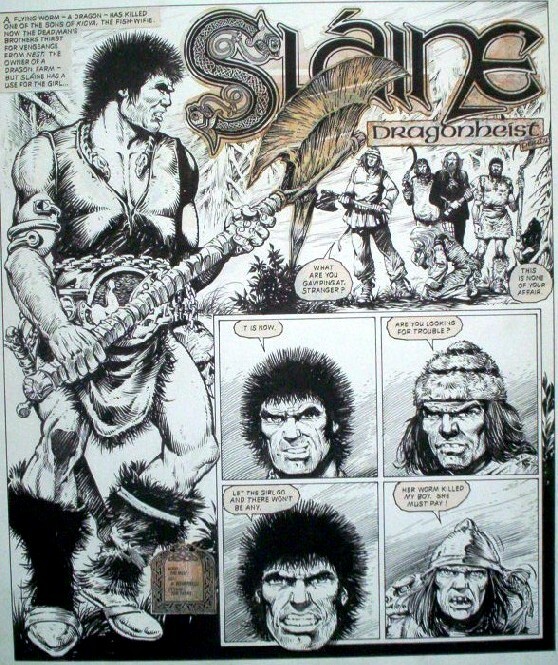 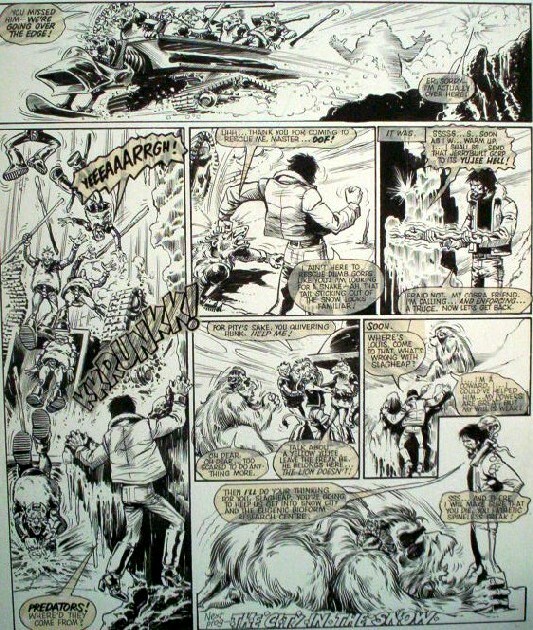 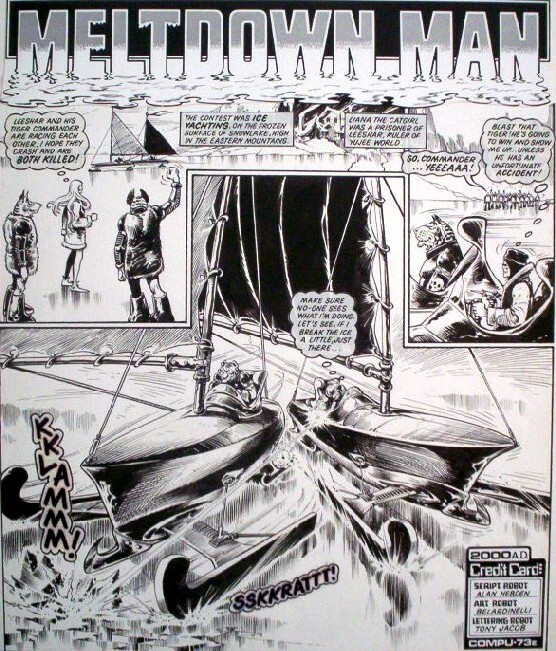 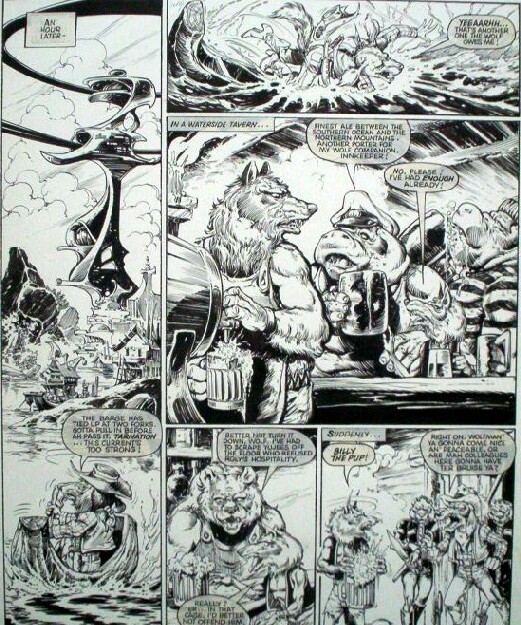 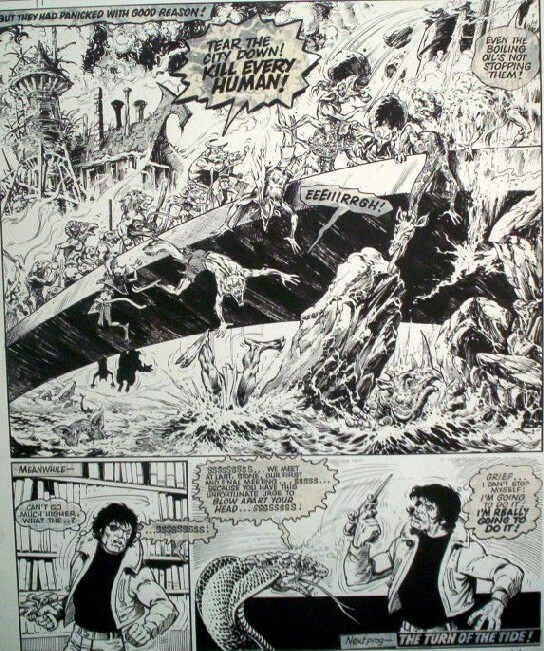 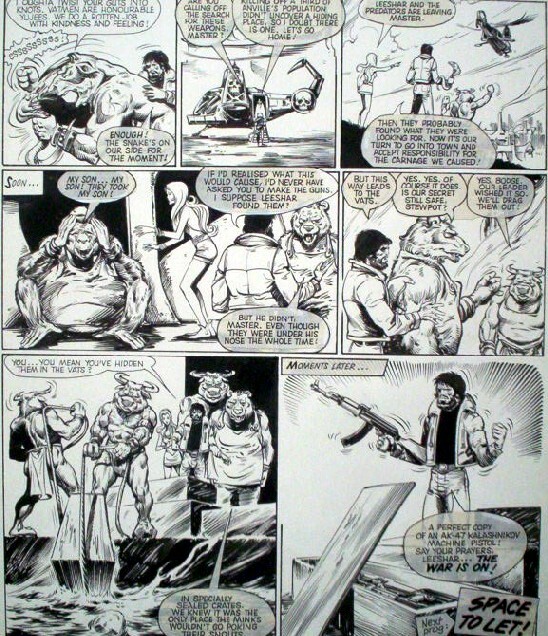 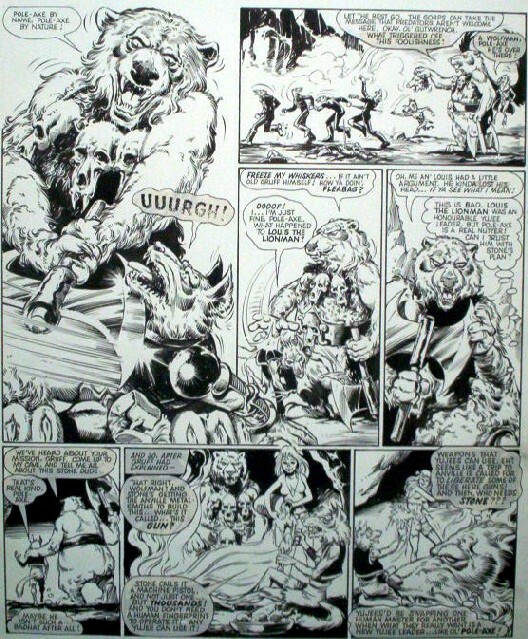 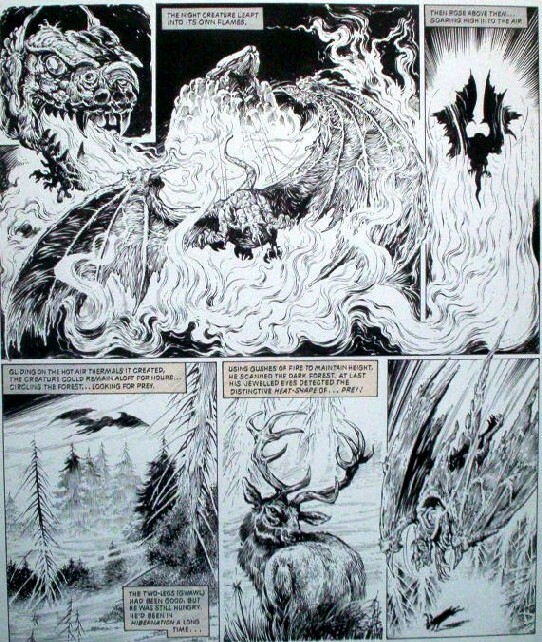 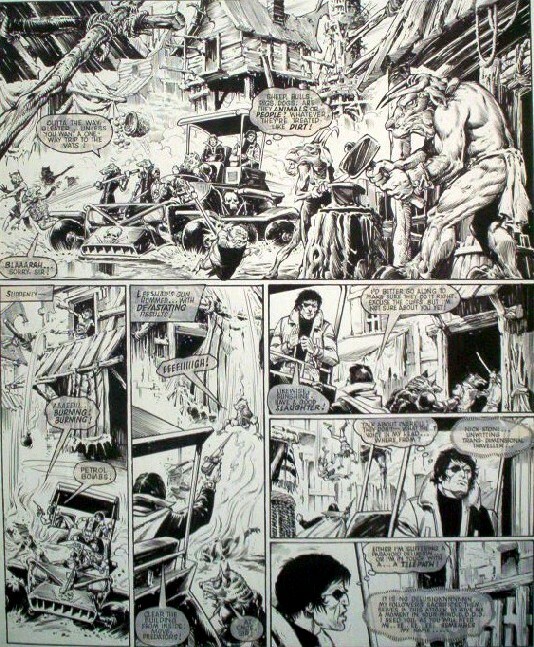 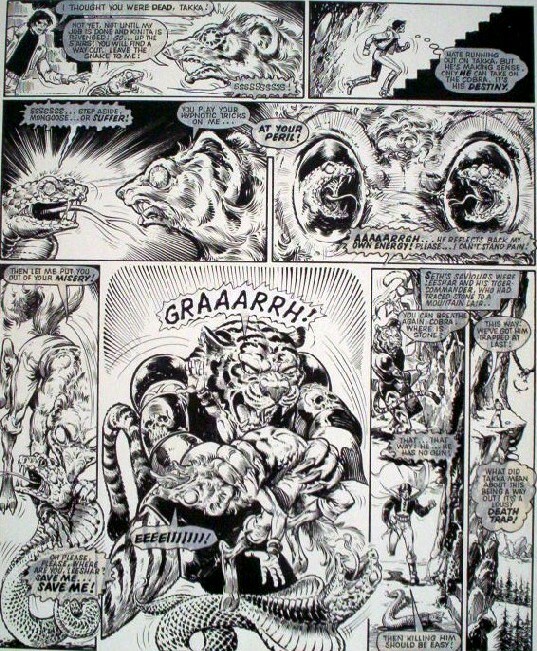 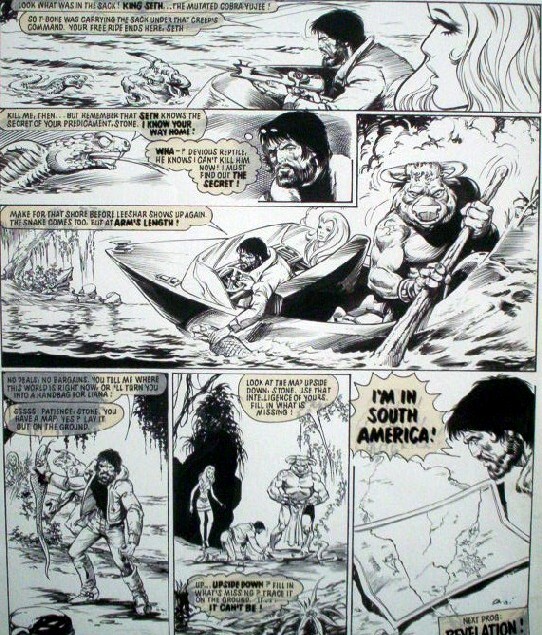 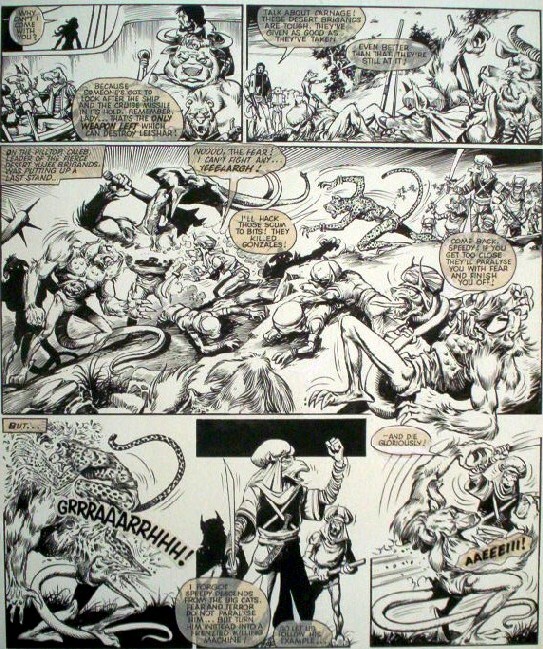 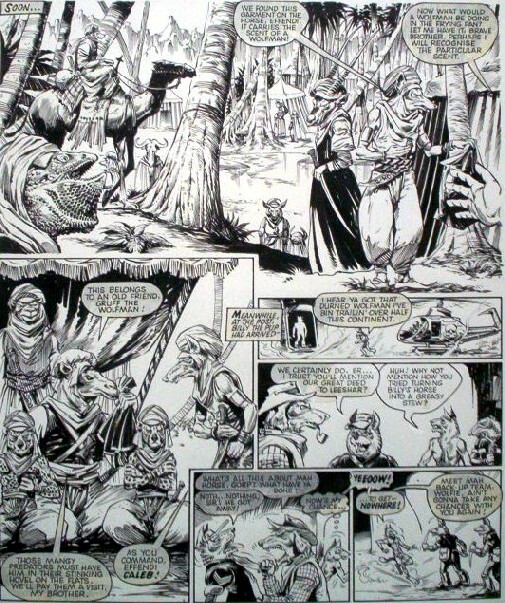 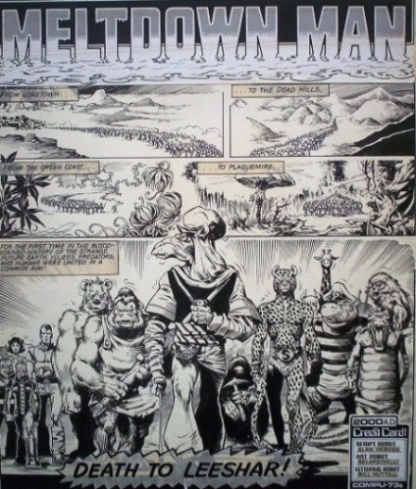 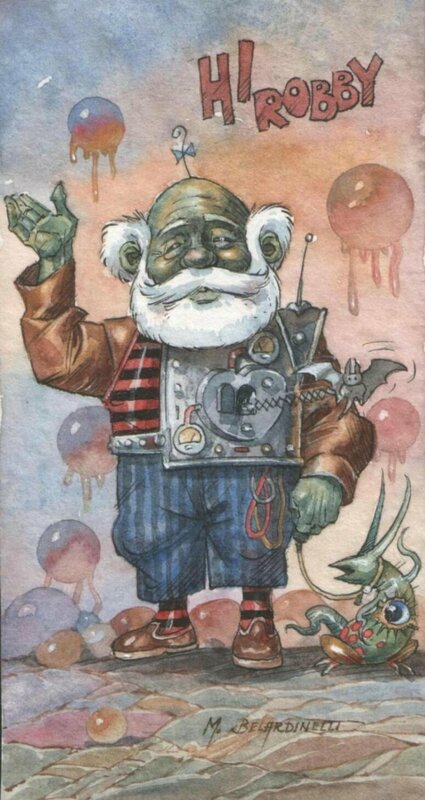 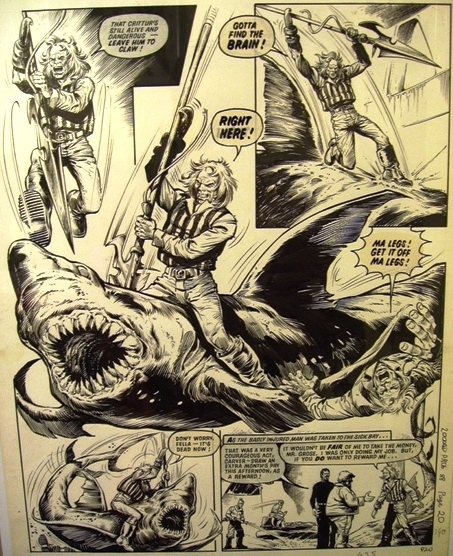 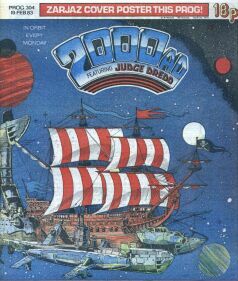 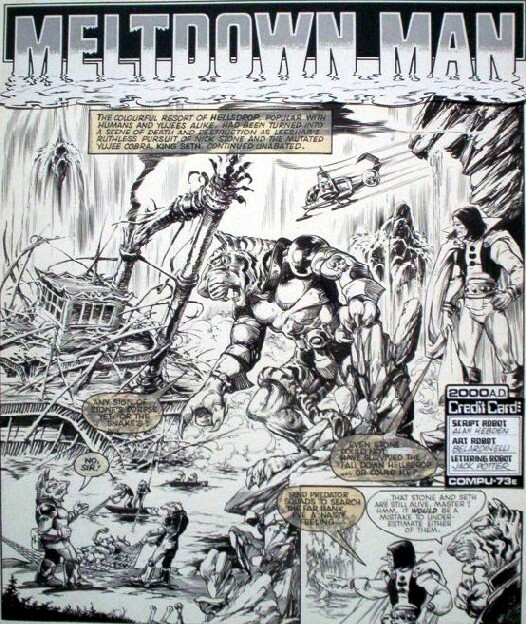 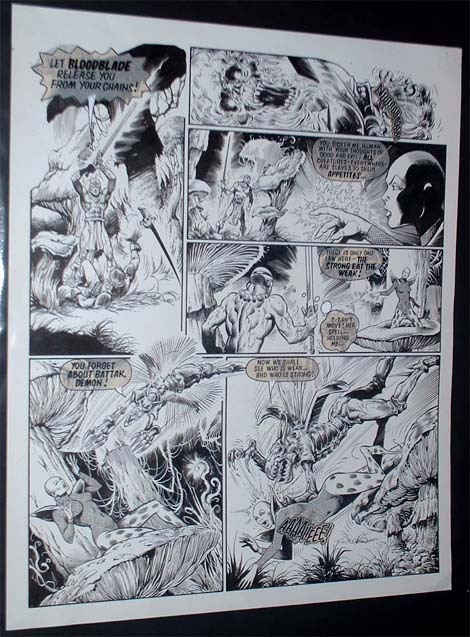 This is another amazing piece of art from the Italian Master comic artist. 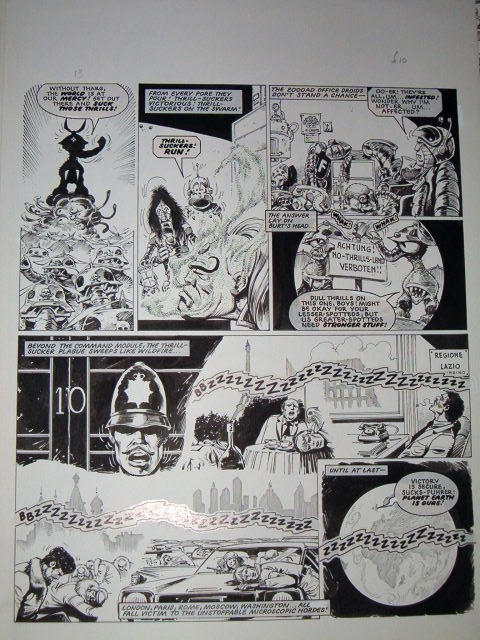 It was very kindly sent to me from Massimo at the start of december 2005. 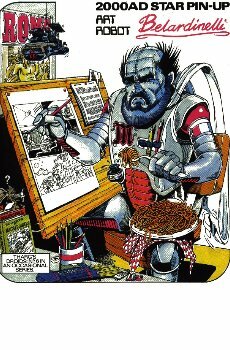 A lovely self portrait from a great and generous artist. 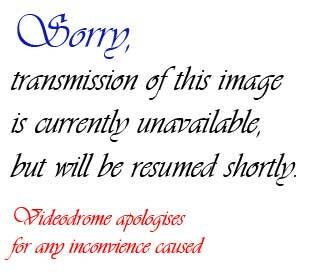 This was so kindly send to me by Massimo on 24.06.06. 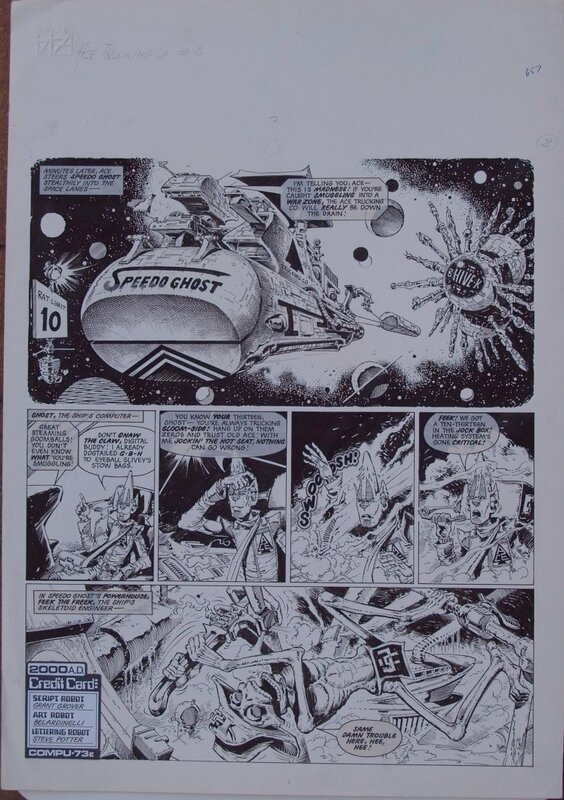 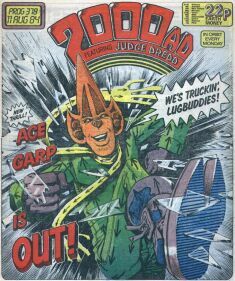 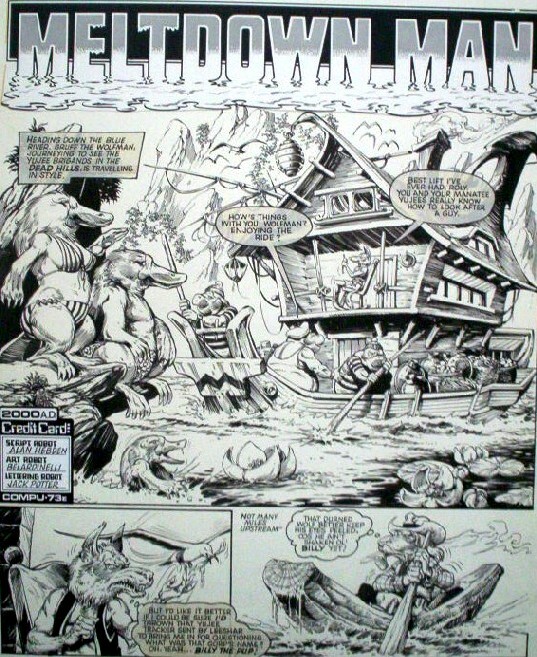 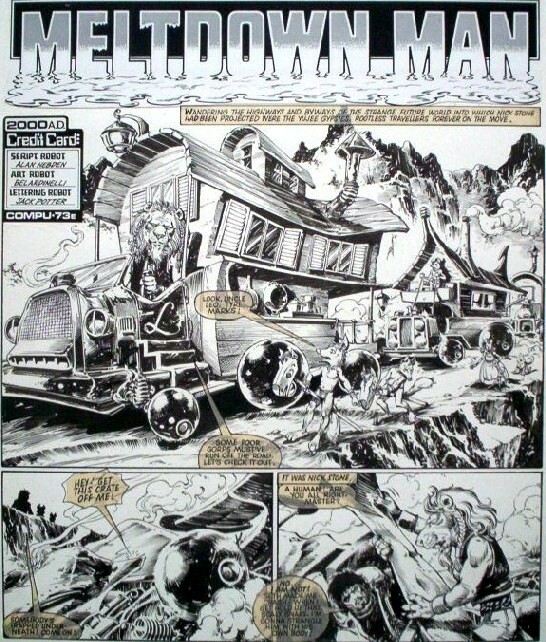 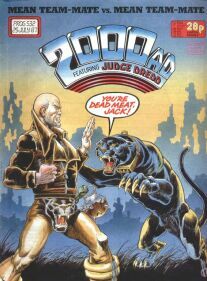 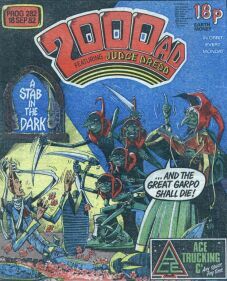 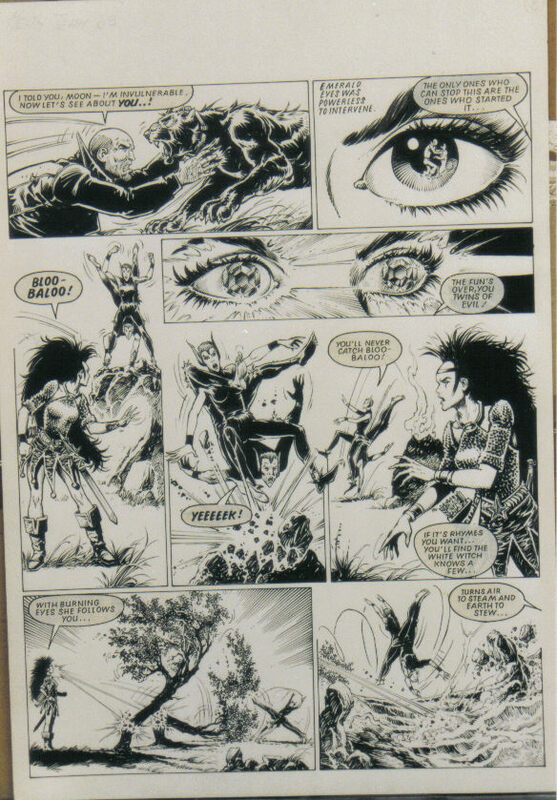 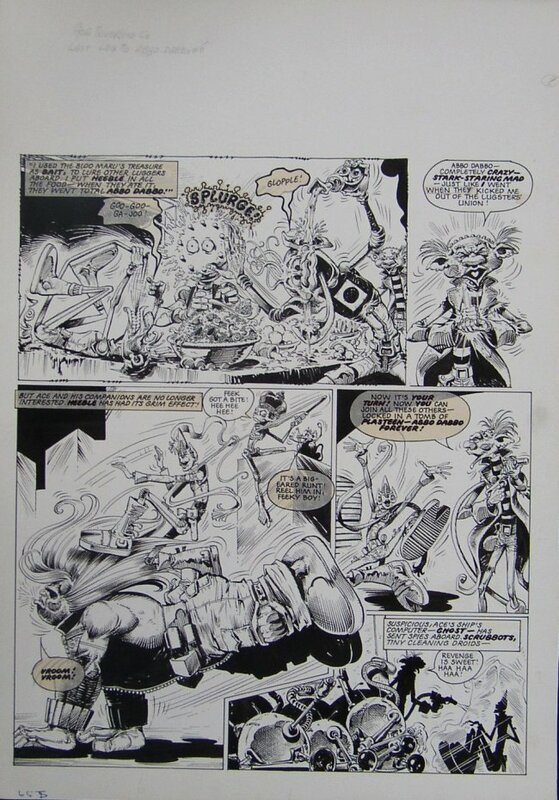 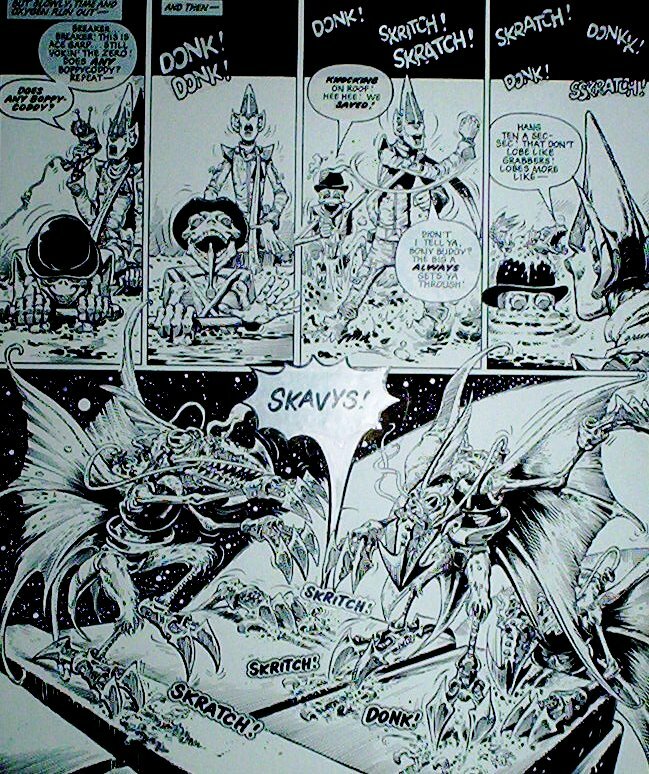 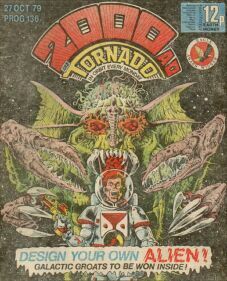 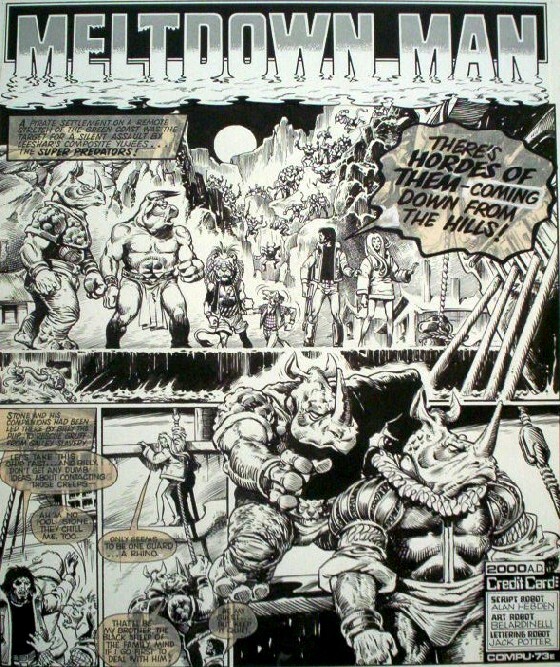 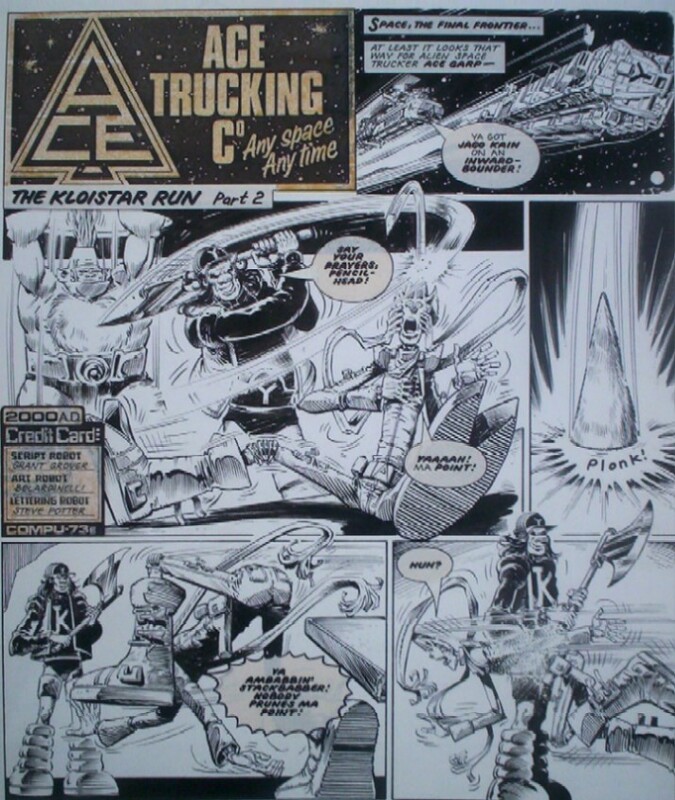 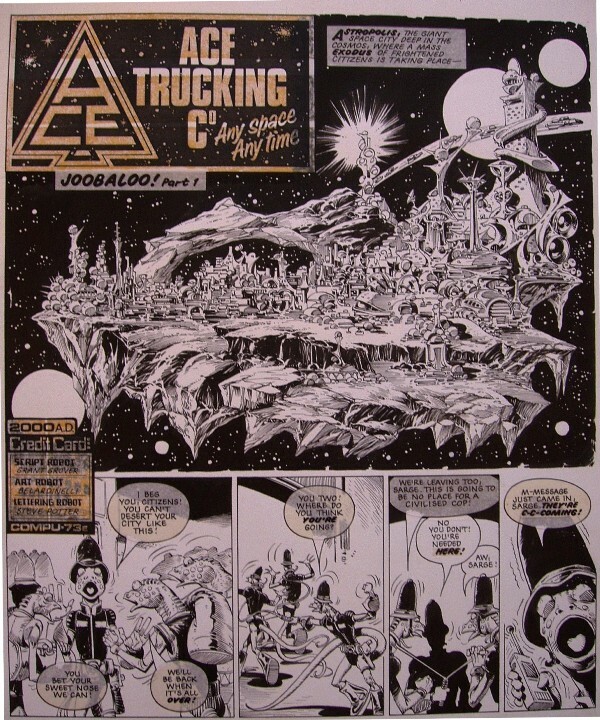 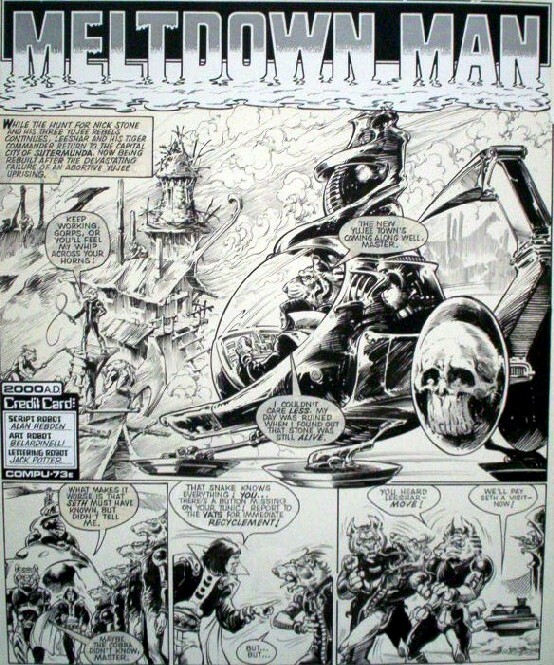 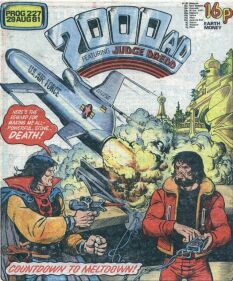 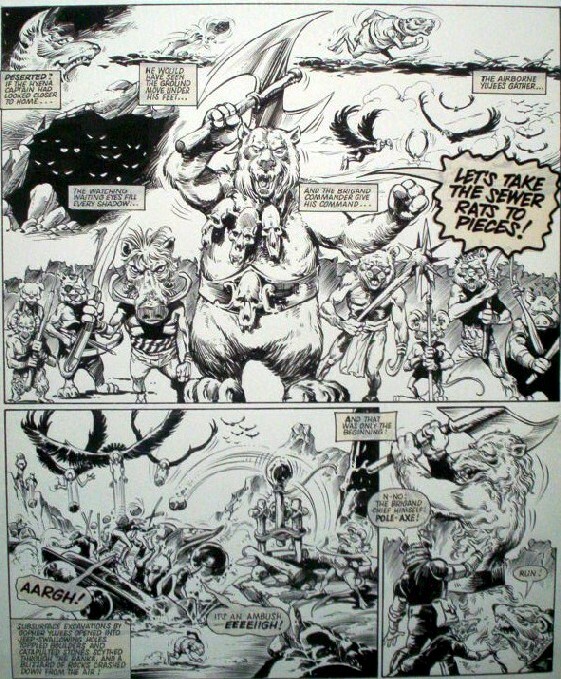 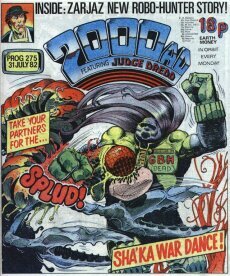 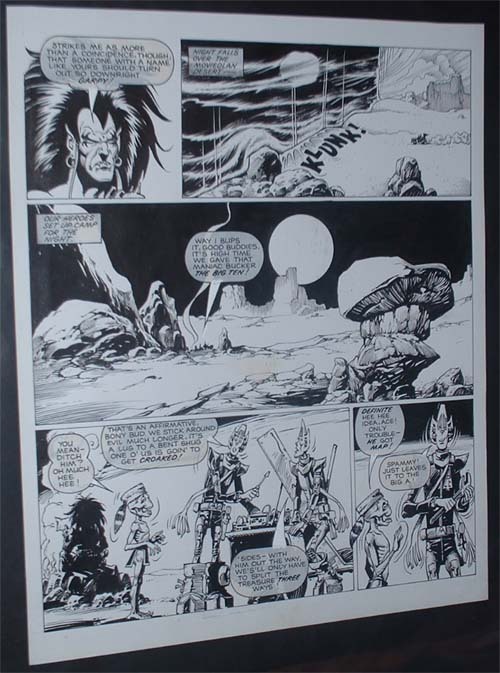 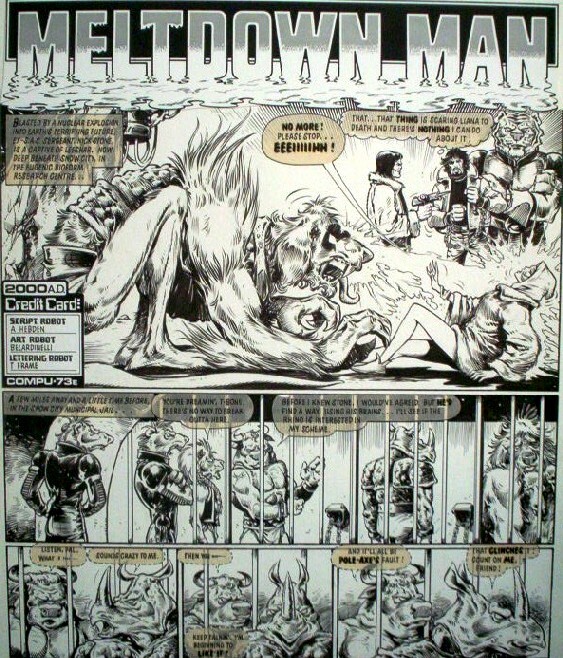 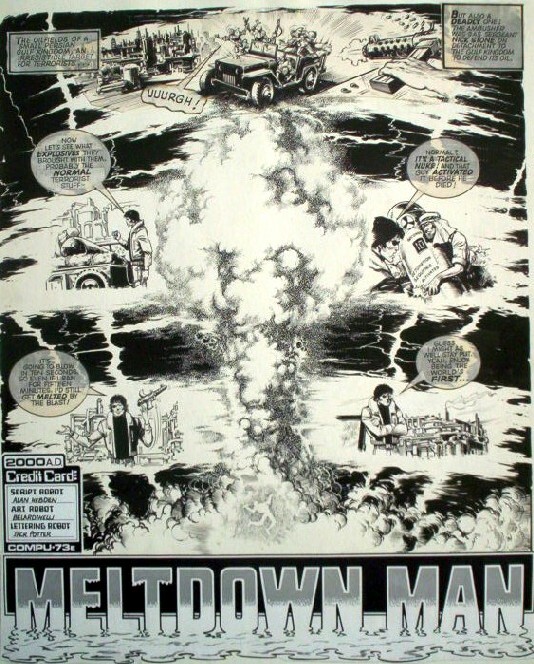 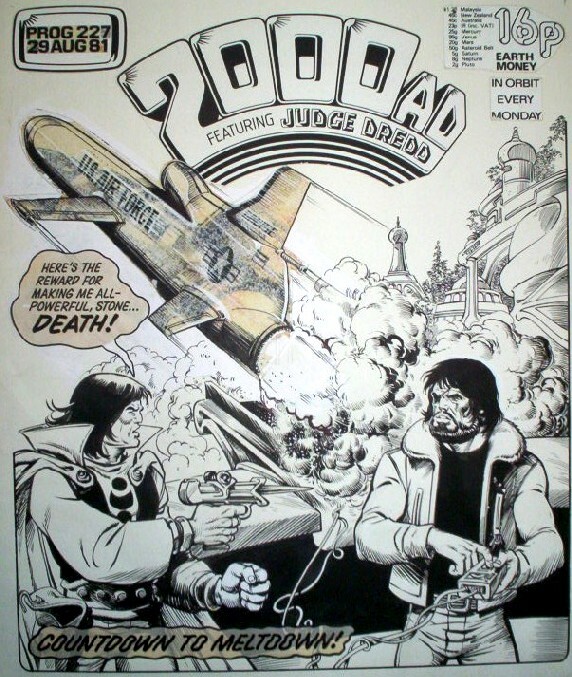 Showing that one of the all time greats of 2000ad's artwork elite still shines brightly. 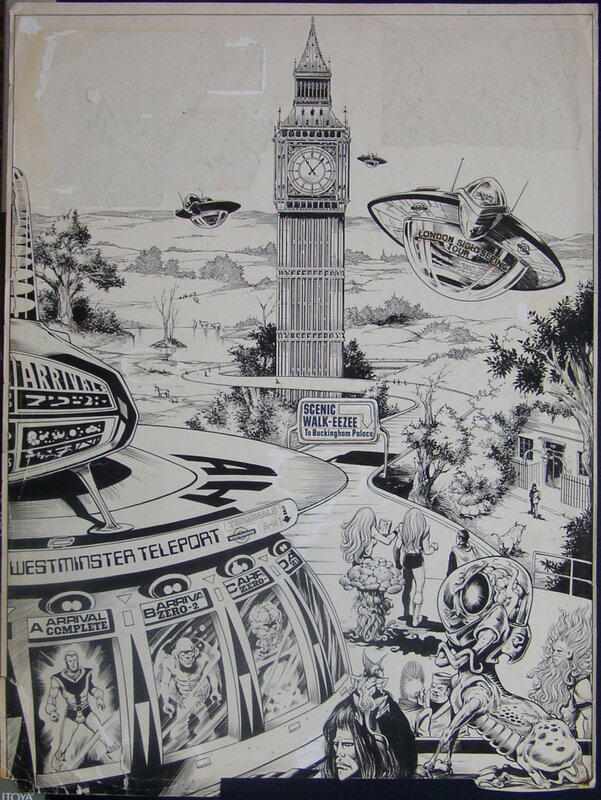 Click HERE to view all artwork owned by Pete Stepney. 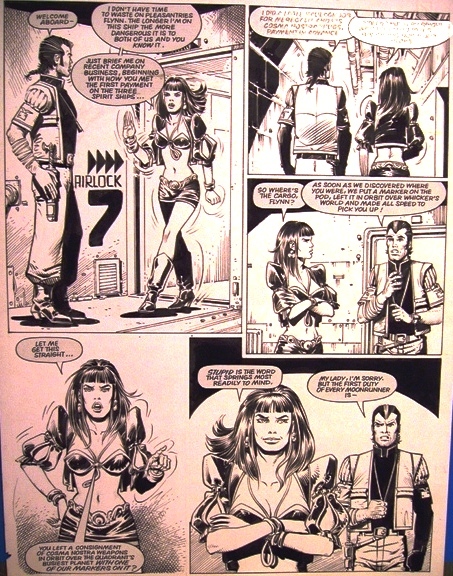 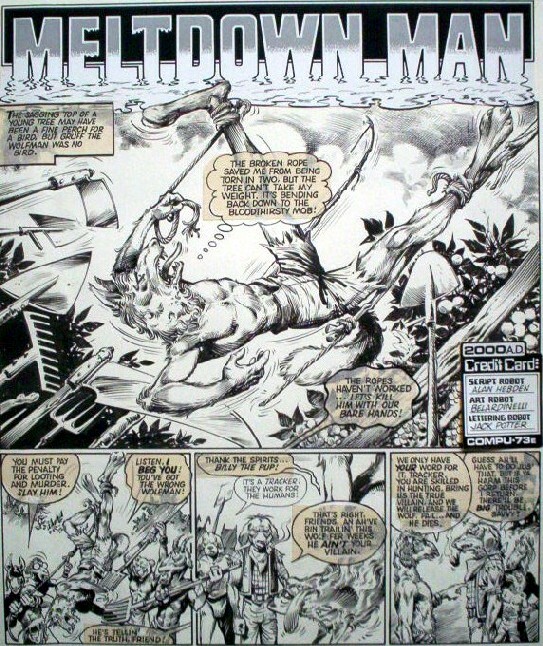 Great Belardinelli from an underrated story. 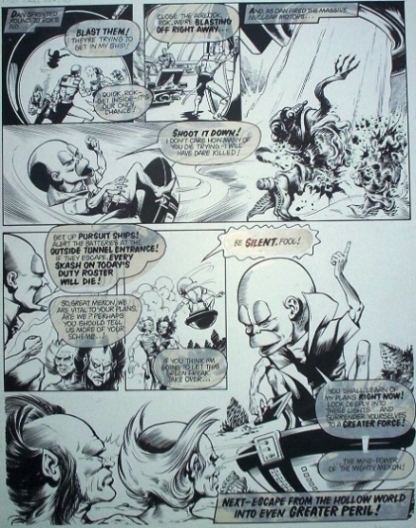 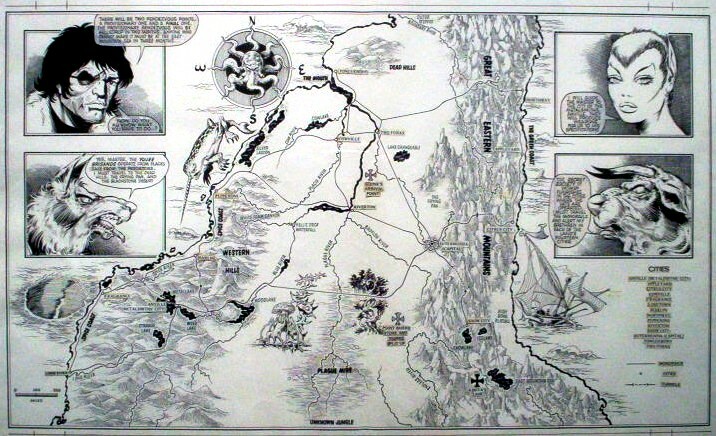 Click HERE to view all artwork owned by Ian Bennington. 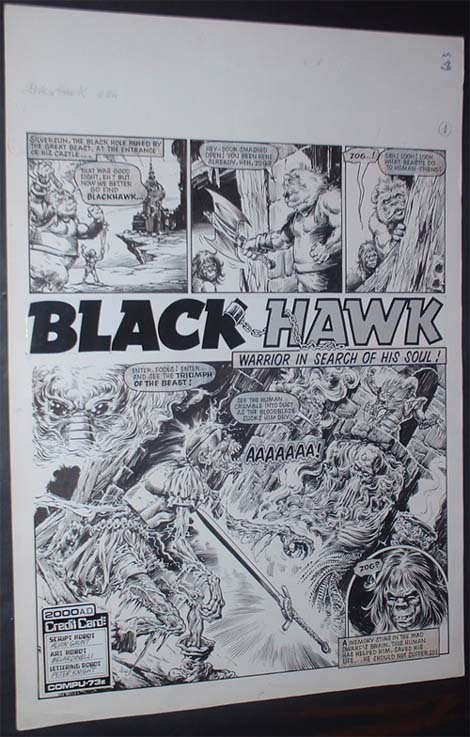 Click HERE to view all artwork owned by Chris Harrison. 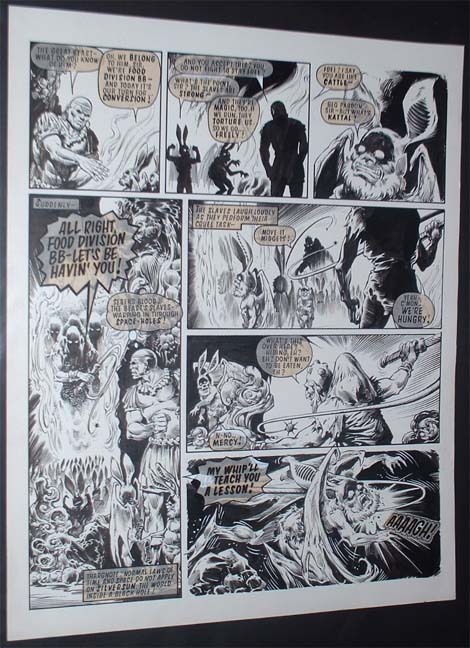 Click HERE to view all artwork owned by Bryan Galatis.